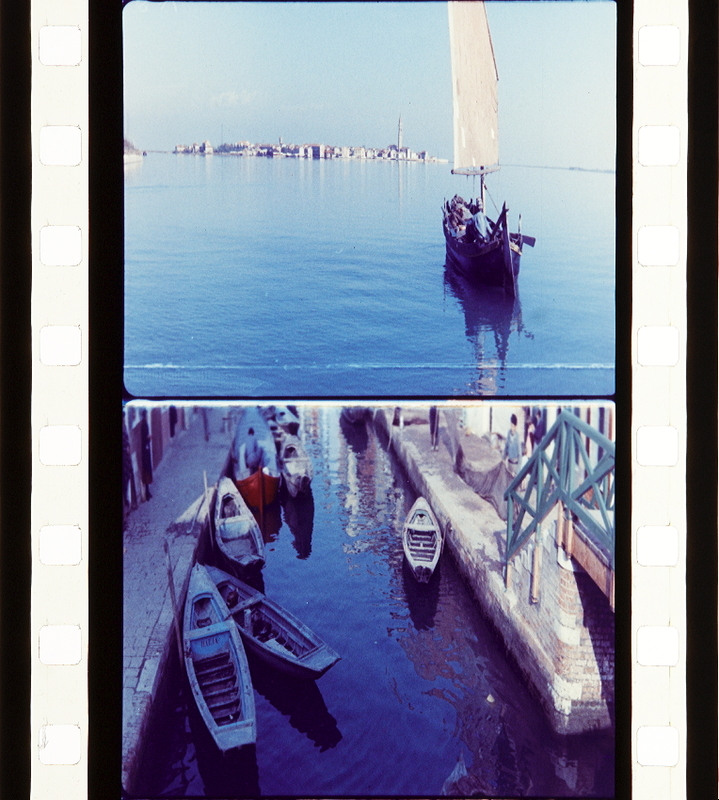 Faded Ferraniacolor positive from Eastmancolor negative, anamorphic (1:2,35). 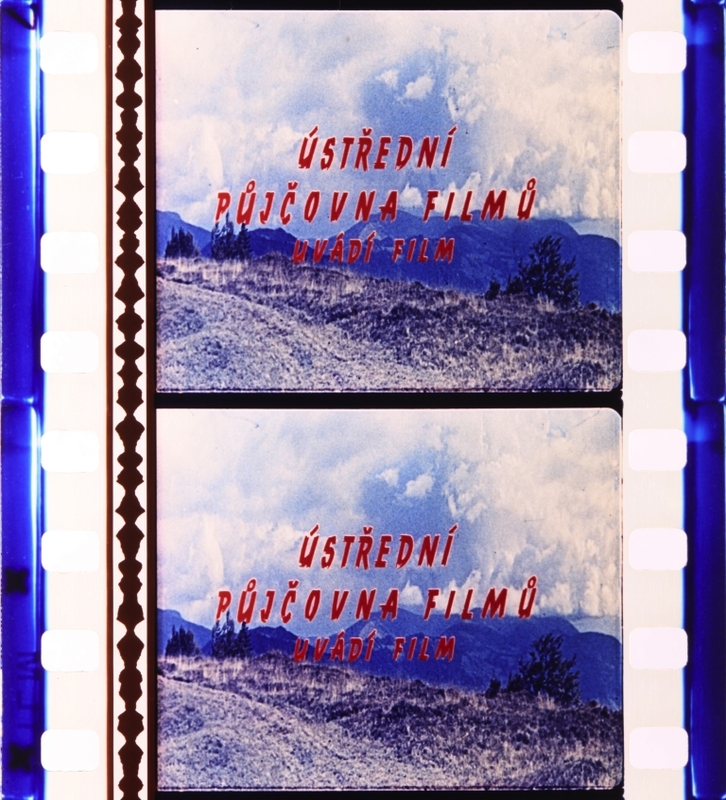 Credit: Národní filmový archiv / National Film Archive, Prague. 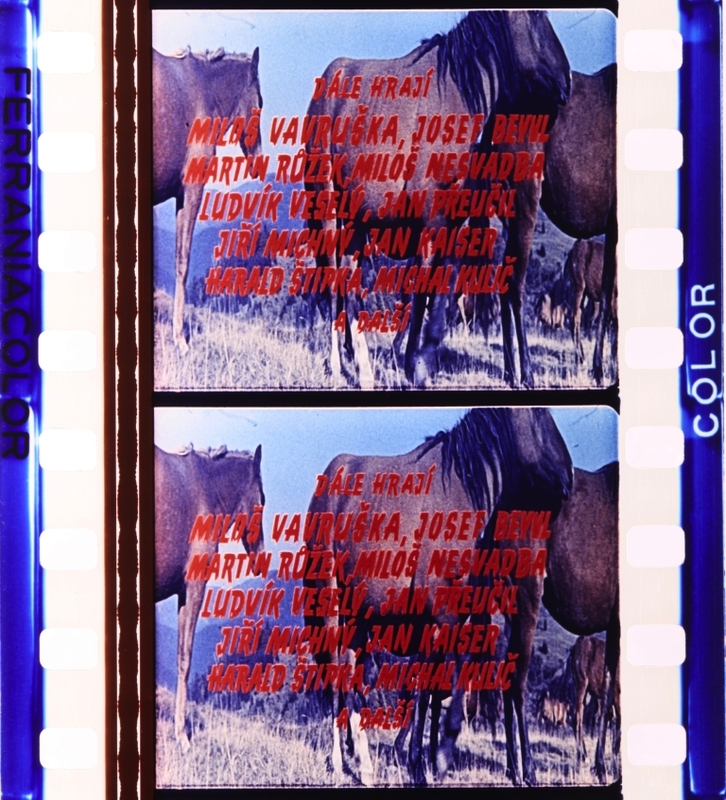 Film: Smrt v sedle (Jindřich Polák, Czechoslovakia 1958). I fidanzati (ITA 1957, Raffaele Andreassi). 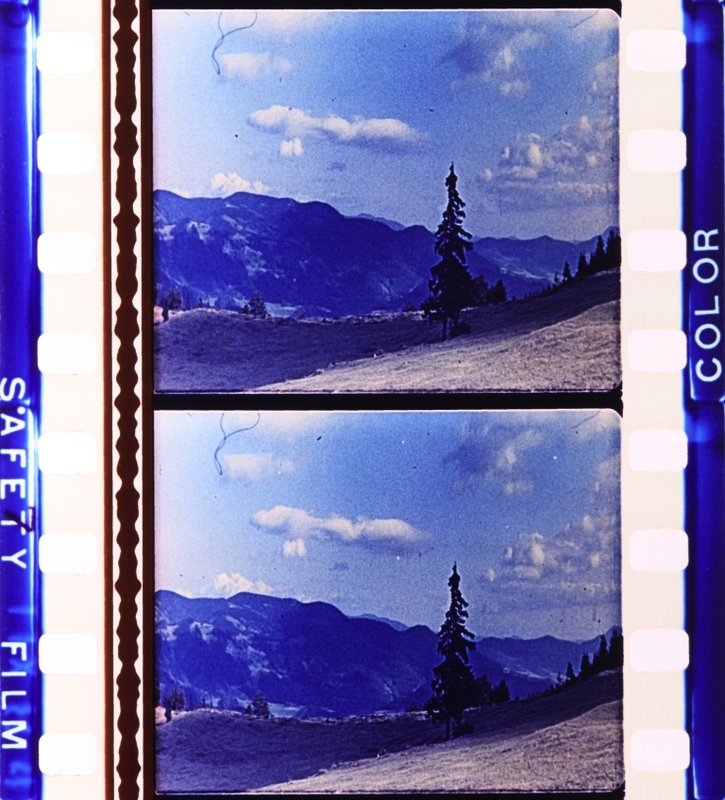 Photographs of the Ferraniacolor safety print by Barbara Flueckiger. I fidanzati (ITA 1957, Raffaele Andreassi). 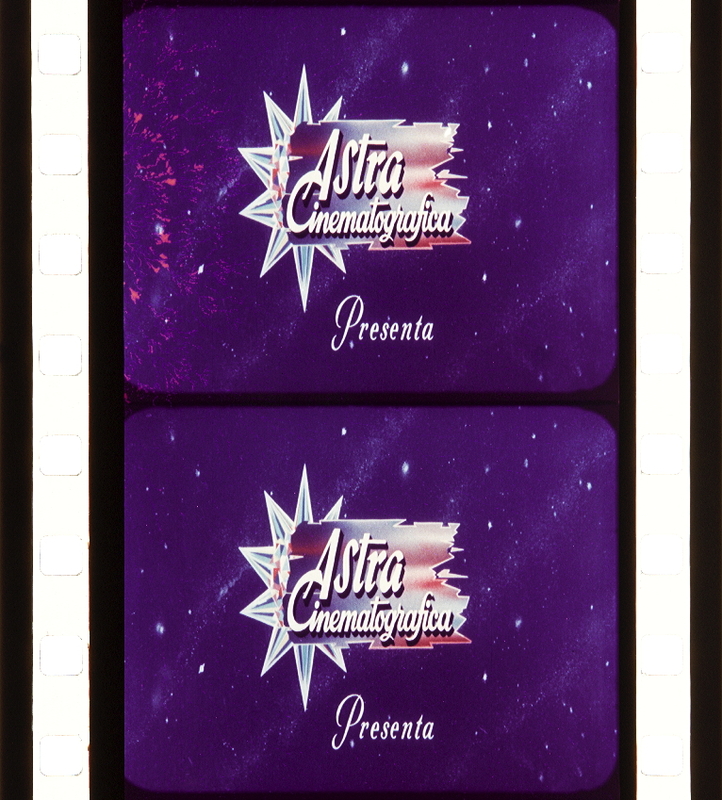 Credit: Cineteca di Bologna. 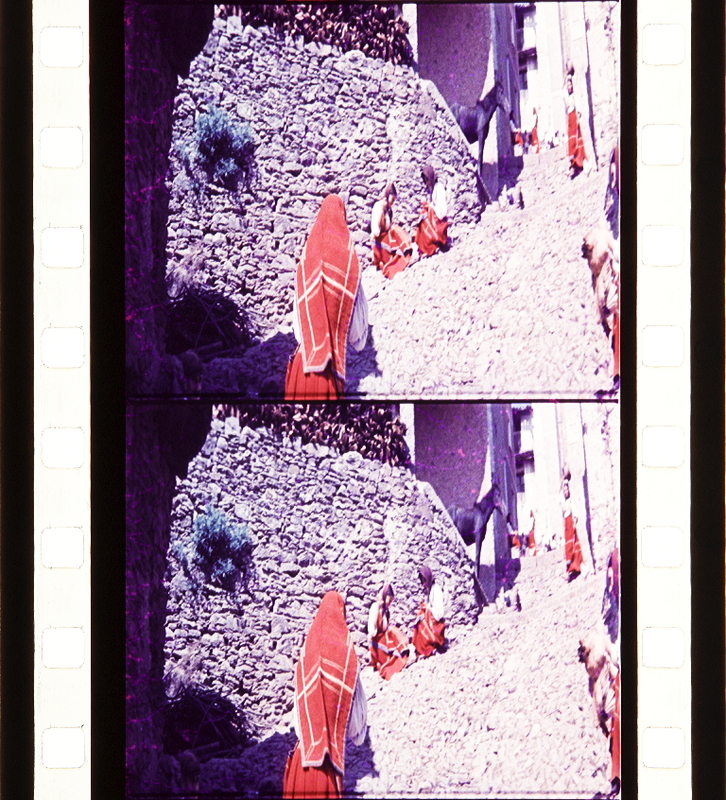 Photographs of the Ferraniacolor safety print by Barbara Flueckiger. 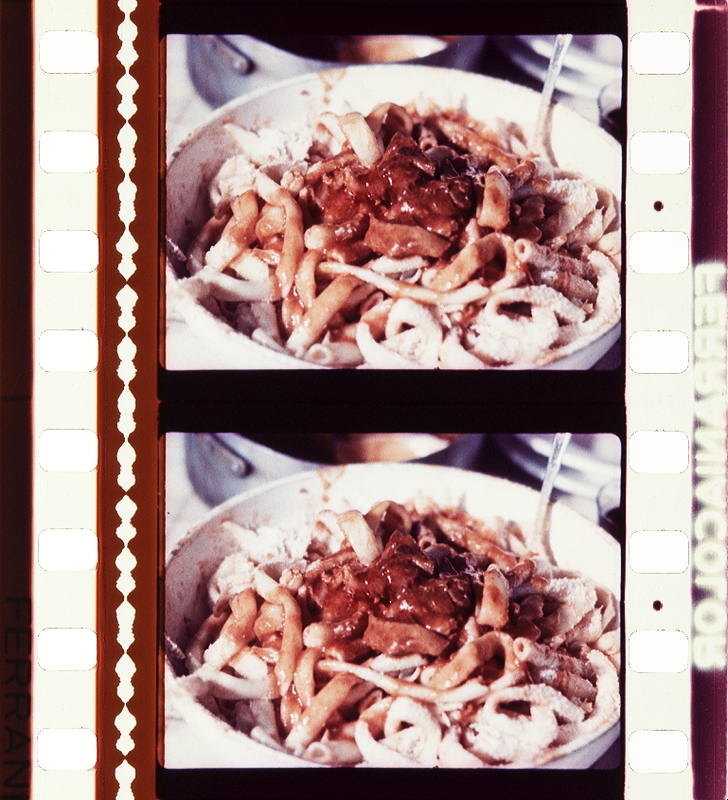 I maccheroni (ITA 1959, Raffaele Andreassi). 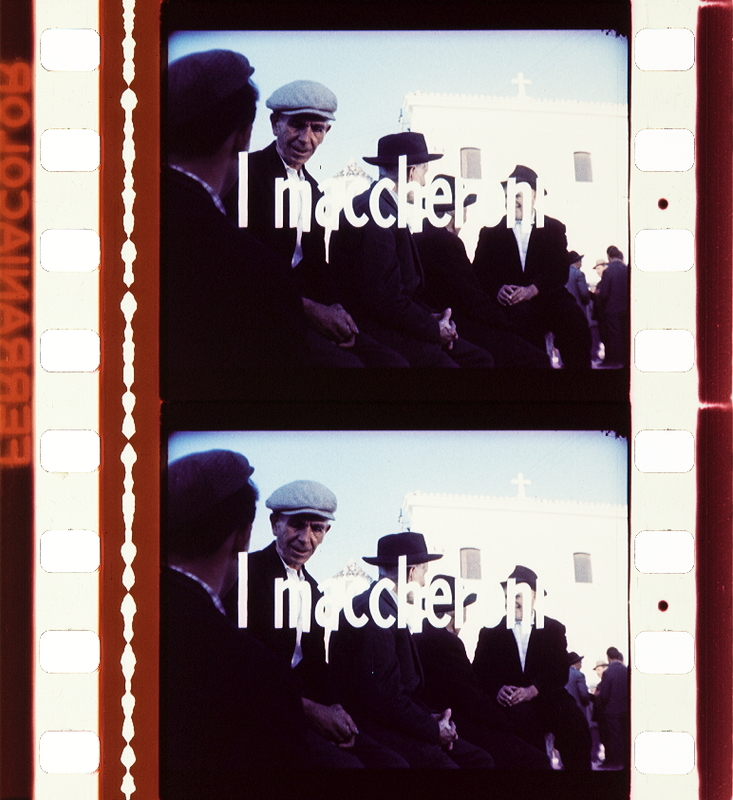 I maccheroni (ITA 1959, Raffaele Andreassi). 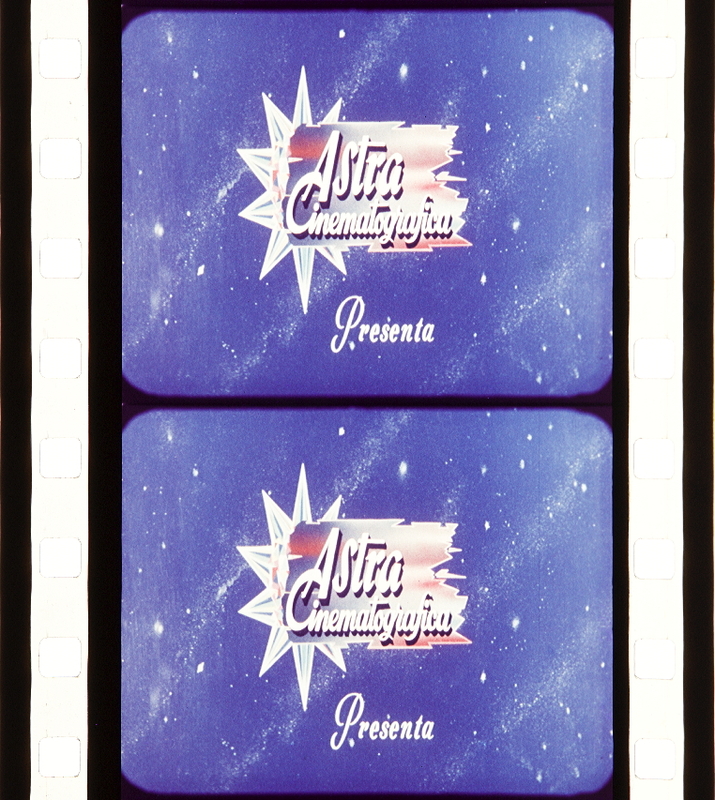 Credit: Cineteca di Bologna. 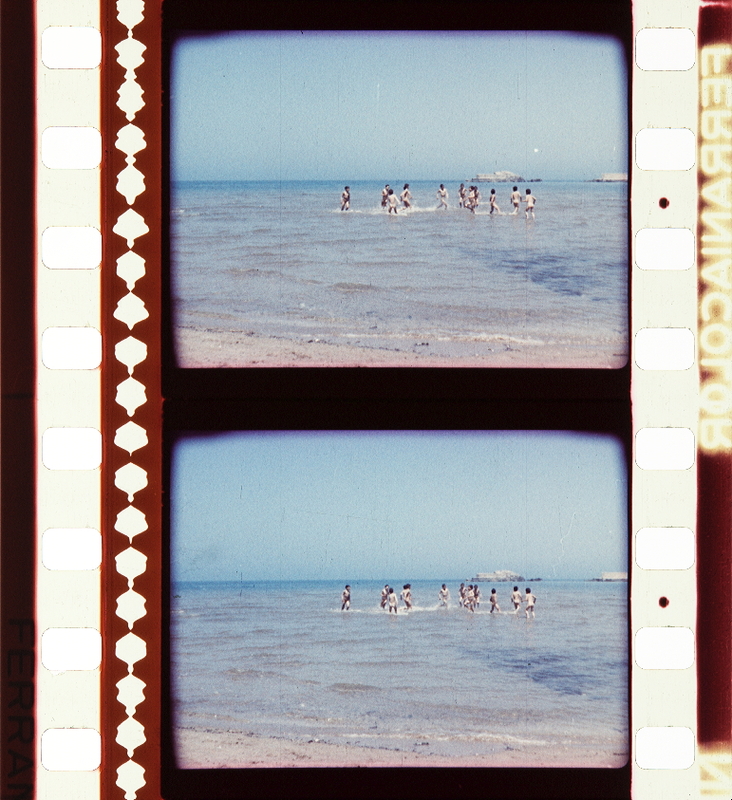 Photographs of the Ferraniacolor safety print by Barbara Flueckiger. 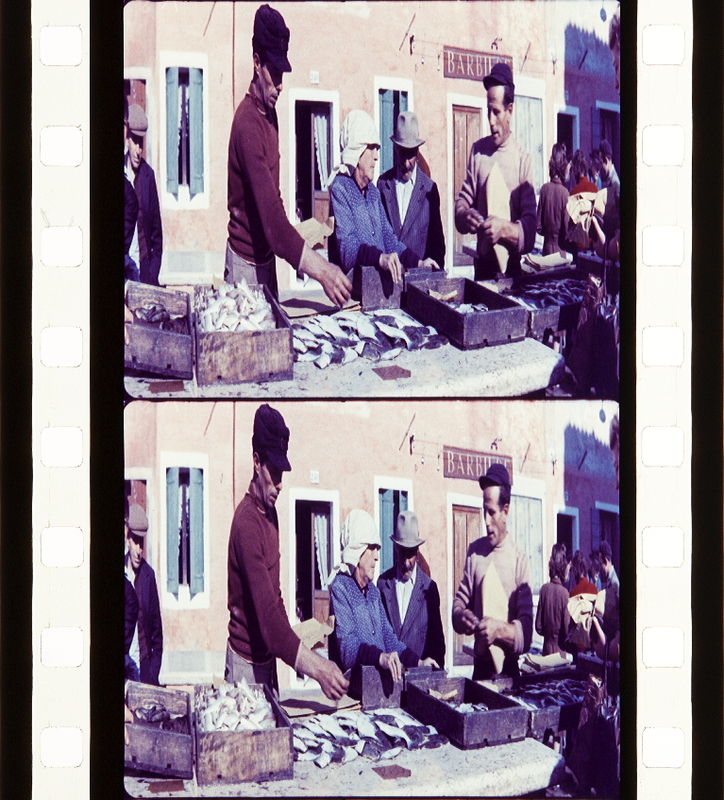 Osterie Venete (ITA 1954, Emilio Marsili). 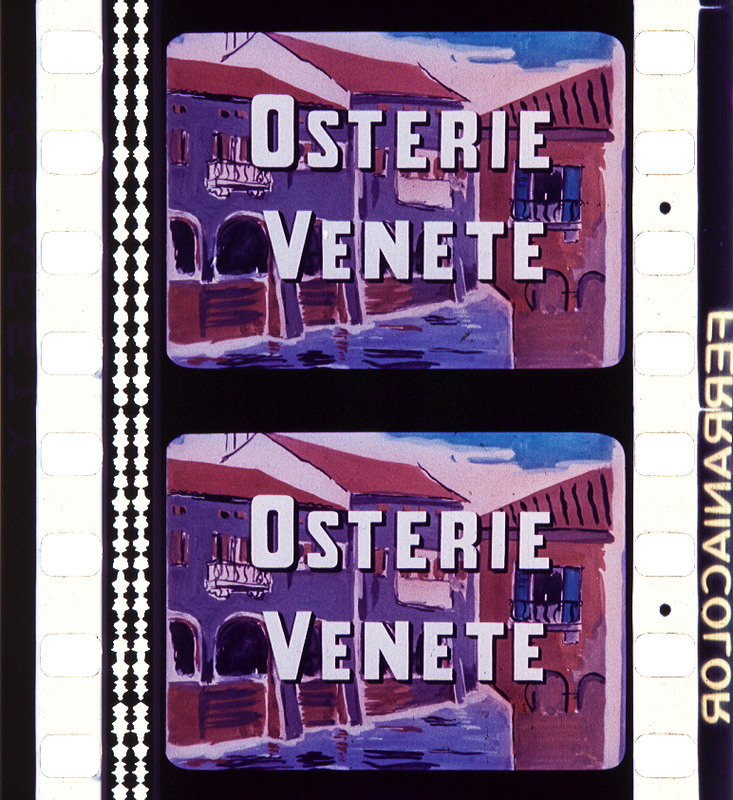 Osterie Venete (ITA 1954, Emilio Marsili). 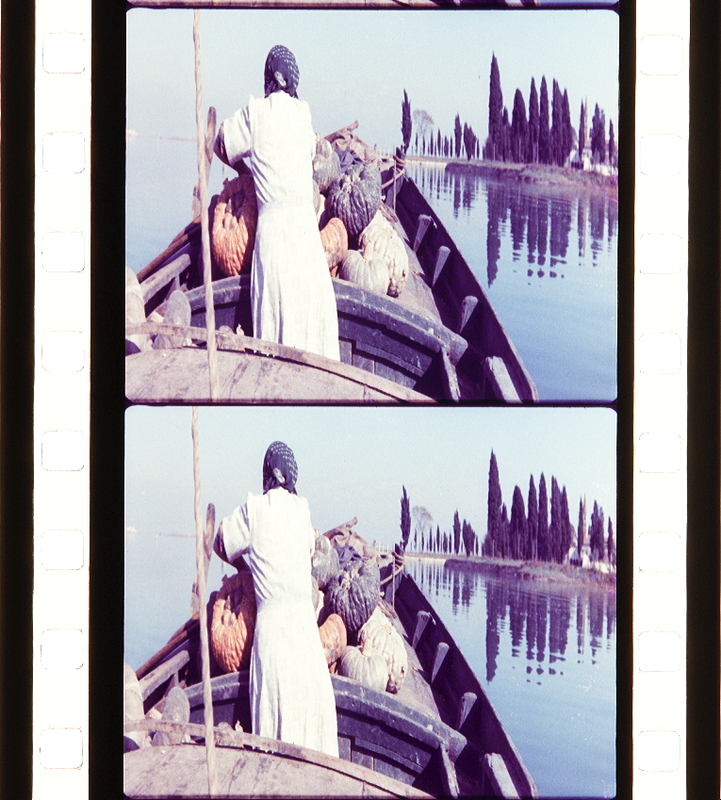 Credit: Cineteca di Bologna. 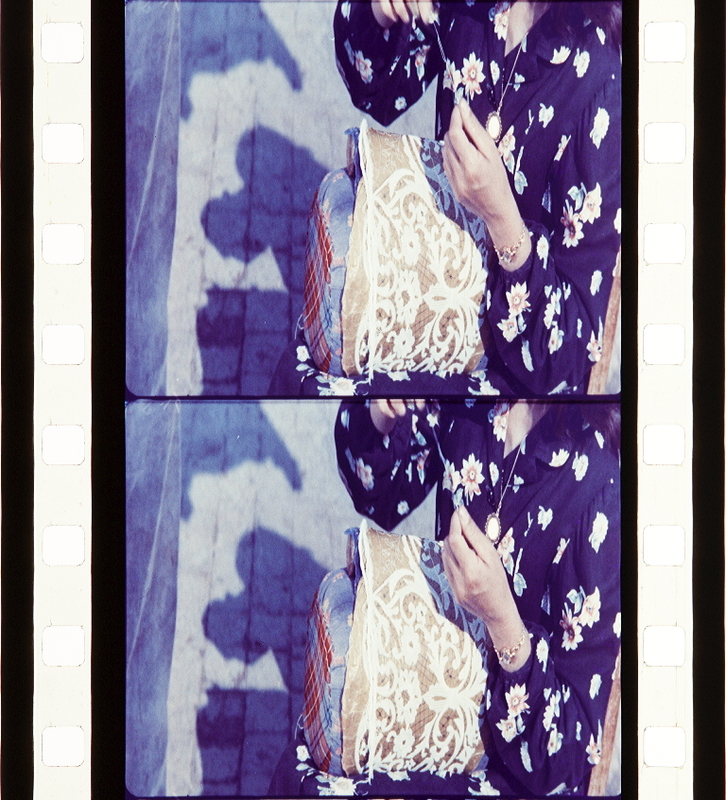 Photographs of the Ferraniacolor safety print by Barbara Flueckiger. Gente della laguna (ITA 1954, Gian Luigi Polidoro). Gente della laguna (ITA 1954, Gian Luigi Polidoro). 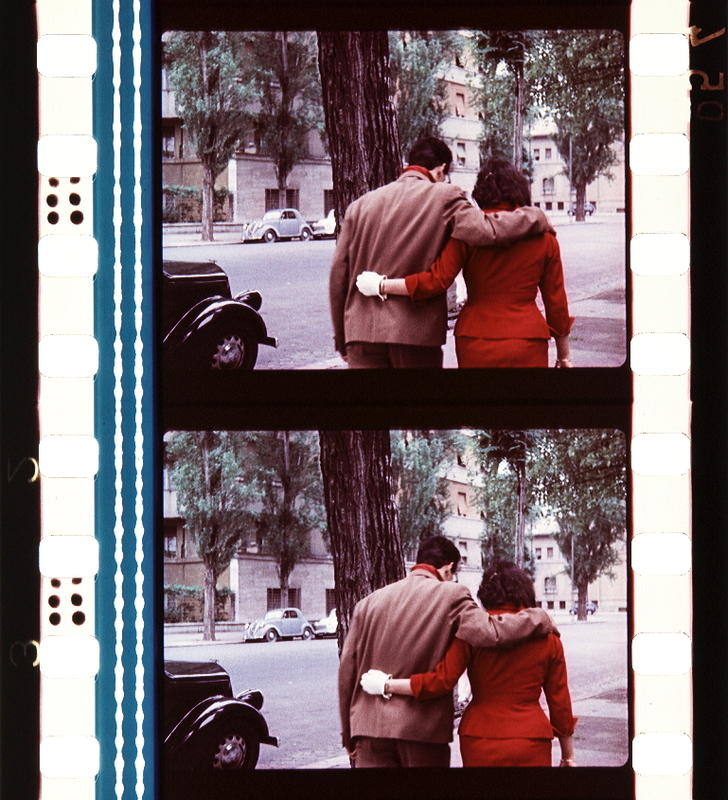 Credit: Cineteca di Bologna. 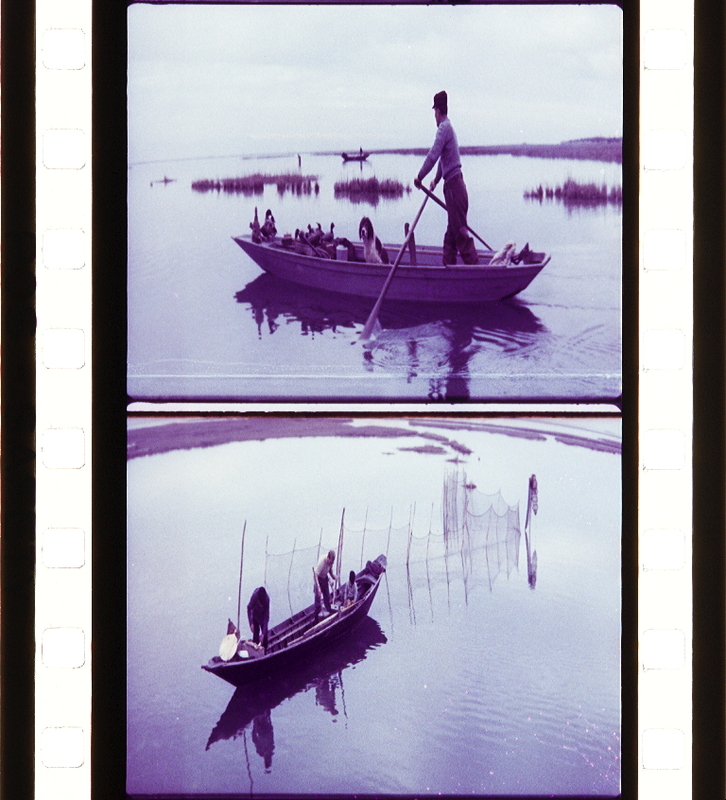 Photographs of the Ferraniacolor safety print by Barbara Flueckiger. 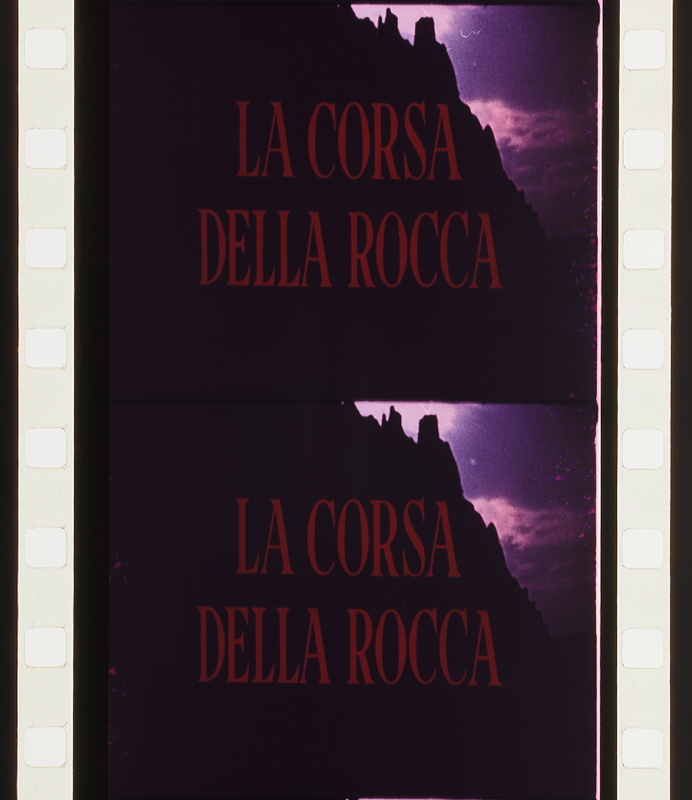 La corsa della rocca (ITA 1955, Gian Luigi Polidoro). 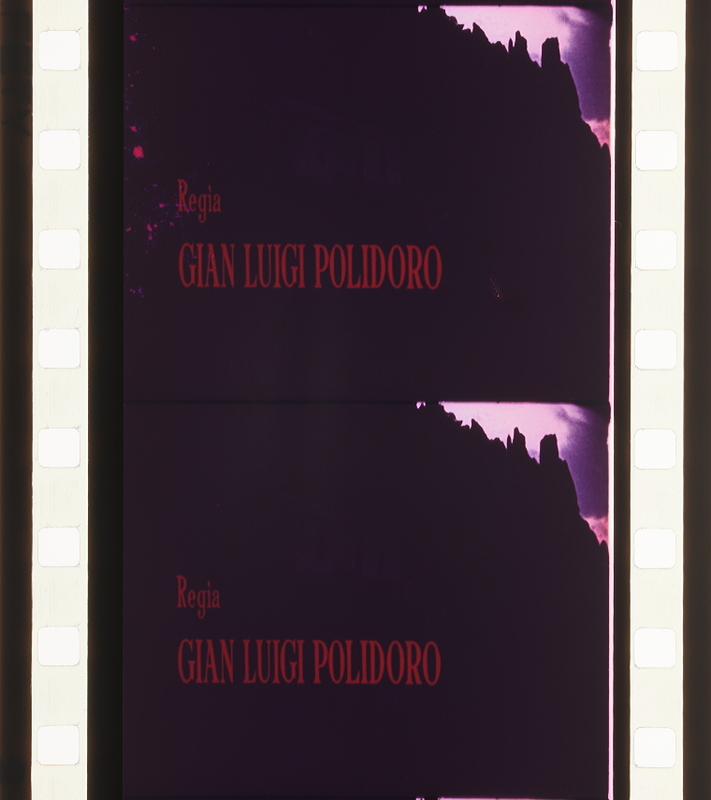 La corsa della rocca (ITA 1955, Gian Luigi Polidoro). 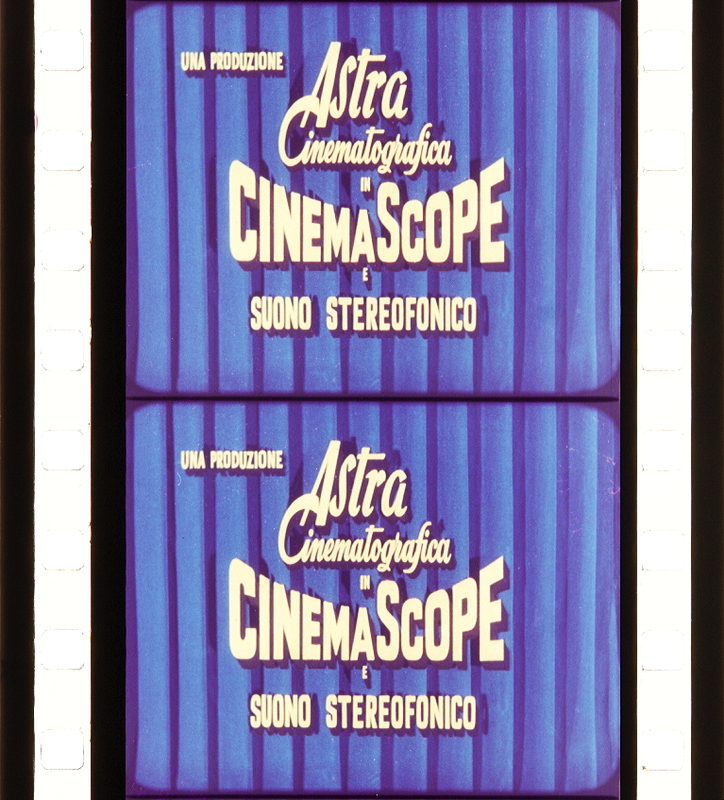 Credit: Cineteca di Bologna. 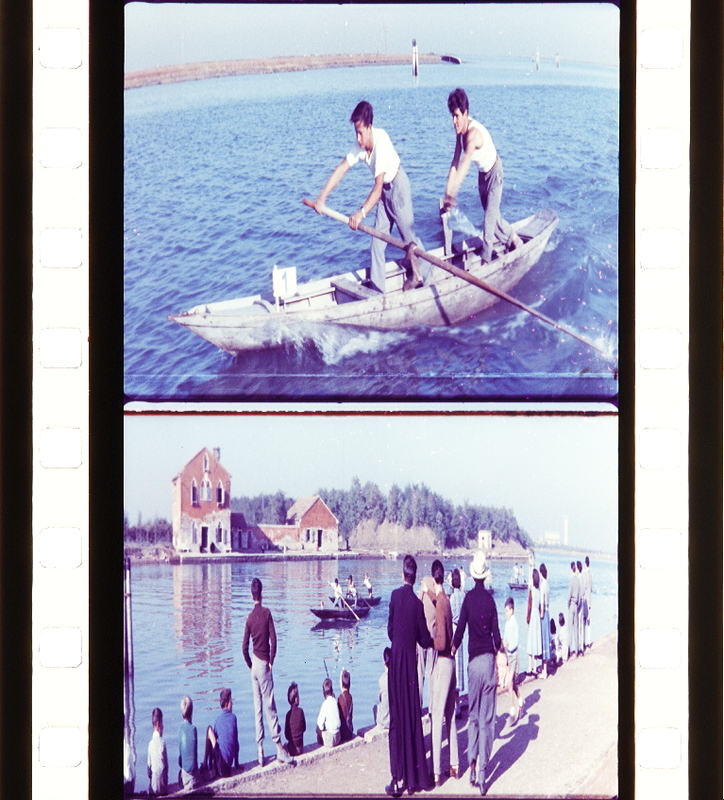 Photographs of the Ferraniacolor safety print by Barbara Flueckiger. 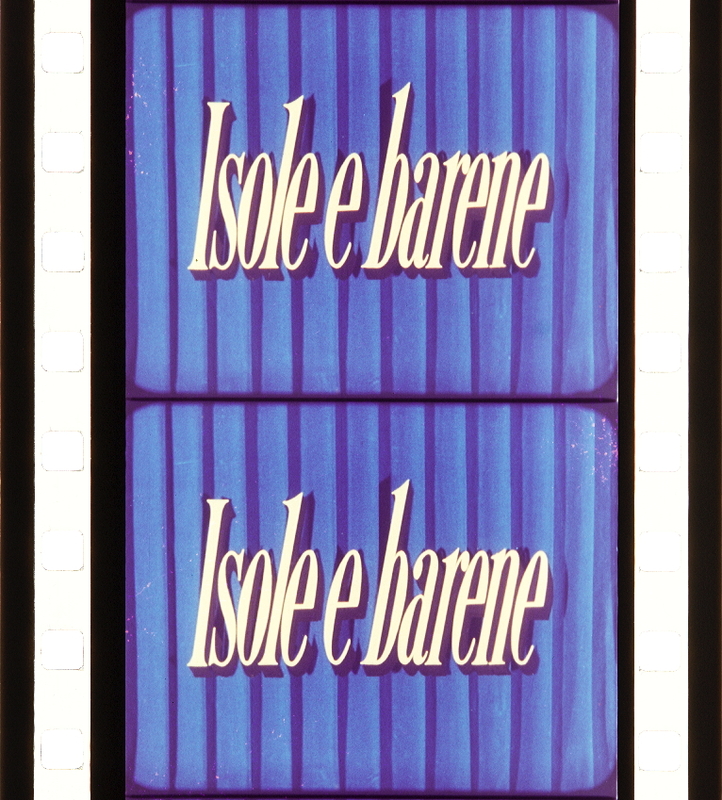 Isole e barene (ITA 1954, Gian Luigi Polidoro). Isole e barene (ITA 1954, Gian Luigi Polidoro). 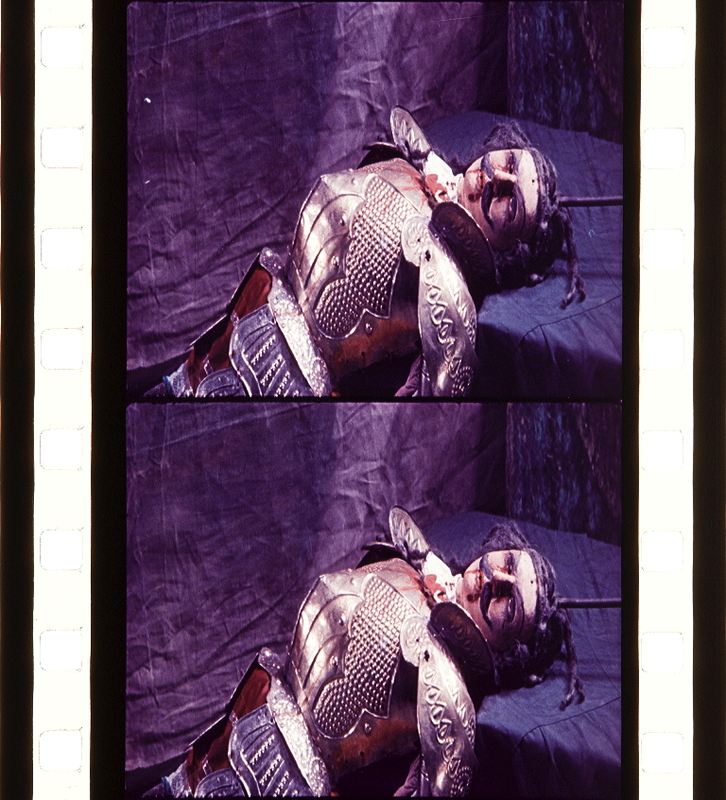 Credit: Cineteca di Bologna. 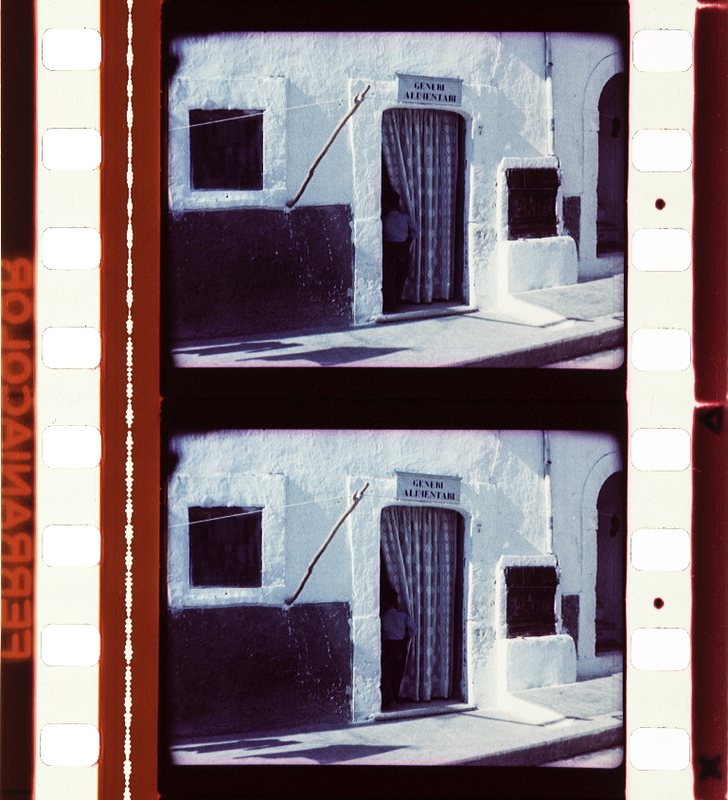 Photographs of the Ferraniacolor safety print by Barbara Flueckiger. La spada di Orlando (ITA 1955, Gian Luigi Polidoro). 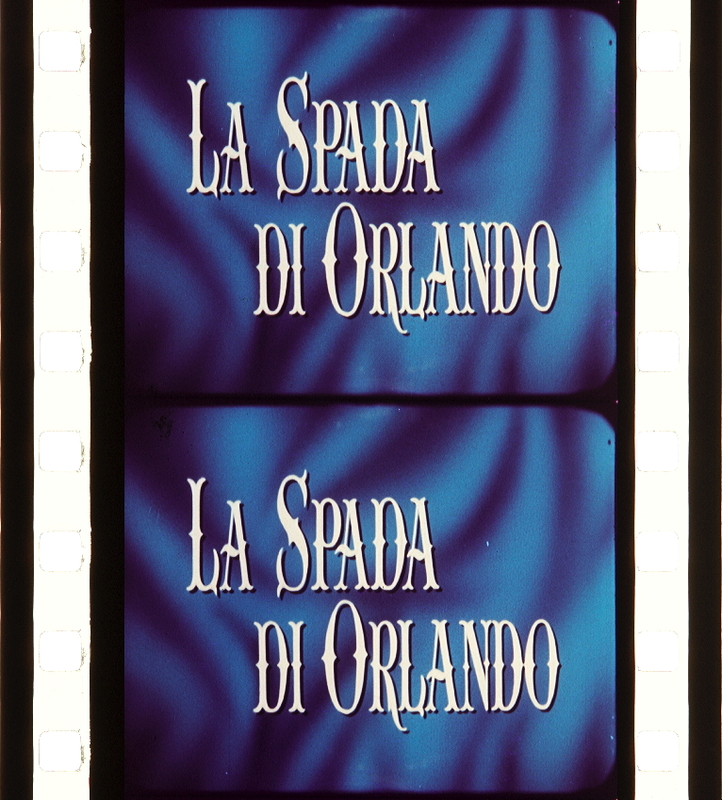 La spada di Orlando (ITA 1955, Gian Luigi Polidoro). 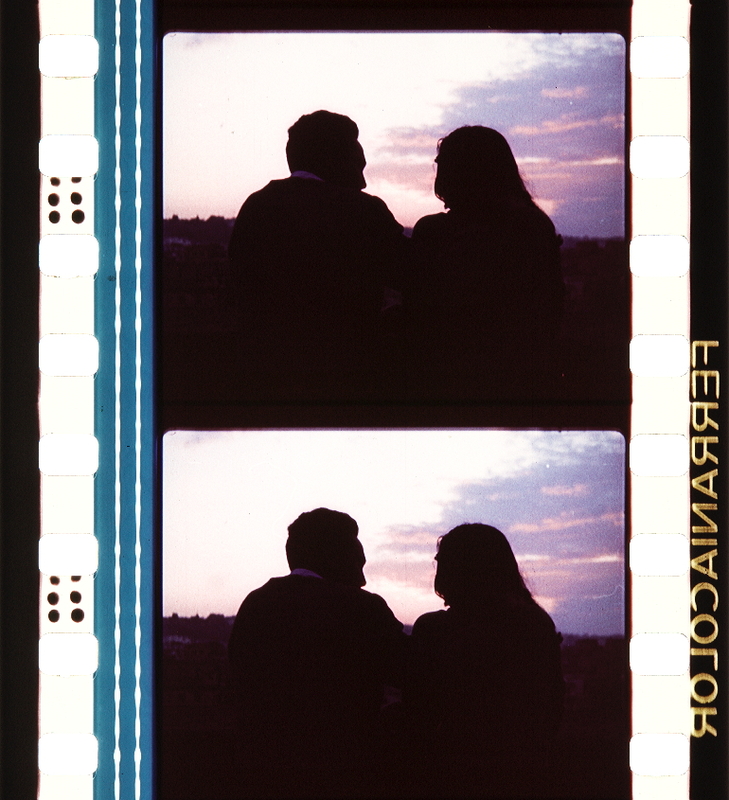 Credit: Cineteca di Bologna. 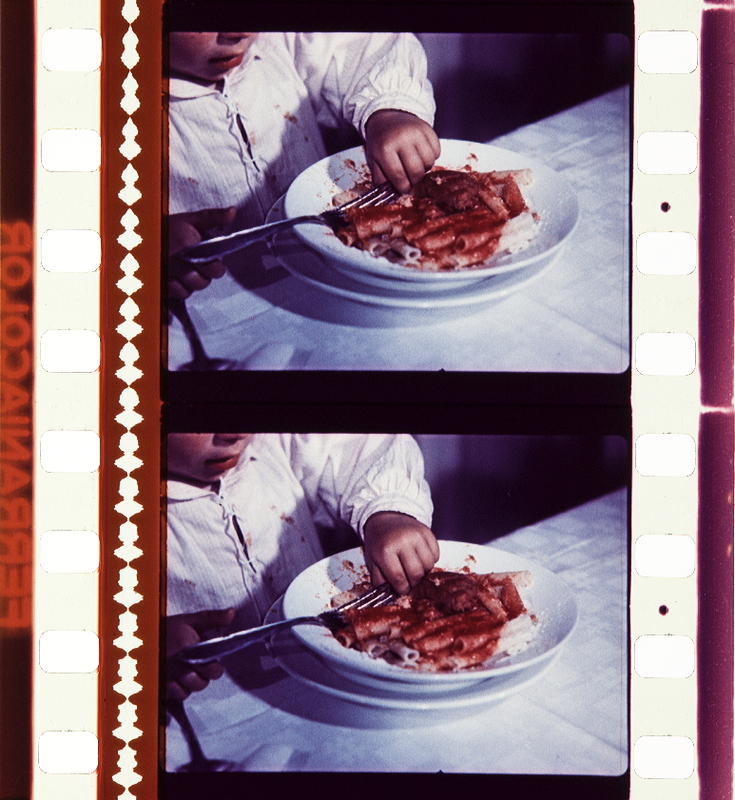 Photographs of the Ferraniacolor safety print by Barbara Flueckiger. 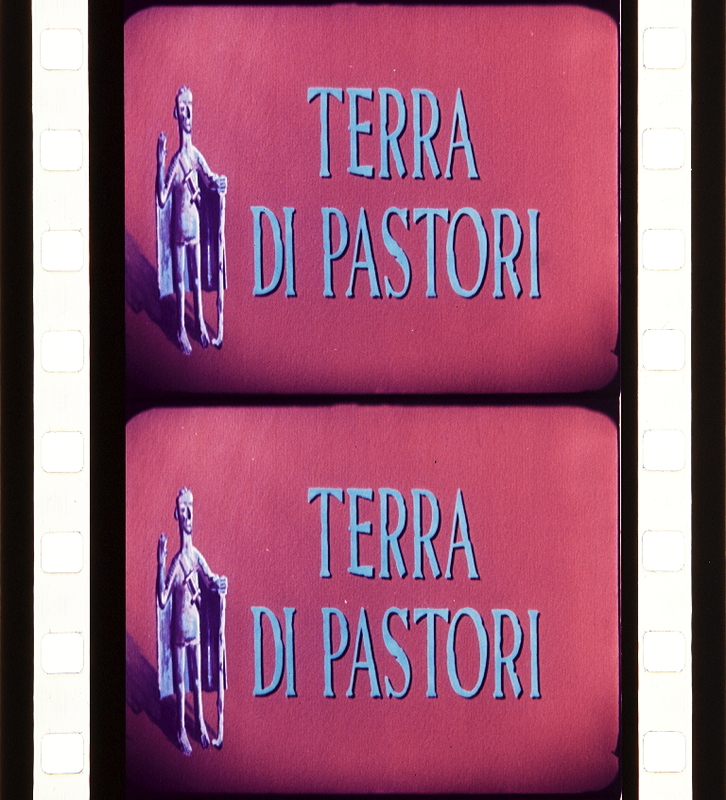 Terra di pastori (ITA 1954, Gian Luigi Polidoro). Terra di pastori (ITA 1954, Gian Luigi Polidoro). 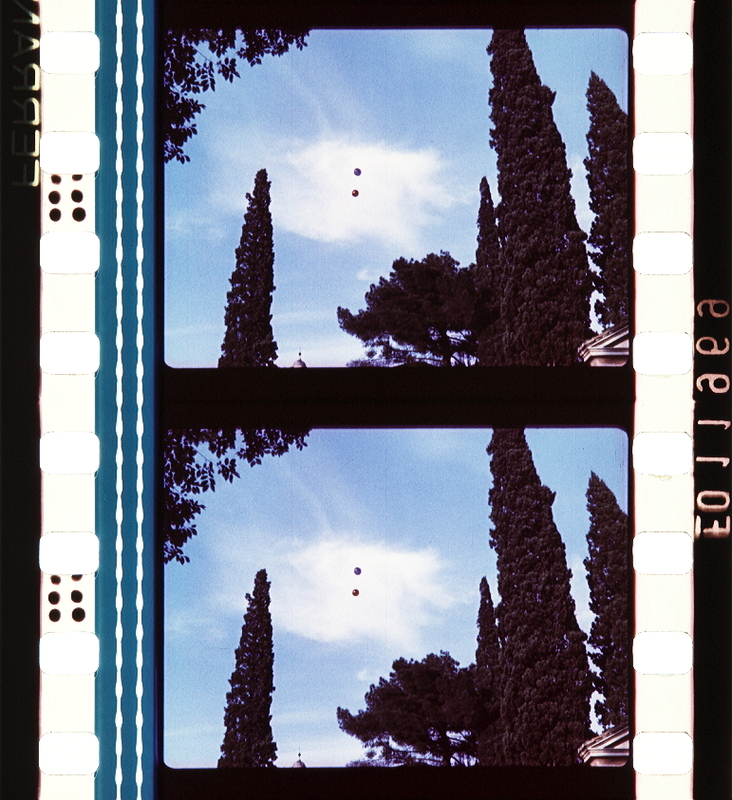 Credit: Cineteca di Bologna. 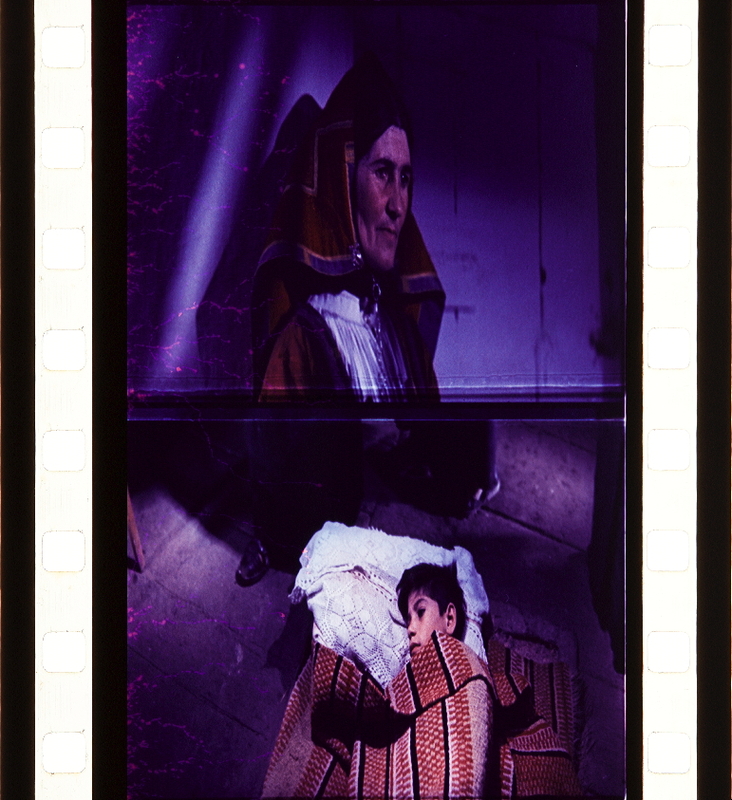 Photographs of the Ferraniacolor safety print by Barbara Flueckiger. Salmoiraghi, Angelo (1992): Ferrania dalle antiche ferriere all’industria dell’immagine. Storia, economia e sviluppo di una realtà industriale. Savona: Marco Sabatelli Editore. Autour des années trente, on assiste à la naissance presque simultanée des principaux procédés modernes qui relèvent tous du système soustractif. Dans ce système, la couleur est matérialisée sur la copie destinée à la projection. Le quasi-monopole exercé par les procédés soustractifs tient à un fait très banal : il ne demande aucune transformation du matériel de prise de vues et de projection. Mais cette simplification d’utilisation résulte d’une complexité accrue au niveau de la fabrication et du traitement des émulsions. 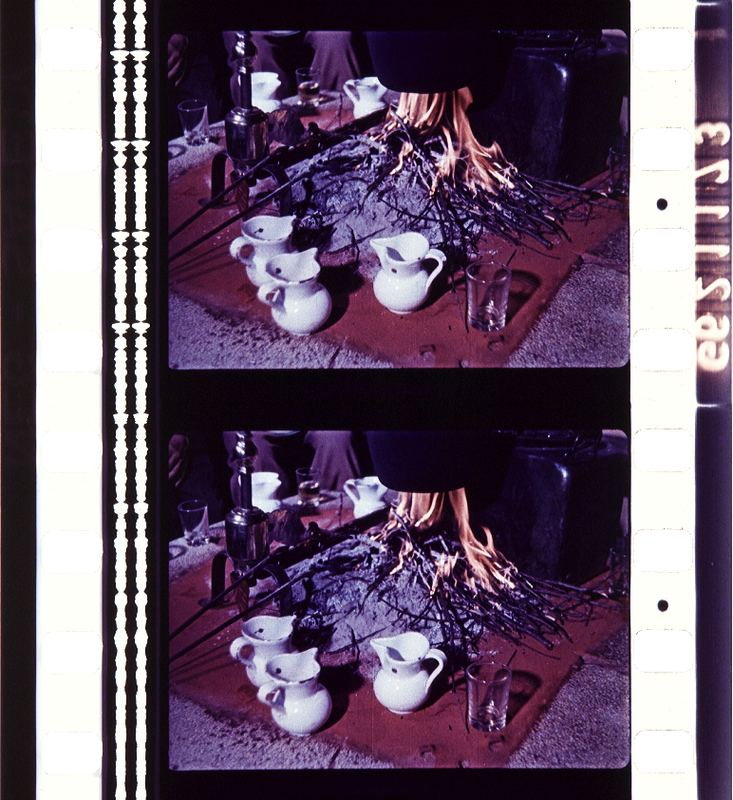 C’est là que se situe le problème du point de vue de la conservation : les trois couches qui composent la structure de la plupart des films soustractifs sont composées de matières colorantes beaucoup plus instables que l’argent réduit de l’émulsion en noir et blanc. e. Les procédés chromogènes négatif/positif : ces procédés apparaissent en 1941 avec le nouvel Agfacolor dont les brevets seront dispersés après la guerre et donneront naissance à tous les procédés modernes (Gevacolor, Ferraniacolor, Fujicolor, Anscocolor, Sovcolor, Eastmancolor…). 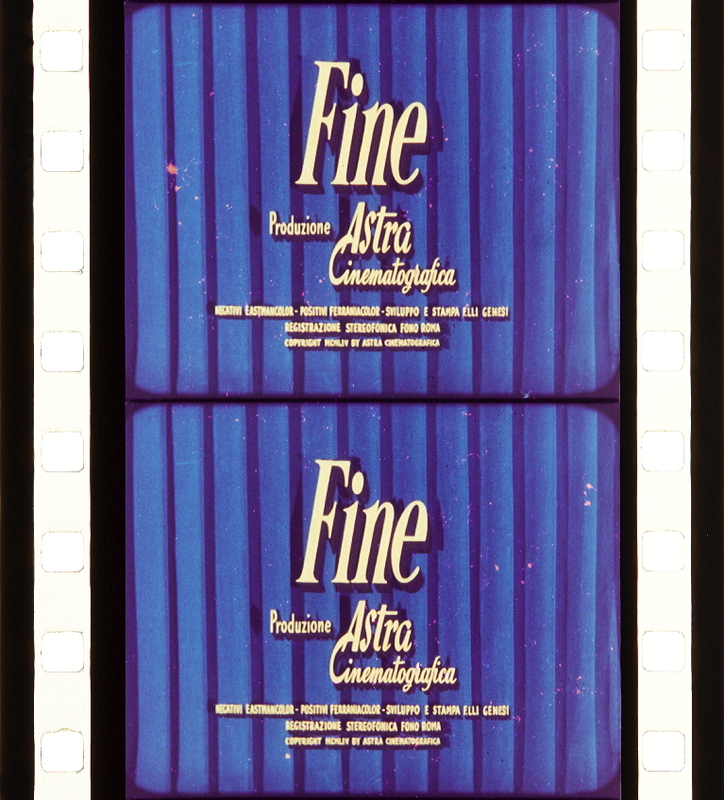 “Kinefilmmaterialien wie Ansco Color (nur 1950-1956), Ferraniacolor (seit 1950) und Gevacolor (seit 1948) verdanken den Pionierleistungen der Agfa ihr Erscheinen;19 allerdings hatten die ausländischen Hersteller auch bereits eigene Vorleistungen erbracht. 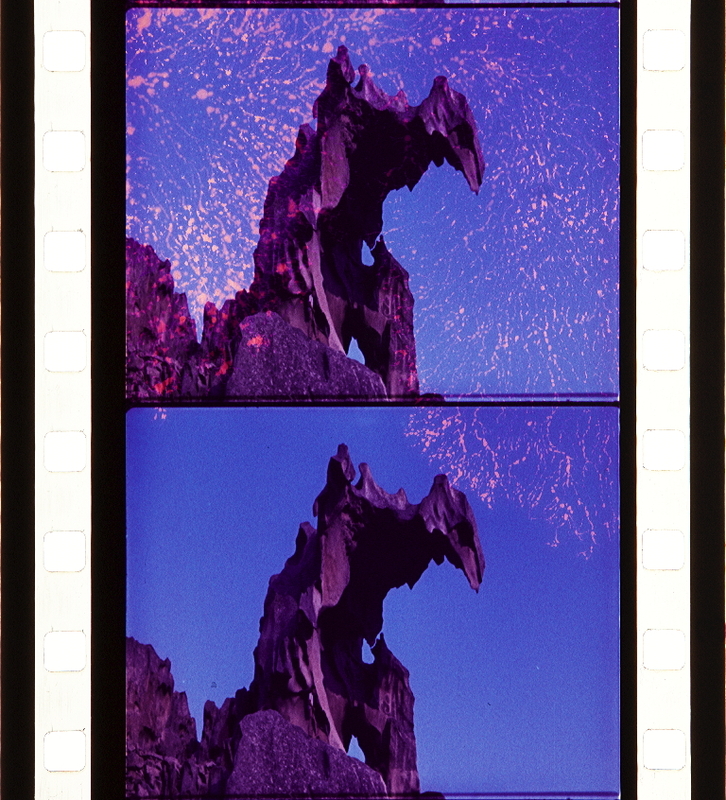 Im Vorspann und auf den Plakaten des am 14.11.1951 uraufgeführten ersten deutschen Gevacolor-Spielfilms Grün ist die Heide war daher auch zu lesen: “Gevacolor nach Agfa- und Gevaert-Patenten”; ihm folgten bis 1953 sechs weitere deutsche Gevacolor-Filme. 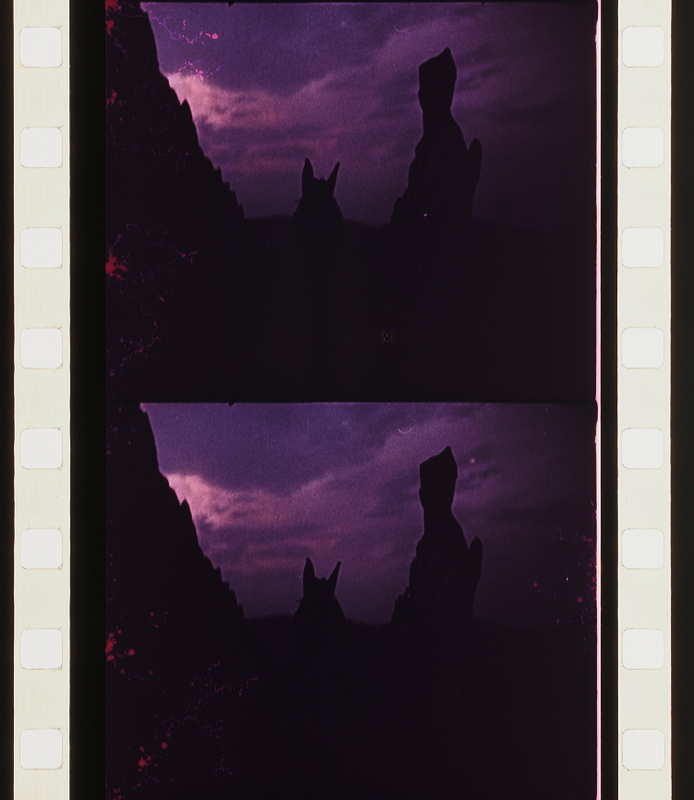 “There are several color negative films manufactured by different companies throughout the United States and Europe. 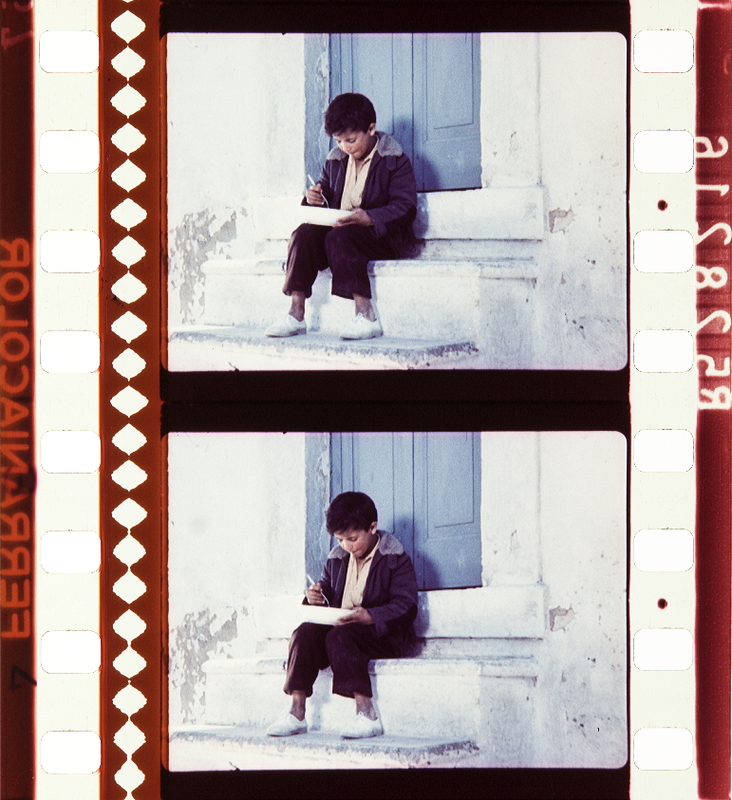 These negative films can be used in any ordinary black-and-white camera. 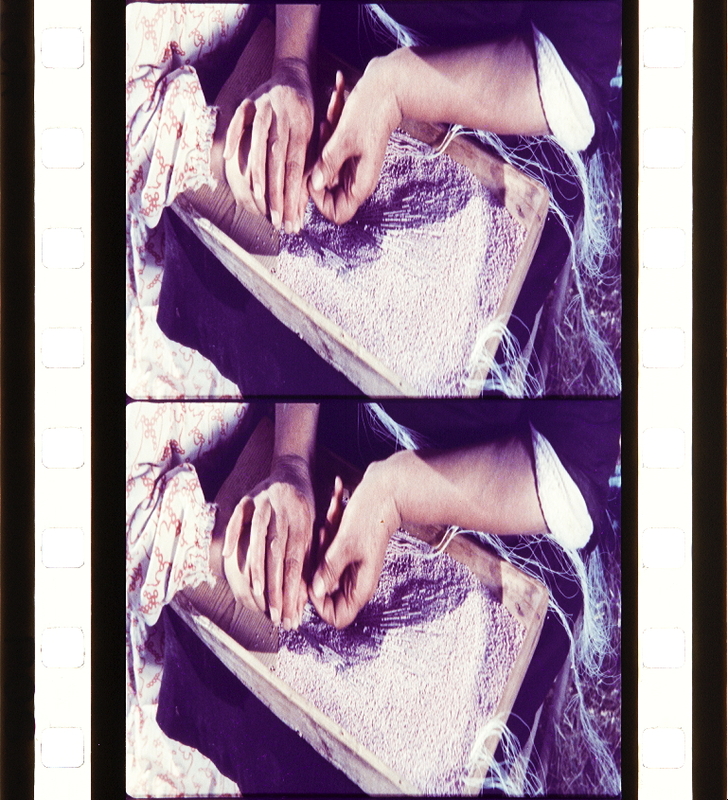 They have three emulsion layers superimposed on a cellulose acetate base. These three emulsion layers are differently sensitive to different colors of light. This means that the photo-sensitive silver halide particles in the separate emulsions are exposed by different colors of light. 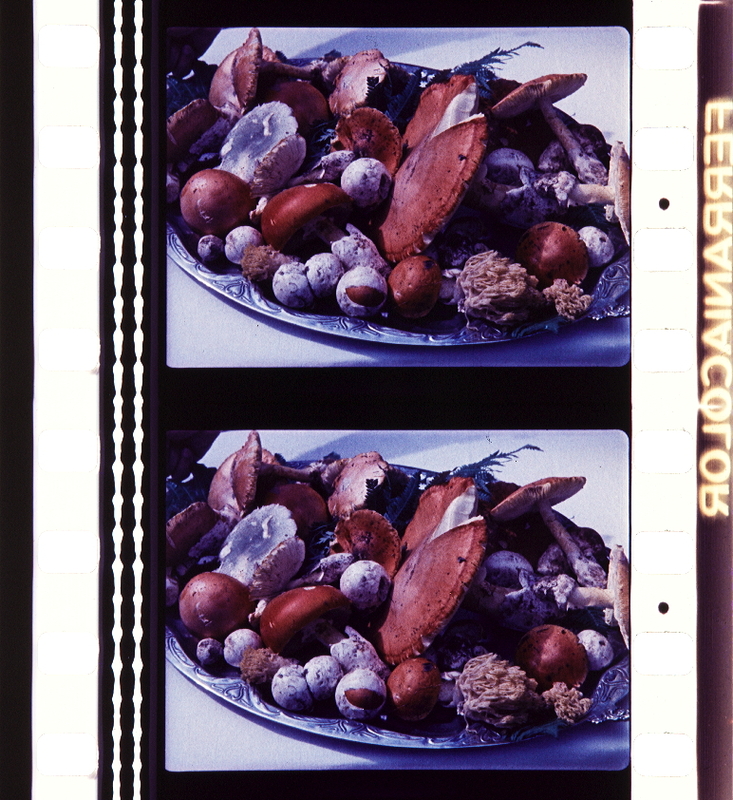 Generally, color negative films have a filter layer between the top two emulsions. Where the color sensitivity is not complete, this filter aids in separating unwanted colors from a particular emulsion. 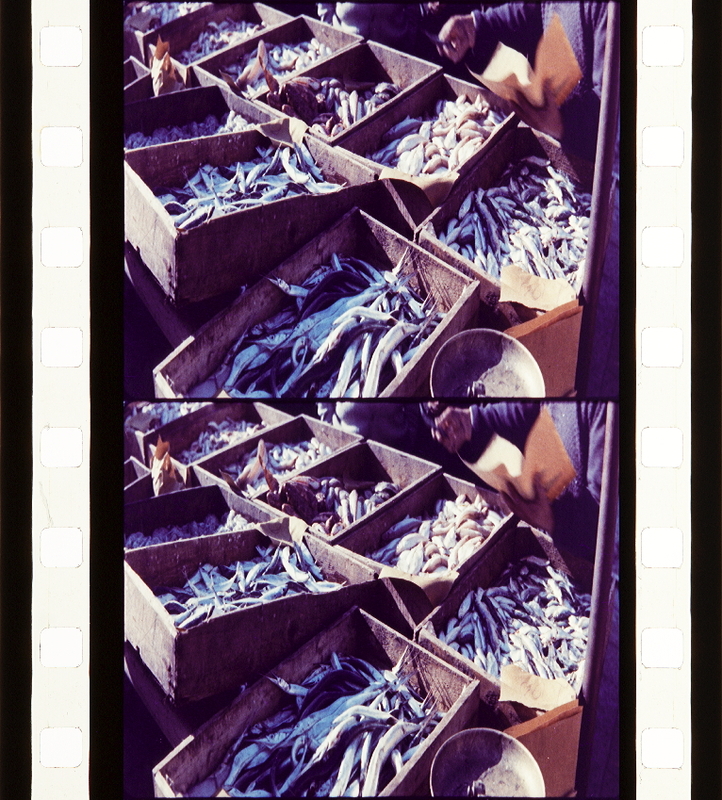 In the United States the most widely used color negatives are Eastman and Ansco. 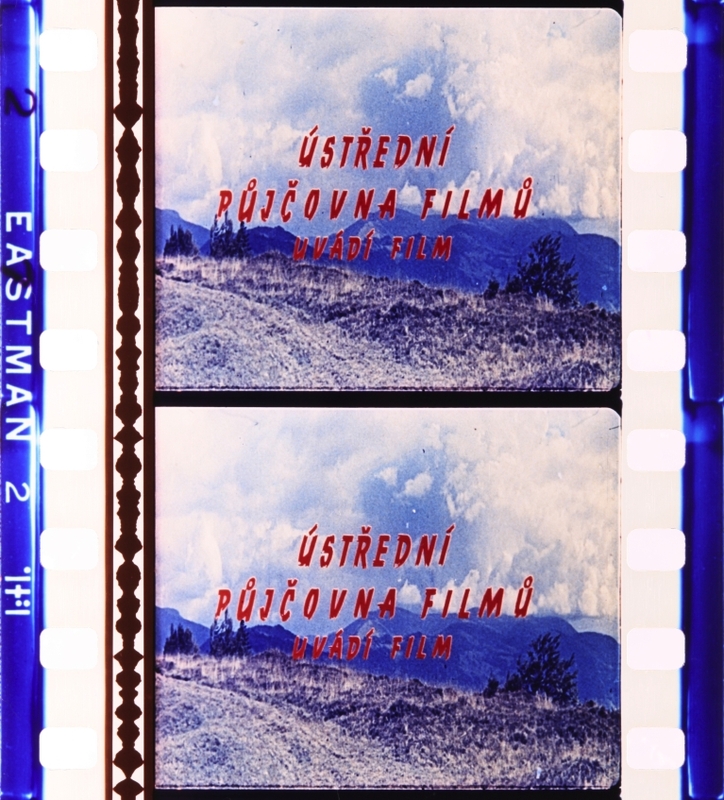 Both Eastman Color Negative and Ansco Color Negative have only one strip of film surfaced with three layers of emulsion, each being sensitive to a different primary color. 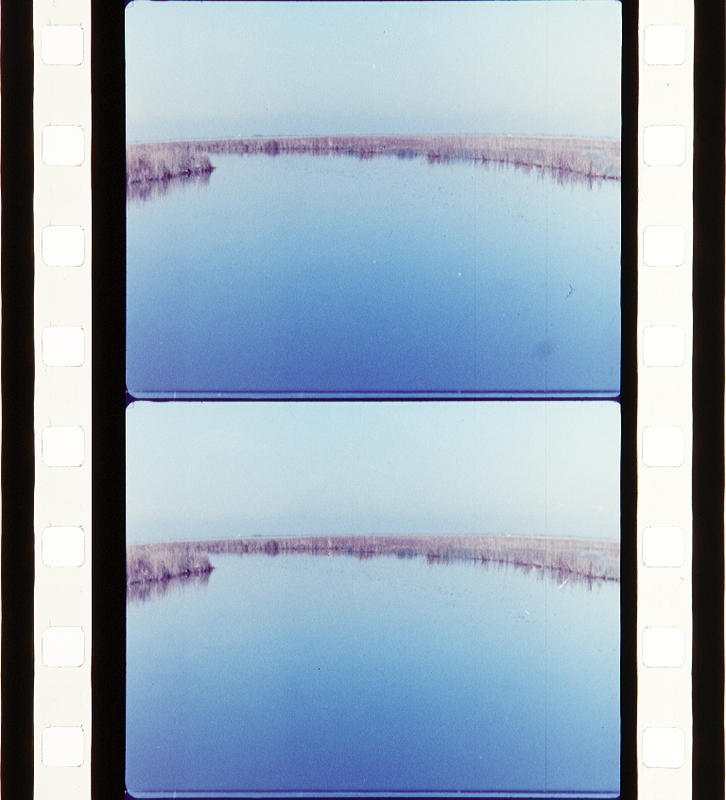 Either film can be used in a conventional 35mm camera. 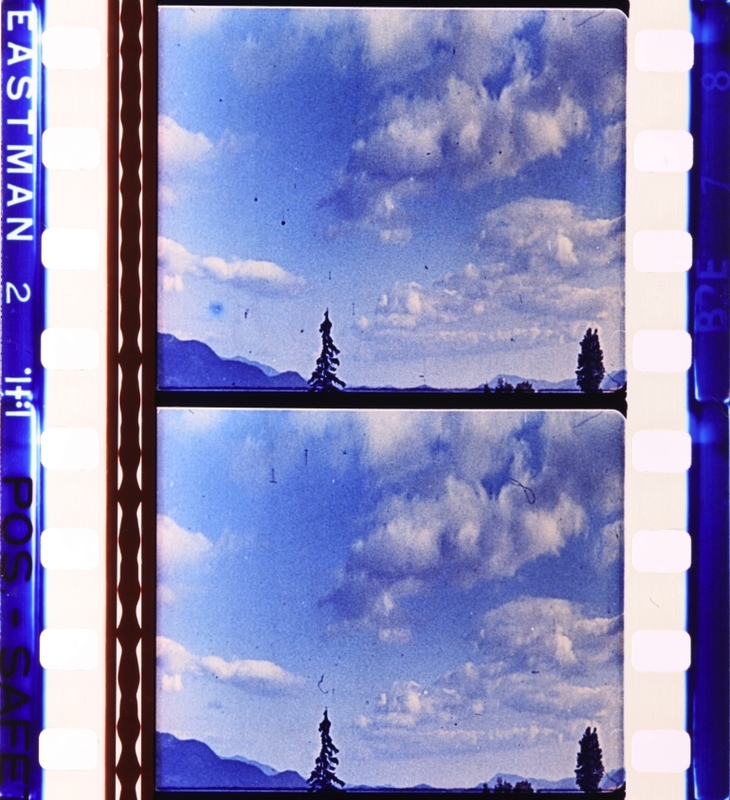 Similar to color negative, 16mm color positive film has three layers of emulsion, each sensitive to a different primary color – red, green and blue, The commercial film is low in contrast and differs from color negative in that a positive color image is obtained by reversal development rather than a negative. 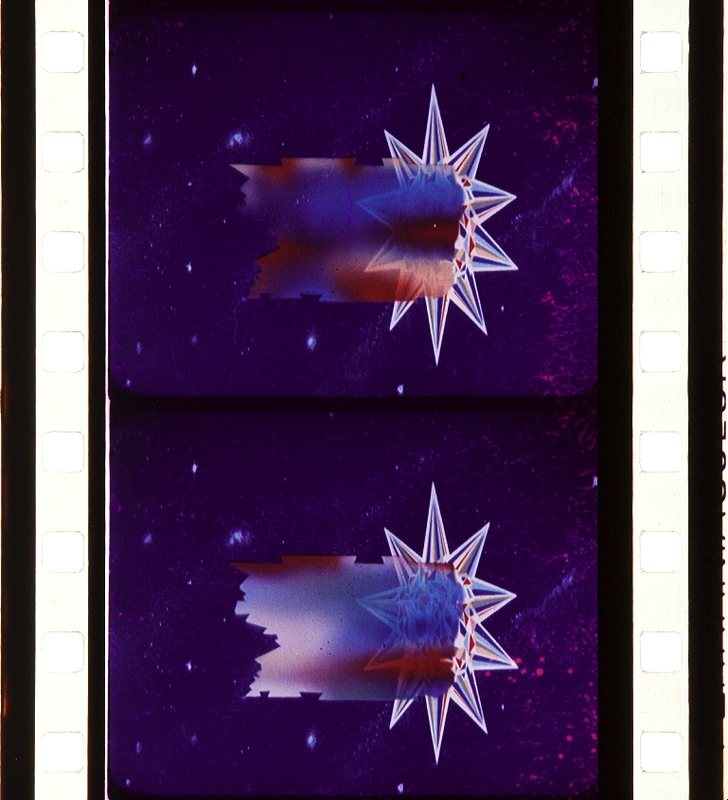 From it three 35mm separation negatives are made when dye transfer release prints are to be made for 35mm exhibition. 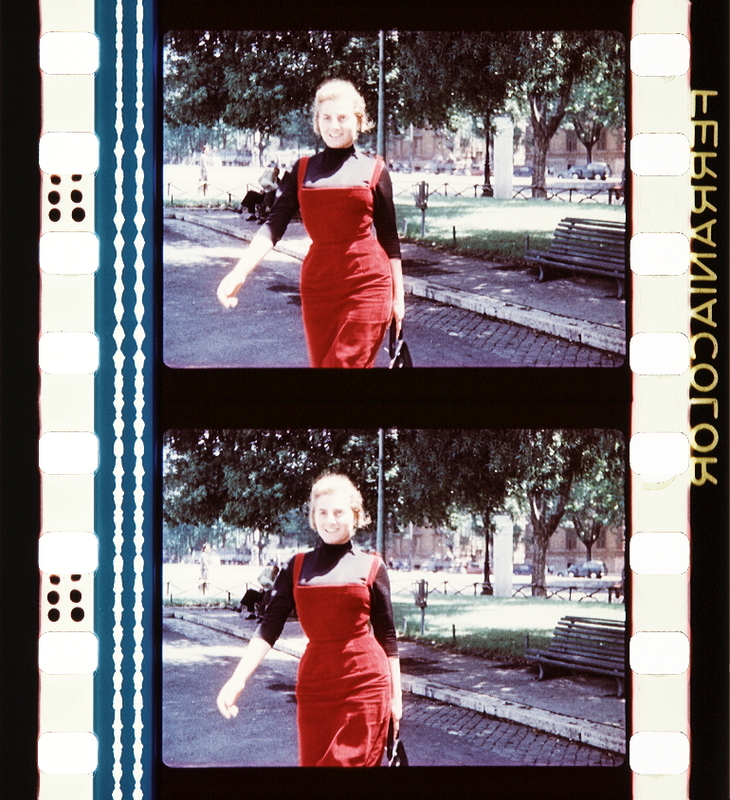 In Europe, there are three additional color negatives, Agafcolor, Gevacolor and Ferraniacolor. 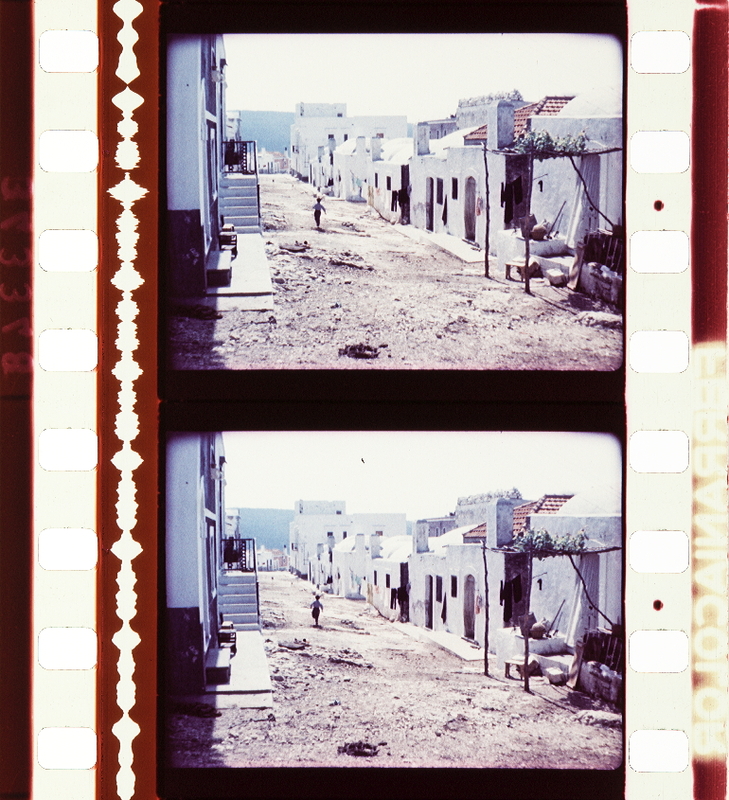 These negatives are similar to those used in the United States in that three layers of emulsion are superimposed on a single film base. 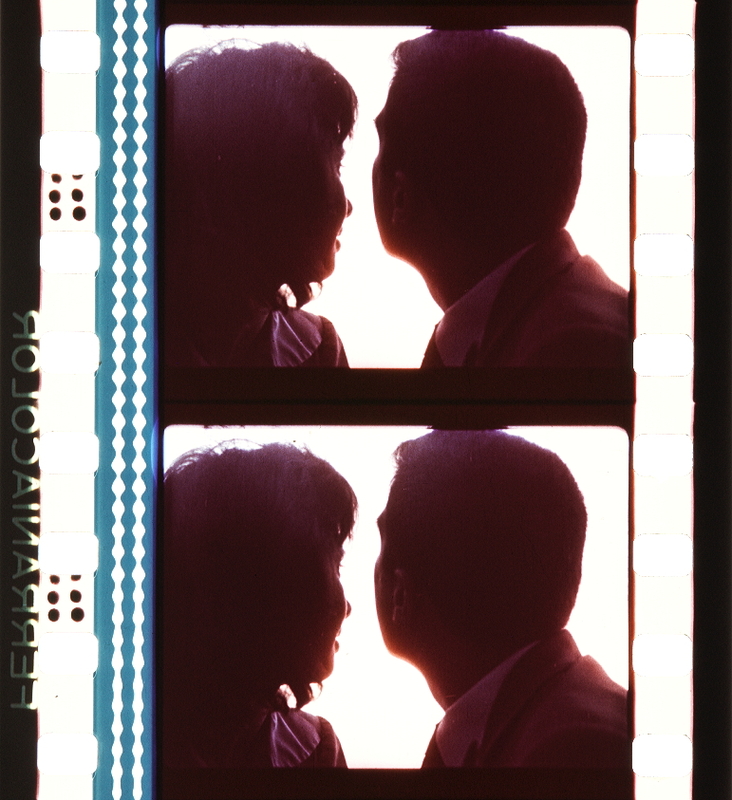 The Technicolor laboratories, in both United States and England, manufacture release prints from all of these color negative systems. 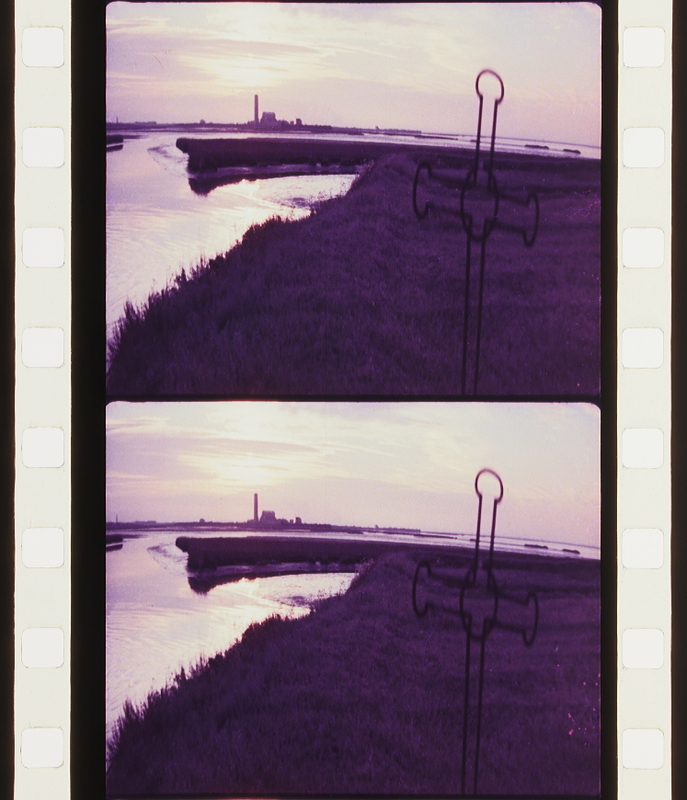 When photographing with 35mm Eastman or Ansco color negative, any standard 35mm camera may be used, including the “hand-held” or portable models. Specific “color” cameras are not required. 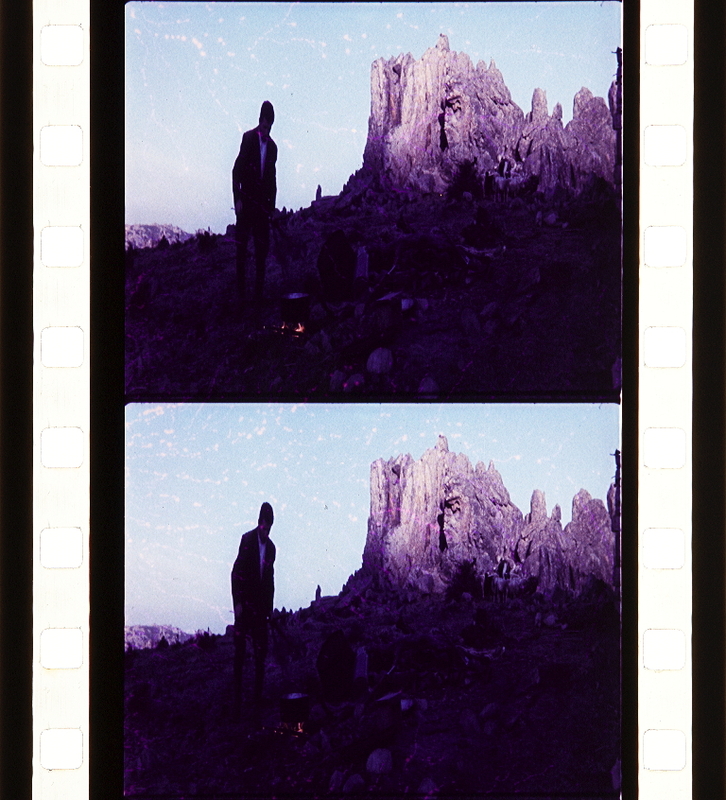 After the negative is developed, positive prints may be made in a manner similar to that for black-and-white film, or by the dye transfer method from the color negative, or from separation negatives, as will be explained later. 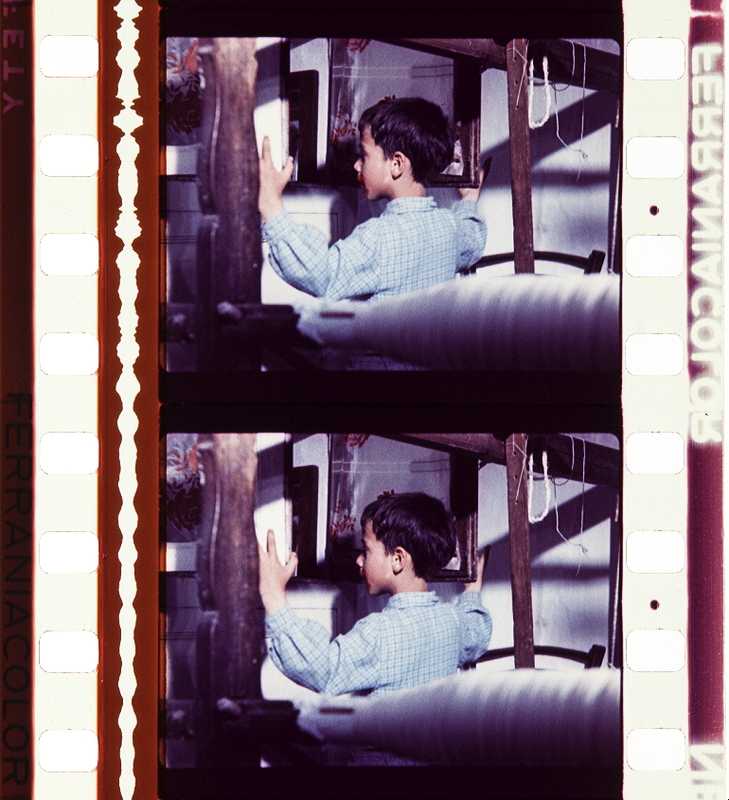 Only Technicolor offers the producer the alternative of having film printed on color positive stock or by the dye transfer method. Dye transfer release prints offer a cost advantage when a large number of prints are required for worldwide release. 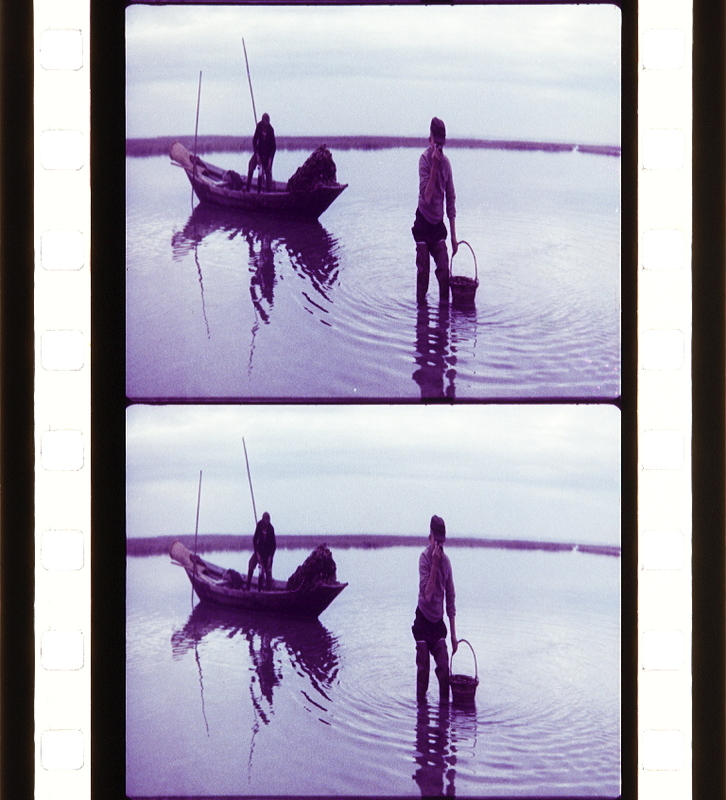 And by dye transfer printing from matrices valuable negative is saved from constant re-use. Color positive release prints are manufactured only from color negative. 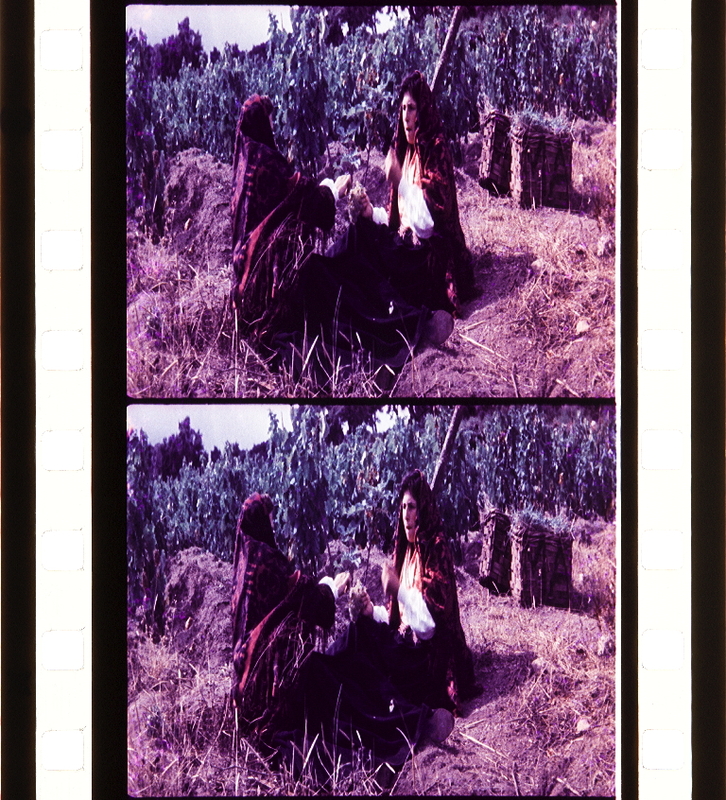 Color positive stock is similar to color negative in that it has three super-imposed emulsion layers. Color positive stock is contact-printed by light coming through the color negative. Color negative has different colors correlated to the sensitivities of color positive emulsion layers. 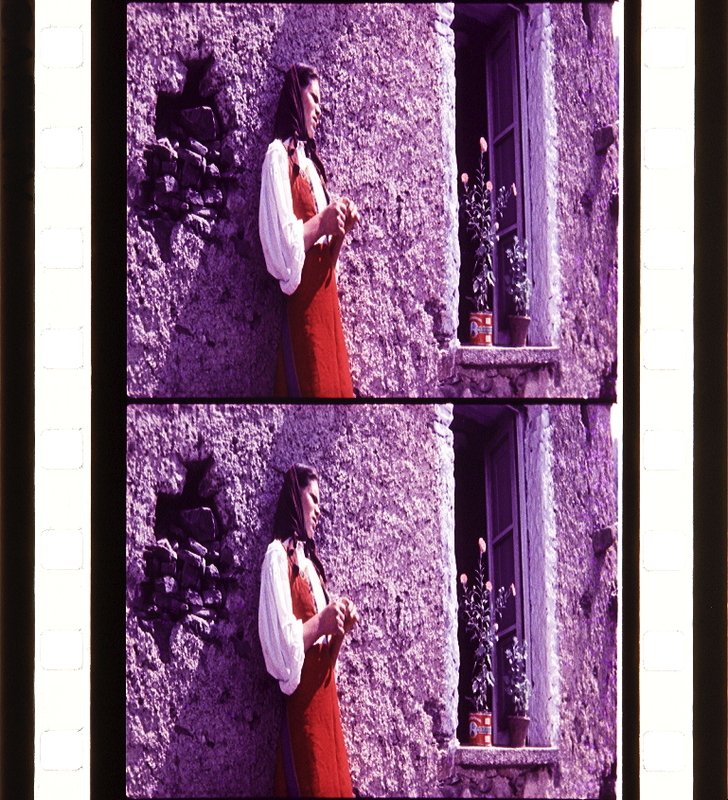 Ferrania-color is a three-color subtractive color process introduced in Italy in 1952. When it was introduced it consisted of two elements that could be used singly or together: a coupler-incorporated, three-color negative and a coupler-incorporated, three-color print film. 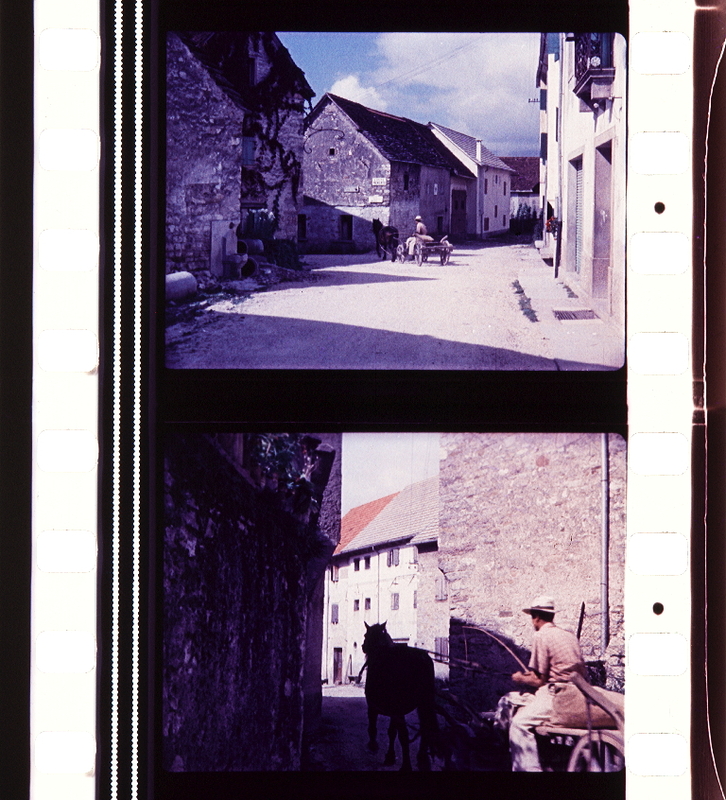 Although the process was not used for motion picture production in the United States it was used in Europe to produce several pictures. 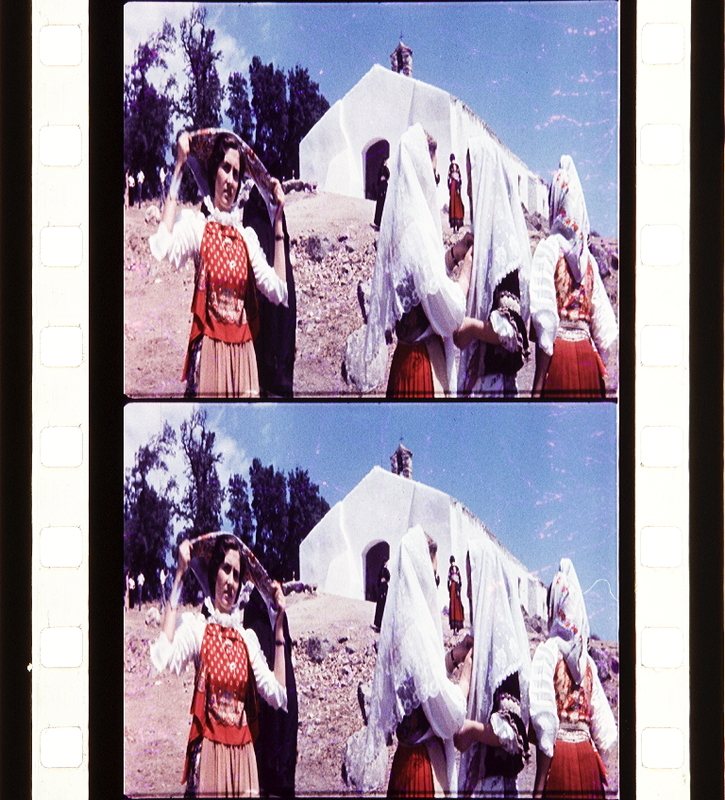 One of the first pictures photographed in this process and distributed in the United States was the IFE production Aida. 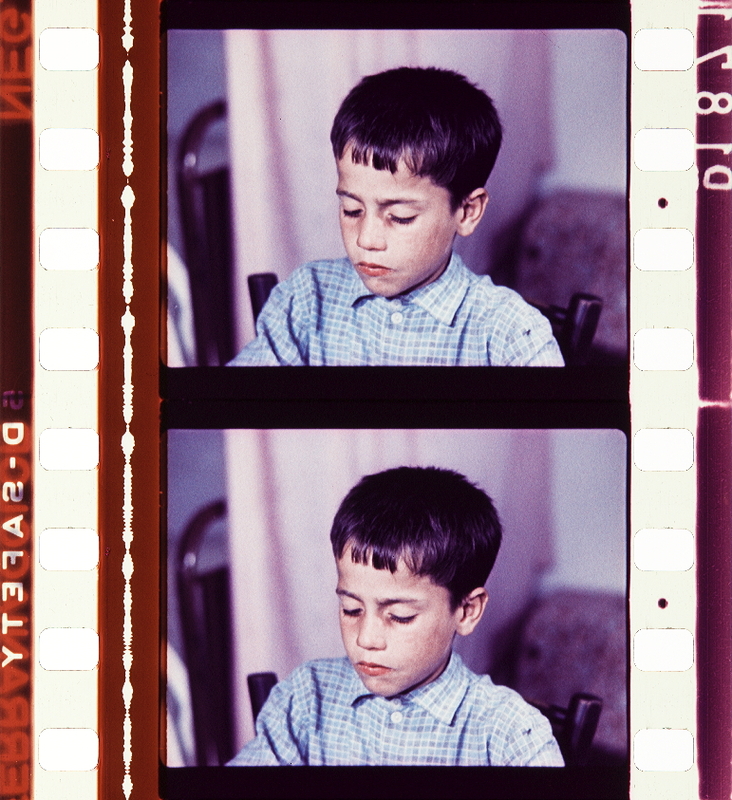 This film was praised for its color quality by Film Daily and Independent Film Journal. In 1956 an Italian production The Queen of Babylon was released in the U.S. by Twentieth Century-Fox.18 The process, however did not become popular in the United States. In 1964 the Minnesota Mining and Manufacturing Co. purchased control of Ferrania and began to distribute their photographic products in the United States. 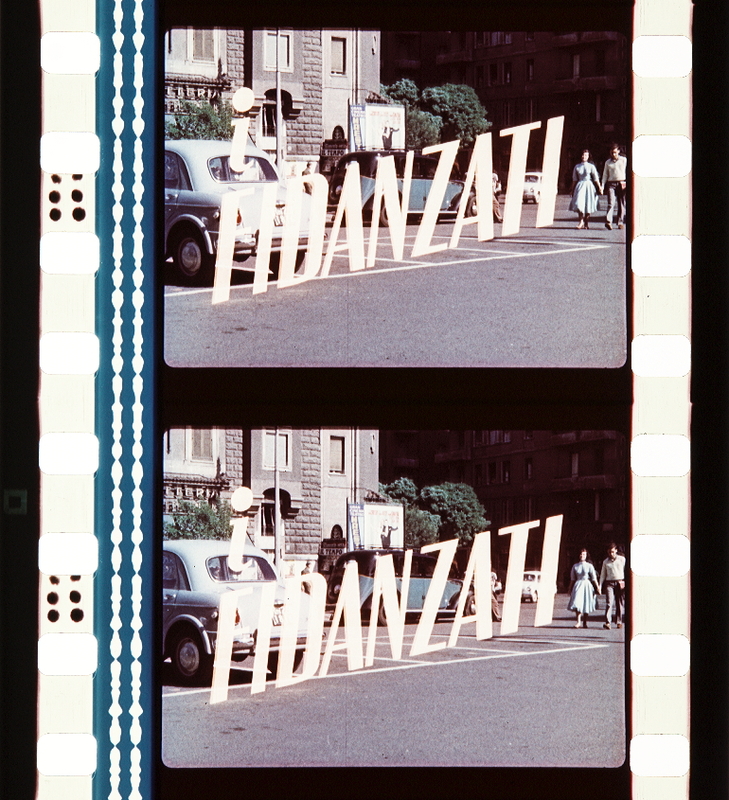 These first efforts were limited to black and white films and a Ferrania-color Print Film whose recommended process was not compatible with other existing color processes. For this reason its introduction was unsuccessful. “L’introduzione del film a colori nelle cinematografie europee è infatti accelerata dalla progressiva disponibilità delle nuove tecnologie a supporto unico derivate dall’Agfacolor. Dopo la fine del conflitto, i brevetti del sistema tedesco diventano parte del bottino di guerra degli Alleati, e, nel giro di alcuni anni, tutte le principali industrie di materiali sensibili sono in grado di lanciare i propri marchi: Sovcolor e Anscocolor (1945), Gevacolor (1947), Ferraniacolor (1949), Eastmancolor (1951), Fujicolor (1955)3. Queste nuove pellicole impiegano un po’ di tempo prima di essere naturalizzate all’interno di contesti produttivi istituzionali, ma dopo alcuni anni di sperimentazioni, nella prima metà degli anni cinquanta esse sono in grado di dar corso a una produzione sempre meno occasionale di film a colori, come vedremo nella seconda parte del capitolo, esaminando le spinte progressive alla diffusione del colore nel cinema italiano. 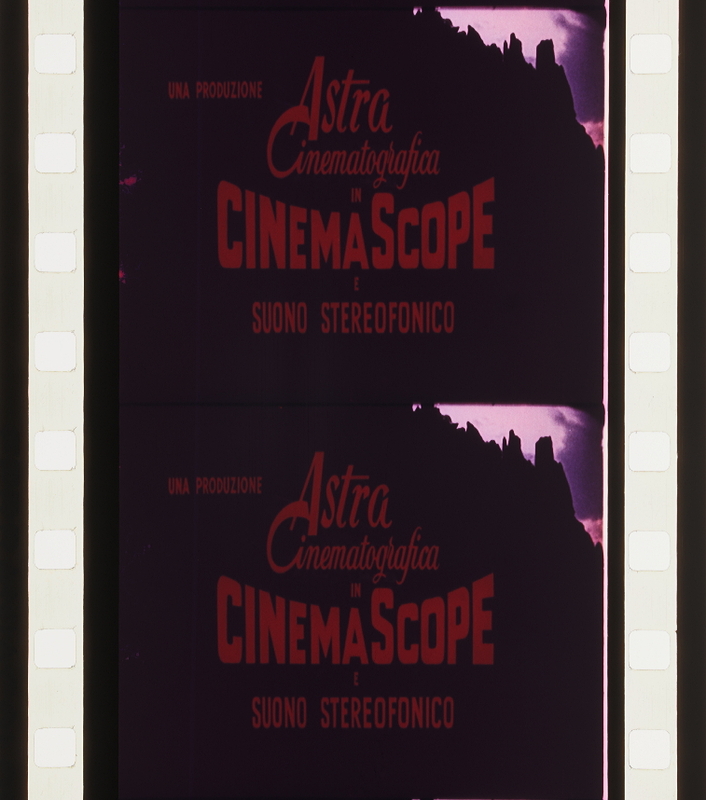 3 Tutti questi sistemi sfruttano il principio della sintesi sottrattiva e la tecnologia del supporto unico a triplo strato di emulsione, introdotta con il Kodachrome e con l’Agfacolor risp. nel 1935 e nel 1936. Il negativo è composto da tre strati di emulsione, sensibili risp. al blu, al verde e al rosso. Ciascuno strato contiene elementi in grado di produrre, per sviluppo cromogeno, un colorante complementare a quello per cui lo strato stesso è sensibilizzato (risp. giallo, magenta e ciano). Il negativo così ottenuto presenta i colori complementari a quelli del soggetto. Una volta stampato su un positivo caratterizzato dalla medesima struttura, si ottiene un’immagine che riproduce i colori del soggetto. Nell’Eastmancolor (1951), questa stessa procedura viene resa più stabile grazie all’introduzione di un sistema di masking (che ottimizza le aree di assorbimento spettrale dei tre strati) e una diversa disposizione degli strati stessi (cfr. Limbacher 1969, pp. 53–72; Ryan 1977, pp. 113–212; Koshofer 1988, pp. 119–130). 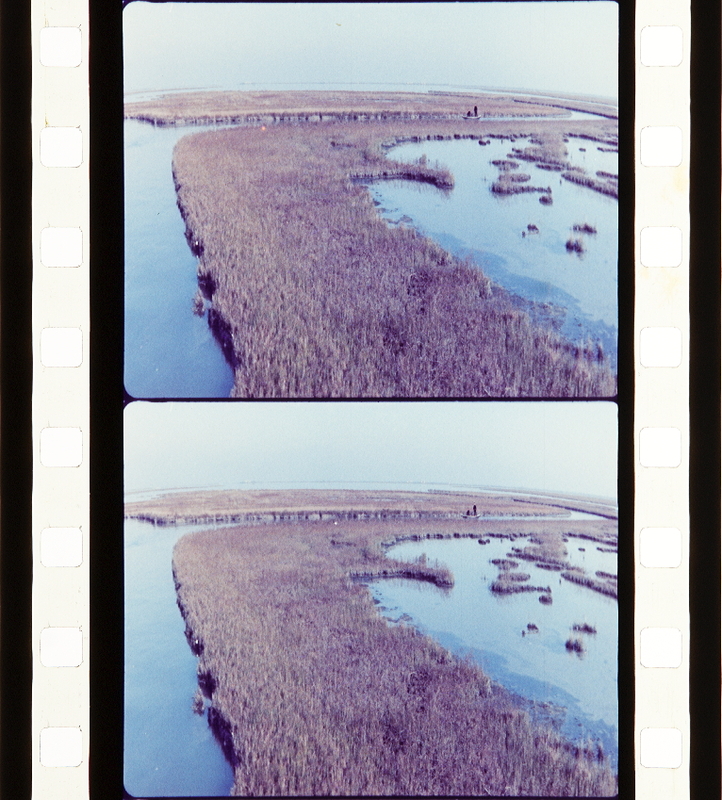 Koshofer, Gert (1988), Color. 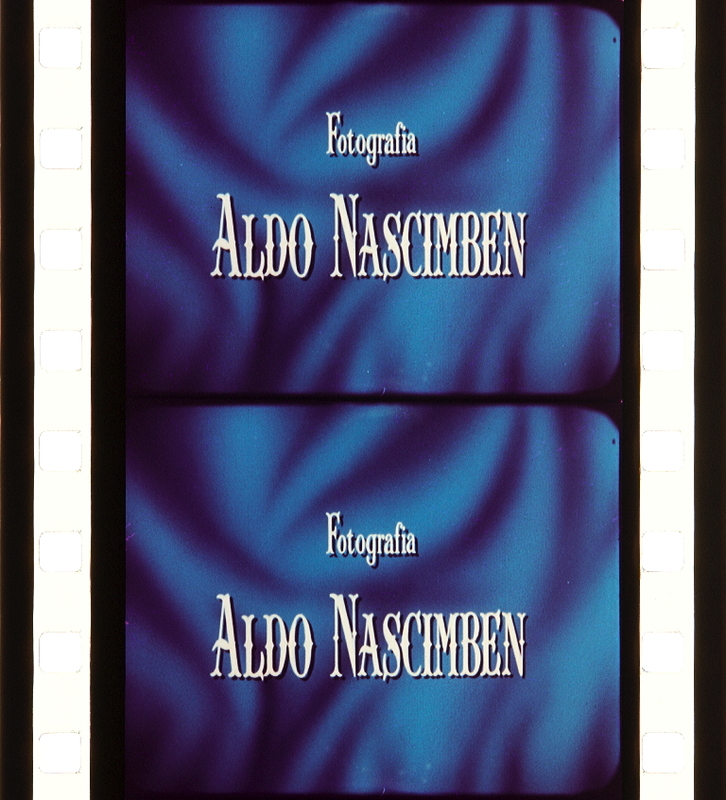 Die Farben des Films, Wissenschaftsverlag Volker Spiess, Berlin. 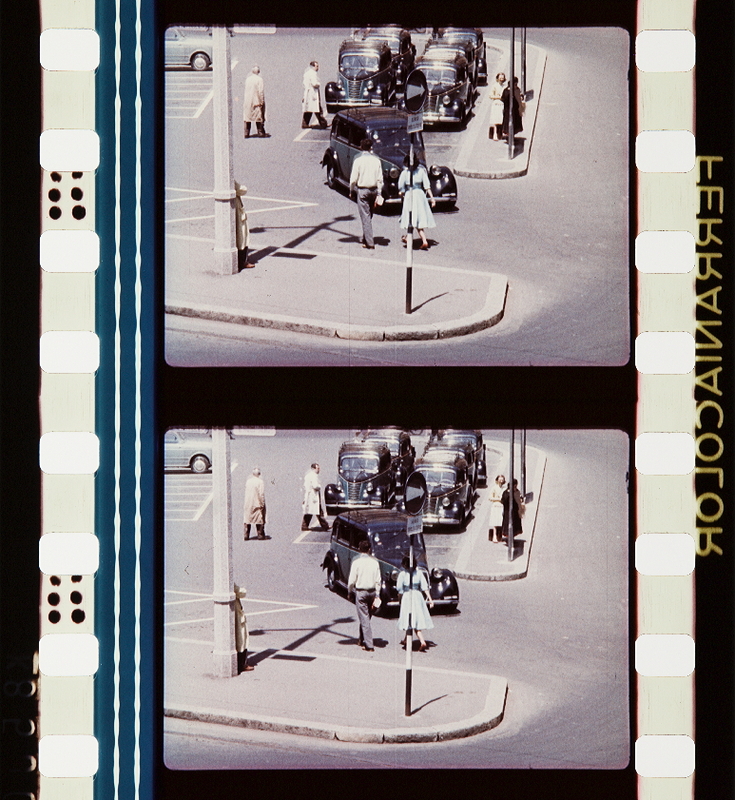 Limbacher, James L. (1969), Four Aspects of the Film, Brussel & Brussel, New York. “Cornici o parentesi metarappresentative furono utilizzate come riferimento diretto o mediato alle narrazioni: il balletto classico in Scarpette rosse (1948) e I racconti di Hoffmann (The Tales of Hoffmann, Powell/Pressburger, 1951), la commedia dell’arte in La carrozza d’oro (Renoir, 1952), il melodramma verdiano in Senso (Visconti, 1954), l’oratorio drammatico in Giovanna d’Arco al rogo (Rossellini, 1954), il circo in Lola Montès (Ophüls, 1955). L’altro importante mediatore fu offerto dalla pittura, che venne spesso citata, ripresa o ricreata come chiave d’accesso all’atmosfera figurativa di particolari ambientazioni. In Italia, come in altre cinematografie europee, il compito di ricomporre la frattura tra colore e bianco e nero fu assolto inizialmente dalla produzione di genere. Negli anni cinquanta gli autori più accreditati si mantennero a distanza di sicurezza dalla novità. 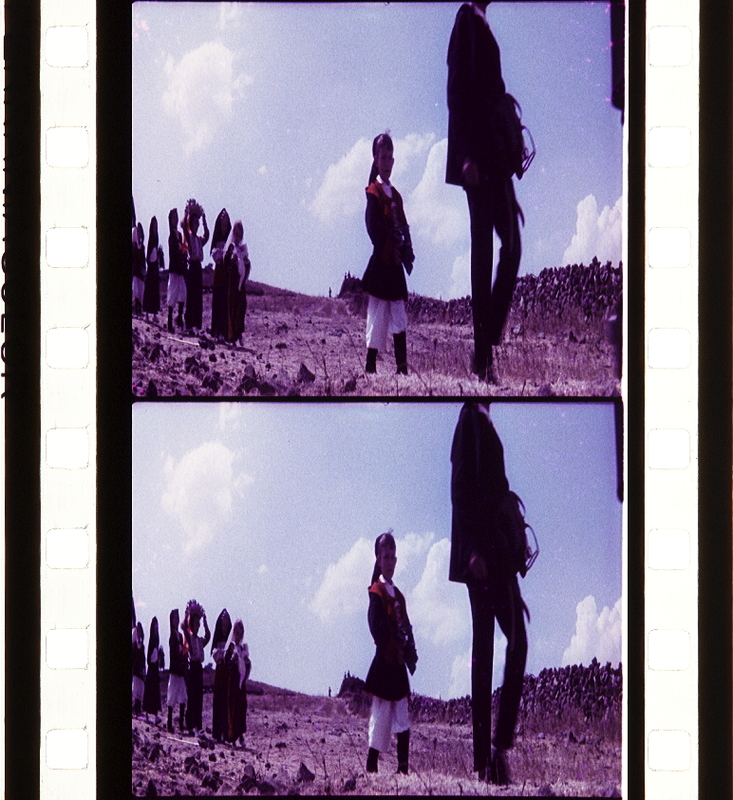 Antonioni, sostenitore teorico di una estetica europea del colore, realizzò nel decennio solo film in bianco e nero, e con lui Fellini; Visconti saggiò le possibilità del Technicolor con Senso (1954) ma attese quasi dieci anni prima di tornare al colore. 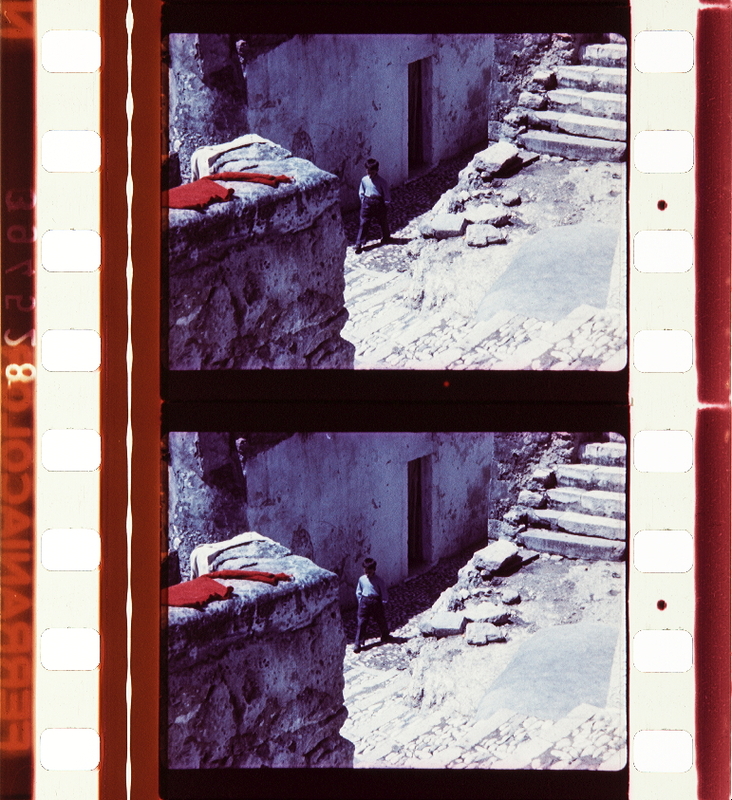 Solo Rossellini mostrò una più spiccata attitudine sperimentale, alternando supporti e formati cromatici in Giovanna d’Arco al rogo (1954) e in India Matri Bhumi (1959), due film completamente diversi tra loro. Al di là di questi e pochi altri esempi, per l’intero quindicennio postbellico la ricerca di colori modellati su riferimenti colti rimase una scelta minoritaria e occasionale. L’idea di associare l’uso della novità a motivazioni di ordine artistico rimase più un’ipotesi sognata dalla critica che una possibilità realmente praticata. Nel momento in cui dagli anni cinquanta iniziarono a diffondersi i nuovi supporti a colori fu invece la sfera della produzione di genere a interessarsi alla novità in modo non intermittente, divenendo il luogo principale di sperimentazione e assestamento delle tecniche. In Italia, il fenomeno fu sollecitato dall’introduzione della tecnologia nazionale Ferraniacolor, che metteva a disposizione dei produttori un supporto dal costo relativamente basso e di qualità non troppo inferiore rispetto a quelli commercializzati altrove14. Il Ferraniacolor rimase per alcuni anni la pellicola più frequentemente utilizzata dalla produzione italiana, soprattutto nei generi di profondità. Nella prima metà del decennio, tuttavia, la scarsa reputazione di cui godeva il marchio nazionale spinse alcuni produttori impegnati in film ad alto budget a rivolgersi alla Technicolor di Londra, che al pari della consorella statunitense offriva un sistema ampiamente collaudato e garantiva un solido know-how del personale15. 14 Il negativo Ferraniacolor tipo 51 dichiarava una sensibilità di 8 ASA: la quantità di luce richiesta risultava superiore dalle tre alle quattro volte rispetto a quella impiegata per il bianco e nero (che con il coevo Ferrania Pancro C.7 aveva raggiunto la sensibilità di 100 ASA). Nel 1953, con l’introduzione di un nuovo negativo per interni (tipo 82, 20 ASA), gli operatori iniziarono a girare in condizioni luminose un po’ meno vincolanti (cfr. Monteleoni 1953). 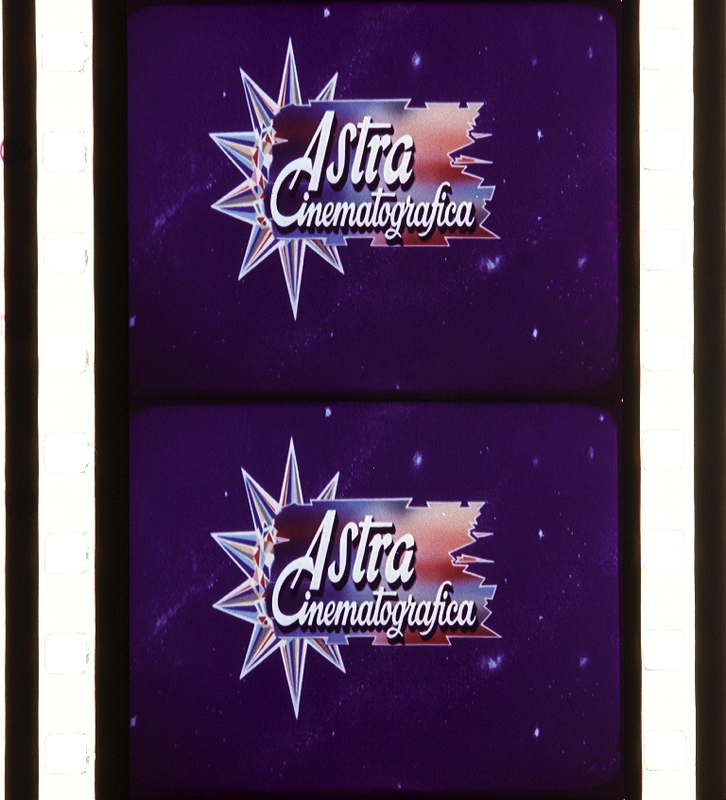 15 Alla British Technicolor si rivolsero complessivamente undici produzioni, tutte a medio o alto costo, tra il 1952 e il 1954 (cfr. Aprà 2004, pp. 633–644). 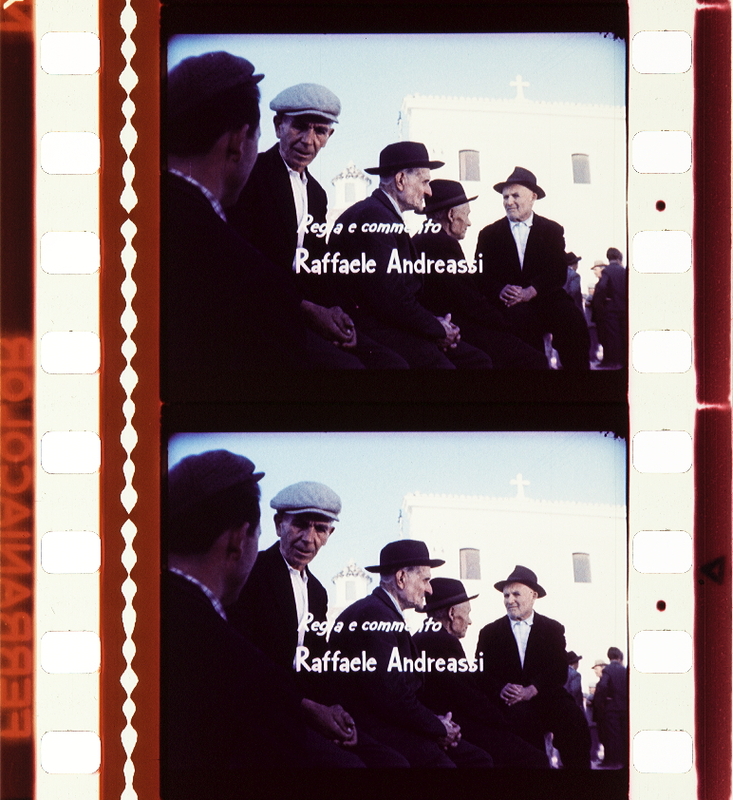 Aprà, Adriano (2004), La tecnica: colore, formati e lavorazioni, in Bernardi, Sandro a cura di (2004), Storia del cinema italiano, vol. IX, 1954/1959, Marsilio-Edizioni di Bianco e nero, Venezia-Roma, pp. 633–647. 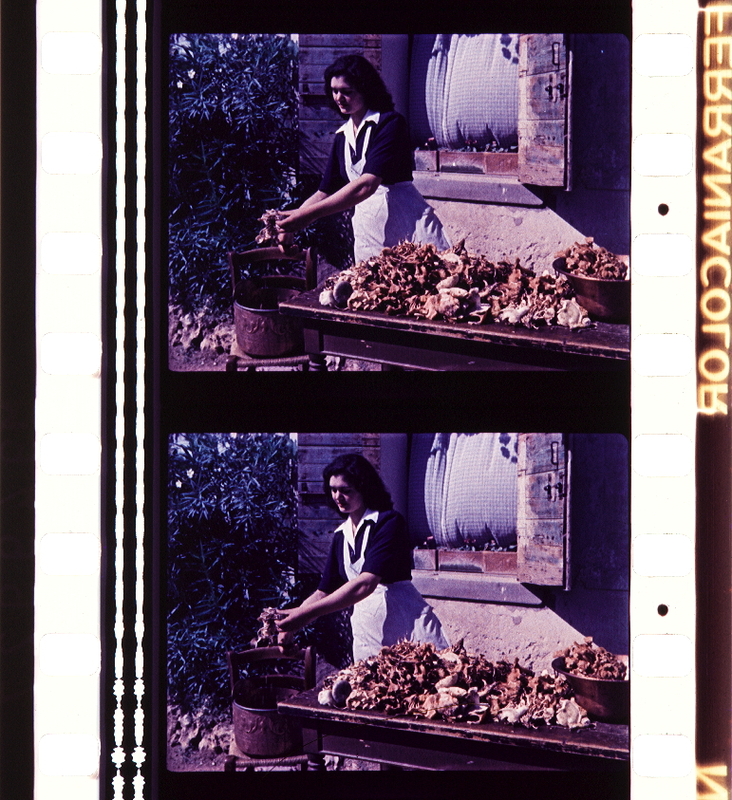 “Nel frattempo, la domanda di pellicola a colori veniva soddisfatta in misura sempre crescente dal negativo Eastmancolor, divenuto disponibile per le lavorazioni nazionali nel 1954. Nel giro di pochi anni, il Ferraniacolor perse il suo primato a tutto vantaggio della pellicola statunitense, che, grazie a supporti sempre più sensibili e stabili, aumentò il divario tecnologico con la concorrenza, garantendo anche costi sempre più competitivi18. Sul finire del decennio, il negativo Ferraniacolor fu ritirato dal mercato19. La breve stagione della tecnologia nazionale si chiuse e il mercato interno si aprì completamente alla penetrazione dei supporti a colori stranieri. 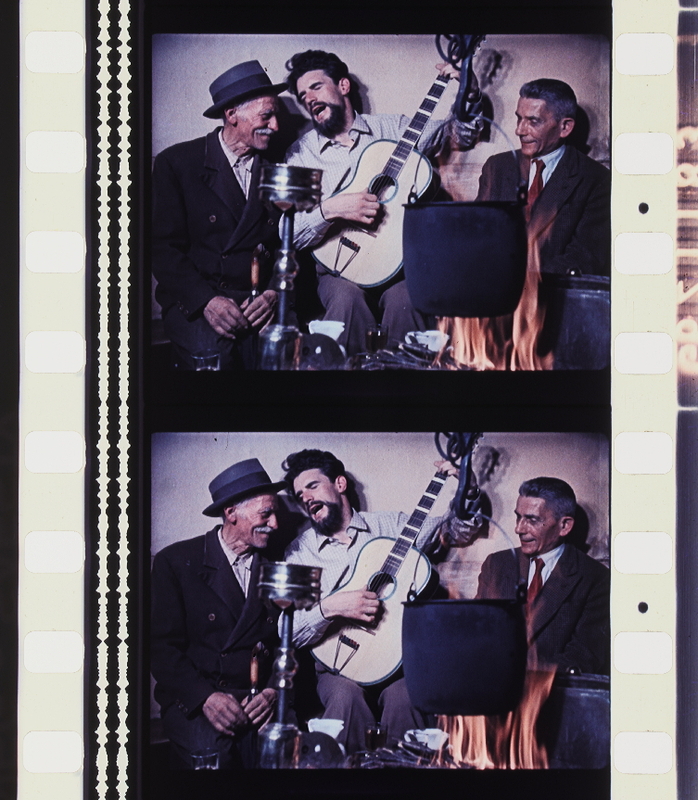 18 Il negativo Eastmancolor tipo 5247, introdotto nel 1951, dichiarava una sensibilità di 16 ASA. Il successivo tipo 5248 la elevava nel 1953 a 25 ASA. Nel 1959, il tipo 5250 raggiungeva i 50 ASA (cfr. “American Cinematographer” 1950; Foster 1953; Id. 1959). Si tratta di sensibilità ancora lontane da quelle garantite dal bianco e nero: già nel 1954, il negativo Kodak tri-X garantiva una sensibilità di 250 ASA. Introdotto in Italia in ritardo rispetto alle pellicole concorrenti, l’Eastmancolor fu impiegato per una quota variabile tra un terzo e un quinto della produzione italiana a colori tra il 1956 e il 1958, dopodiché divenne la pellicola a colori più utilizzata. 19 Il marchio Ferraniacolor restò in commercio come positivo e come pellicola amatoriale, mentre nel settore del bianco e nero la Ferrania continuò a produrre sia negativi che positivi. Vedendo minacciati i propri spazi di mercato, tuttavia, la società finì per fondersi con la statunitense 3M nel 1964. 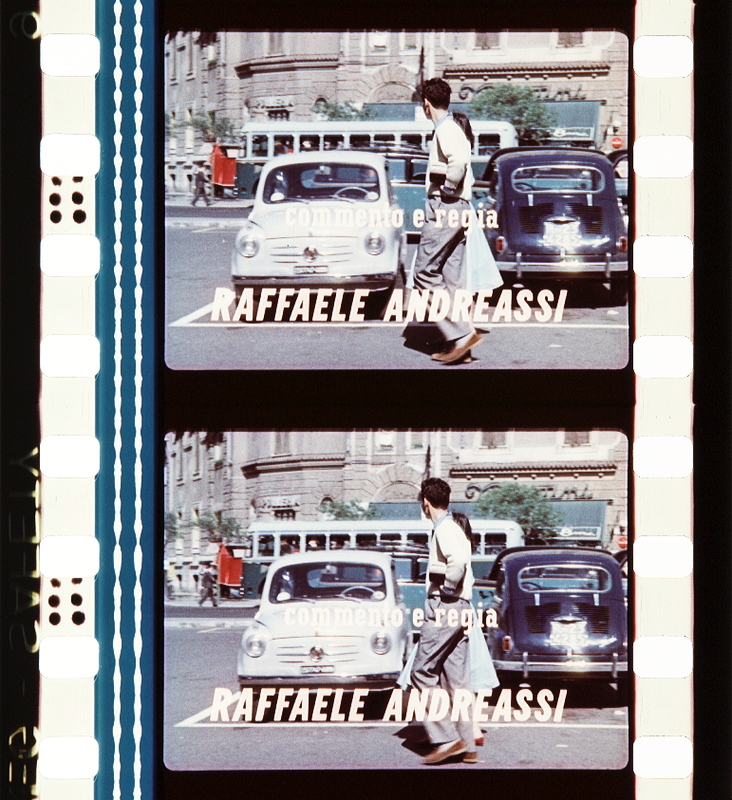 Analoga sorte toccò alla belga Gevaert, che nello stesso anno si associò alla Agfa tedesca. 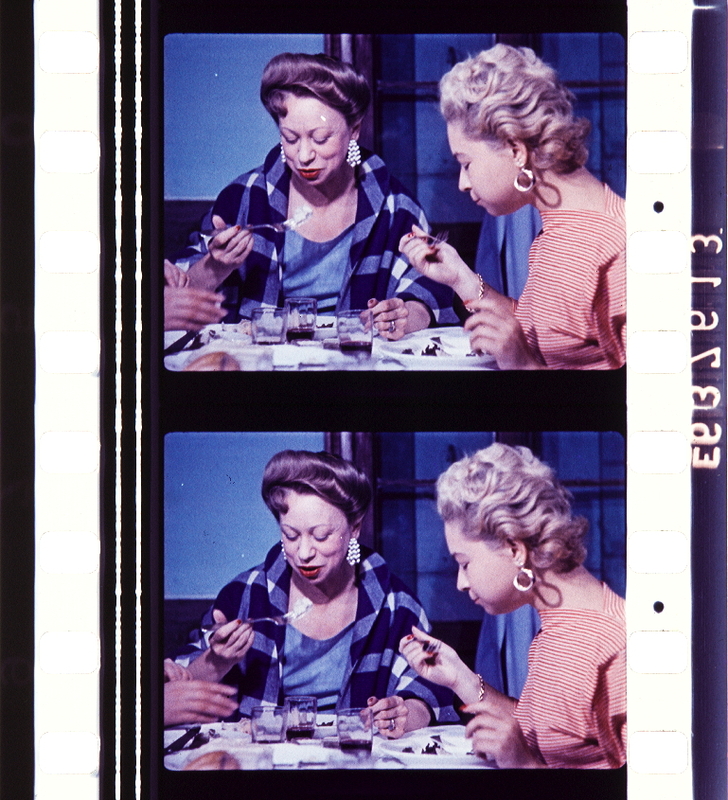 Foster, Frederick (1953), Eastman Negative-Positive Color Films for Motion Pictures, in “American Cinematographer“, XXXIV, n. 7, luglio 1953, p. 322. “La stagione del Ferraniacolor si era aperta nell’aprile del 1952 con l’uscita di Totò a colori, che concludeva una fase sperimentale durata alcuni anni. Il film presentava un assemblaggio dei migliori numeri che Totò aveva già presentato sui palcoscenici di rivista e di avanspettacolo, prima ancora che sullo schermo20. L’attore napoletano risultava un sicuro antidoto contro i rischi della nuova tecnologia, tanto che la sua presenza fu spesso sfruttata per diversi film girati con Ferraniacolor o Gevacolor. Nella prima ondata della produzione nazionale a colori, il filone dello spettacolo popolare fu sfruttato fino alle estreme possibilità; l’aggiunta del colore poteva rinverdire vecchi cicli produttivi, garantendo loro qualche anno di sopravvivenza. Le formule spettacolari cui si tendeva a riservare la maggiore attenzione erano quelle già portate al successo nel dopoguerra dalla produzione in bianco e nero: la farsa dialettale, il varietà, la rivista e l’avanspettacolo. Uno stuolo di attori e cantanti provenienti dalle tavole del palcoscenico si alternò sullo schermo, componendo un grande macrotesto di numeri e canzoni che trovò nel Ferraniacolor uno dei suoi elementi di riconoscibilità21. 20 Sul film, cfr. Deriu 1996; Caldiron, a cura di, 2003; Pierotti 2009, pp. 211–212. 21 Si trattò di un successo di corto respiro. Alla metà del decennio il genere sarebbe entrato in crisi, proseguendo il transito mediale verso la televisione (cfr. Valentini 2003). Caldiron, Orio, a cura di (2003), “Totò a colorì” di Steno. Il film, il personaggio, il mito, Edizioni interculturali-FICC, Roma. Deriu, Fabrizio (1996), Comico. 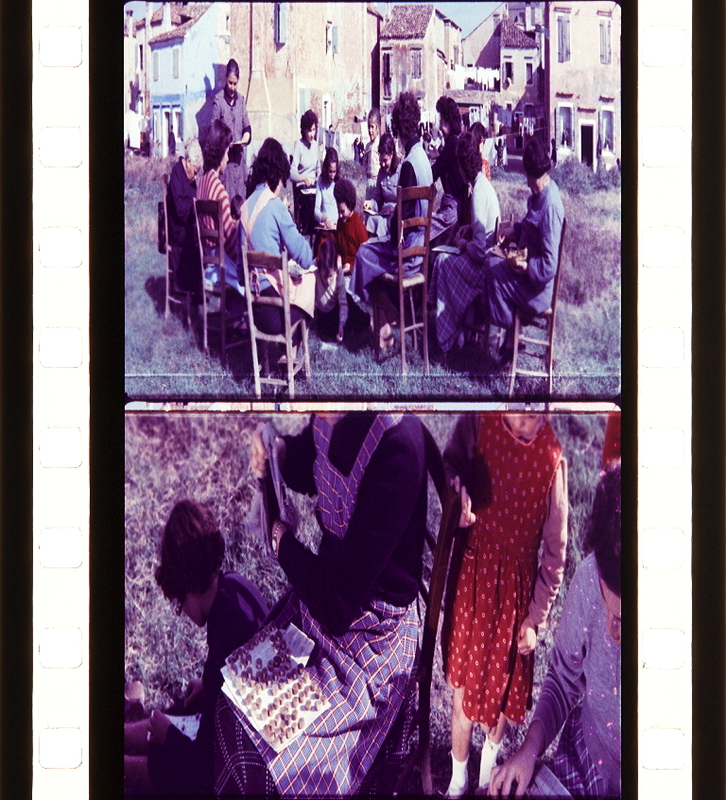 “Totò a colori”. 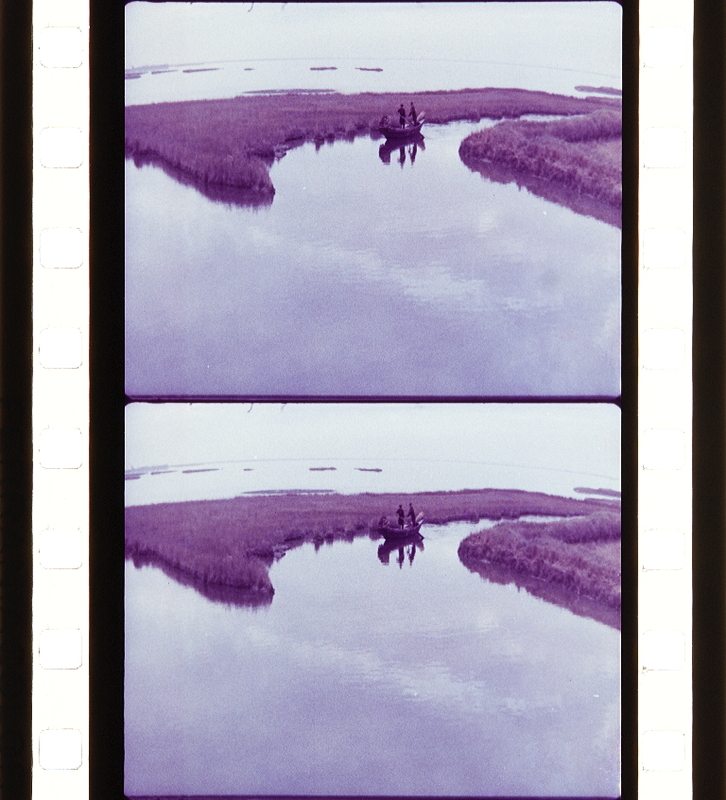 Una rivista cine matografica, in Quaresima, Leonardo a cura di (1996), Il cinema e le altre arti, Marsilio, Venezia, pp. 251–260. 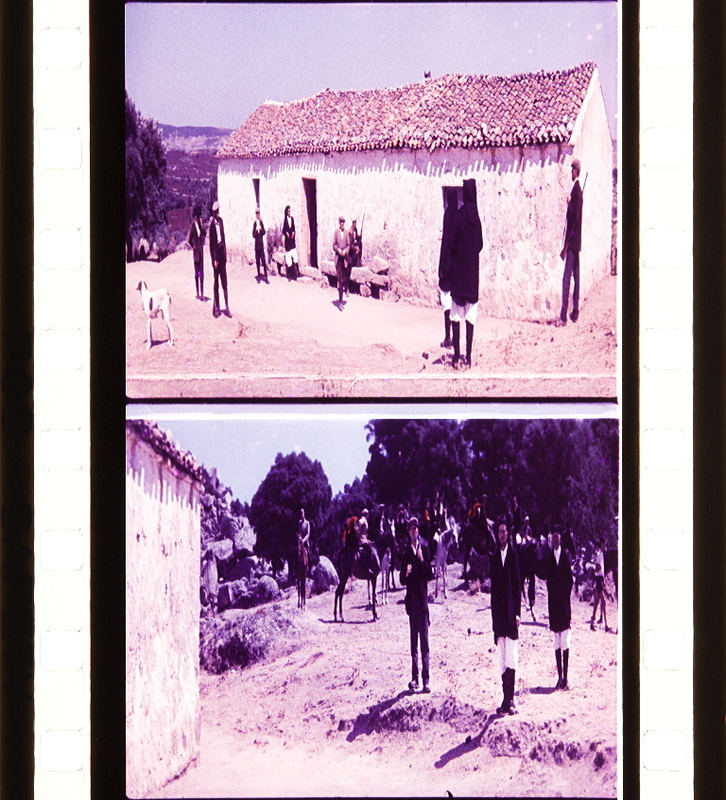 Pierotti, Federico (2009), Totò, Antonioni, and America: Trends in Italian Filmakers’ Adoption of Colour Technology, in Costa de Beauregard, Raphaëlle, a cura di (2009a), Cinéma et couleur. 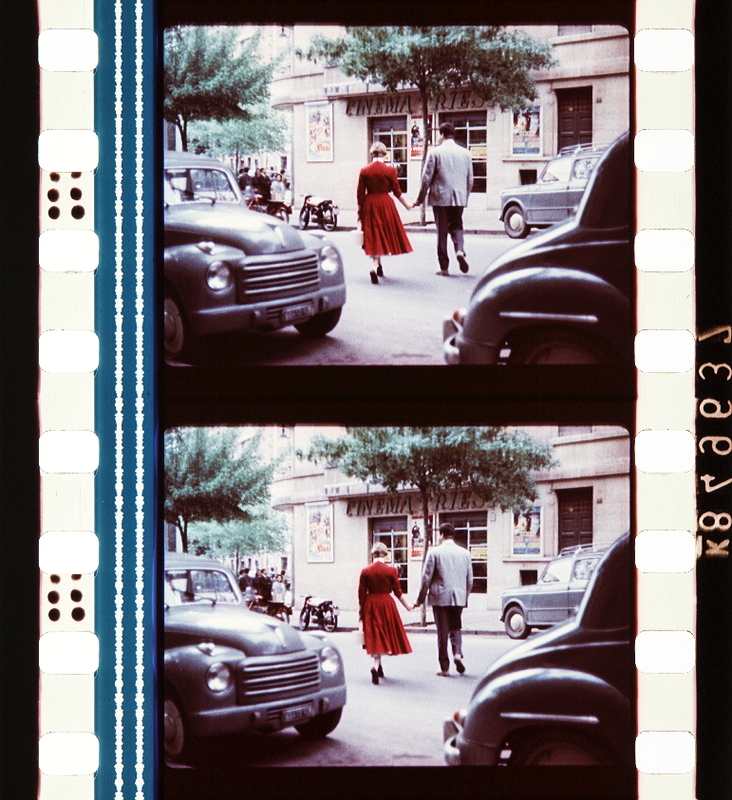 Film and Colour, Houdiard, Paris, pp. 207–218. “Dalla contaminazione tra i modelli del genere storico mitologico e la formula produttiva del basso costo si originò sul finire del decennio il nuovo filone autoctono del peplum, che per qualche anno avrebbe consentito di massimizzare i profitti minimizzando i costi. L’avanzata del peplum corrispondeva all’inesorabile arretramento del Ferraniacolor sul fronte dei film a modesto impianto produttivo e alla parallela avanzata dell’Eastmancolor. A partire dal prototipo Le fatiche di Ercole (Francisci, 1958) l’appeal spettacolare del colore si abbinava con la visione espansa dei sistemi a schermo largo di recente introduzione31. 31 Cfr. Vitella 2007, p. 104. 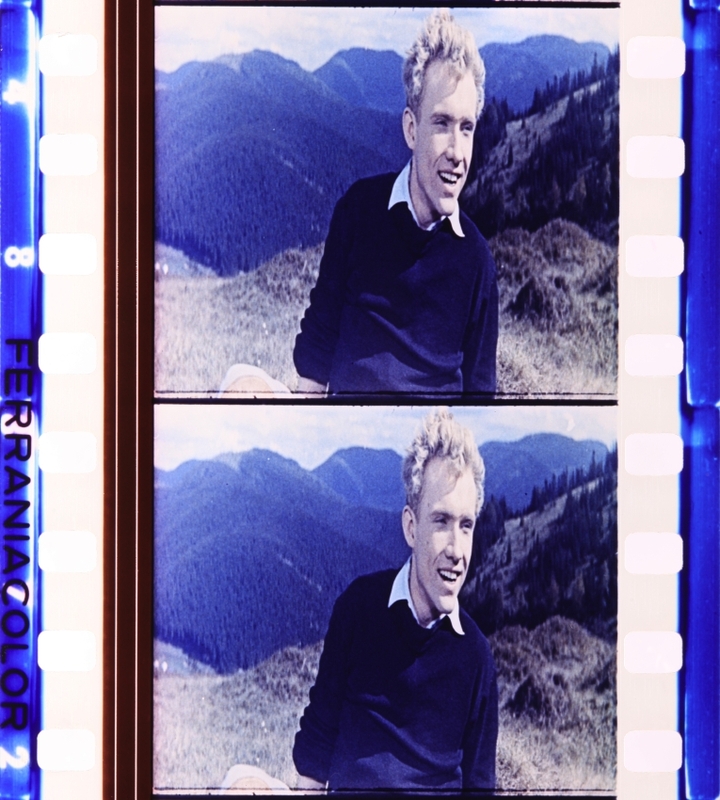 “Totò a colori è un film dimostrativo, un vero banco di prova del Ferraniacolor. Ogni scena sembra voler misurare la tenuta cromatica del supporto. Il principio dell’accumulo e della sovrabbondanza domina nettamente fin dalla sequenza iniziale. Dopo una veduta del paesino in cui il film è ambientato, l’azione si concentra all’interno della casa dove Totò vive alle spalle della sorella e del cognato Rocco. L’attore comico è introdotto da un dialogo tra questi due personaggi. La scena è ambientata in una camera da letto sovraccarica di colore, in cui il criterio di centratura viene sostituito da un disordinato effetto di variopinto. Le tinte della scenografia riecheggiano sistematicamente quelle dei costumi: il marrone della coperta si ripete sul pigiama a strisce di Rocco; il verde opaco del lenzuolo richiama il colore leggermente più scuro della parete, il carta da zucchero della porta è lo stesso del vestito della cameriera, che per parte sua rincara il dosaggio cromatico con un grembiule rosso. […] L’incipit predispone lo schema cromatico che accompagnerà lo spettatore per tutto il film: anche nelle sequenze successive, colori vivaci si dispongono in pari grado su costumi, arredi e scenografie, sono indossati da personaggi principali e secondari, sono presenti su primi piani e sfondi. I contrasti si dovevano creare, si diceva, con gli accostamenti cromatici, tra colori che riflettevano più luce e colori che ne riflettevano meno: era più facile a dirsi che a farsi, e ne uscivano fuori vere e proprie frittate di colori dove, in ogni inquadratura, c’era di tutto. L’eccitazione poi di girare il primo film a colori portava tutti, dallo scenografo al trovarobe, a colorare qualsiasi cosa di un colore brillante, dalle pareti delle stanze agli stipiti, ai mobili, ai capelli stessi degli attori22. Prescrizioni che in passato avevano generato ansia agli operatori statunitensi alle prese con il Technicolor, si rovesciavano ora in un euforico principio di anarchia formale. Gli spazi si susseguono indipendentemente l’uno dall’altro, così come gli episodi che compongono il film. Il colore diventa così un alleato di Totò: mentre l’uno asseconda un’ipotesi spaziale incoerente e trascina lo spettatore verso il godimento della dimensione ludica dell’immagine, l’altro decostruisce parallelamente le situazioni sociali attraverso la mimica e i continui giochi verbali. In alcune sequenze si può invece riscontrare il desiderio di dimostrare, entro i limiti del possibile, la versatilità tecnica del Ferraniacolor23. In quella ambientata nel teatrino, Totò, per sfuggire al cognato che ha intenzione di ucciderlo, si rifugia in un deposito di marionette. Sul piano luministico essa costituisce il tentativo di integrare una soluzione tipica del bianco e nero con alcune specifiche possibilità offerte dal colore: nel corridoio dietro le quinte da cui i tre fuggitivi cercano di scampare alla morte le lampade sono disposte in modo da descrivere aree di luce e di ombra delimitate da linee oblique. All’interno del deposito di marionette, caratterizzato da un livello d’illuminazione più ridotto, una luce intermittente di colore verde, assieme al fascio obliquo che colpisce una maschera rossa in primo piano, conferisce maggiore dinamismo e profondità all’inquadratura: il contrasto tra caldo e freddo rafforza quello tra primo piano e sfondo. 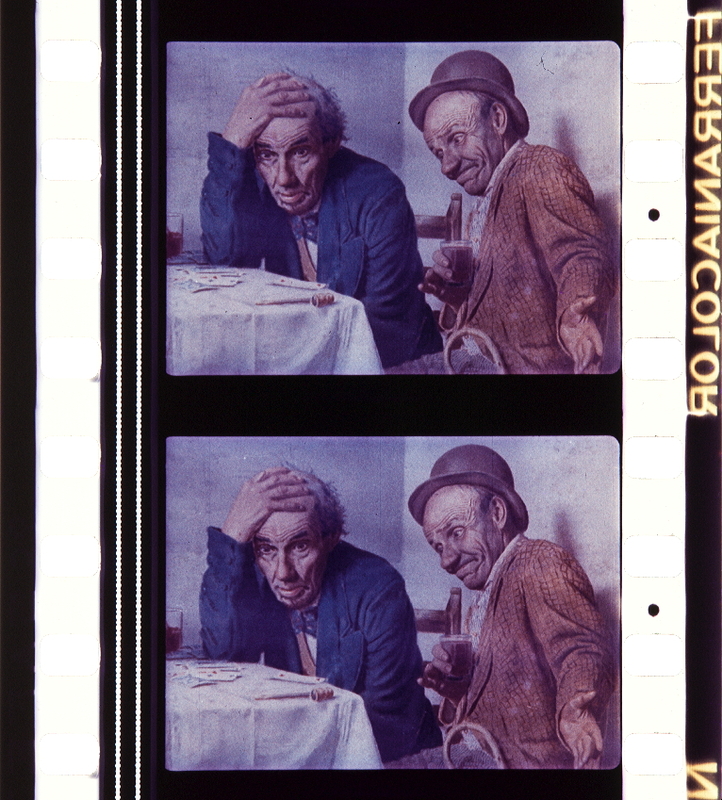 Al di là di questi casi particolari, la struttura paratattica di Totò a colori e degli altri film in Ferraniacolor fondati sul modello della rivista fa del colore un mezzo che eccede sistematicamente schemi narrativi molto deboli ed esigui. Sottratto a ogni richiesta di significato, il colore è lasciato libero di espandersi in ogni punto dello schermo, come a dimostrare semplicemente il fatto di esserci, di voler appagare la sete di novità dello spettatore. 22 Finestauri 1975a, p. 74. 23 Cfr. Delli Colli 2003, p. 90. 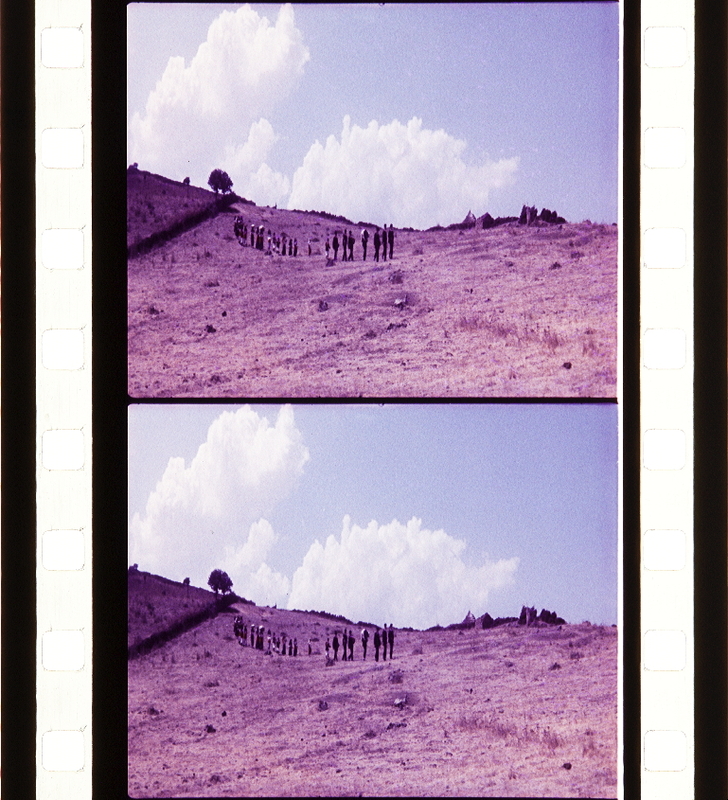 Delli Colli, Tonino (2003), Al colore non ci credeva nessuno, in Caldiron, a cura di, 2003, pp. 89–90. 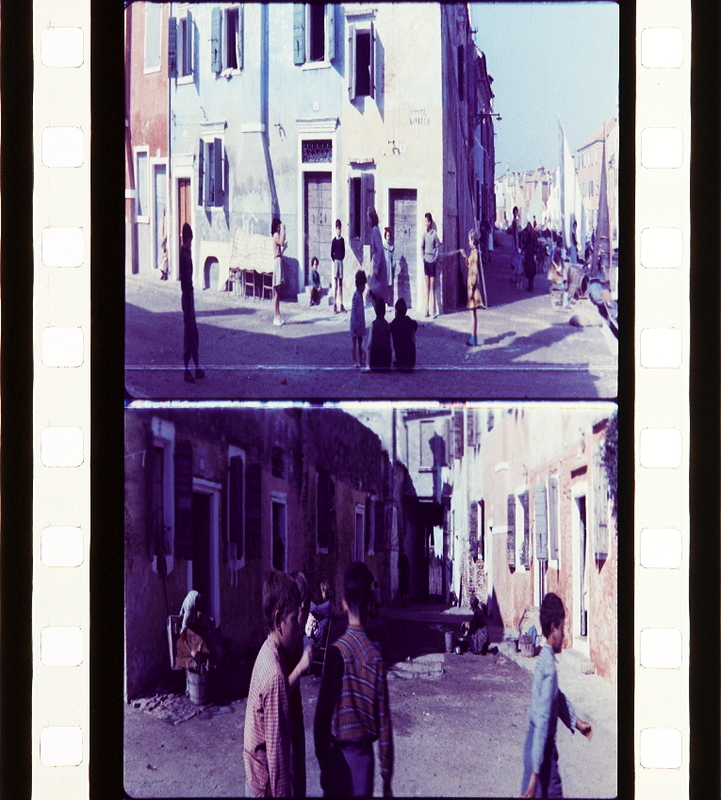 Finestauri, Elio (1975a), L’era del colore si aprì con Totò , in Id. 1975b, pp. 73–75. 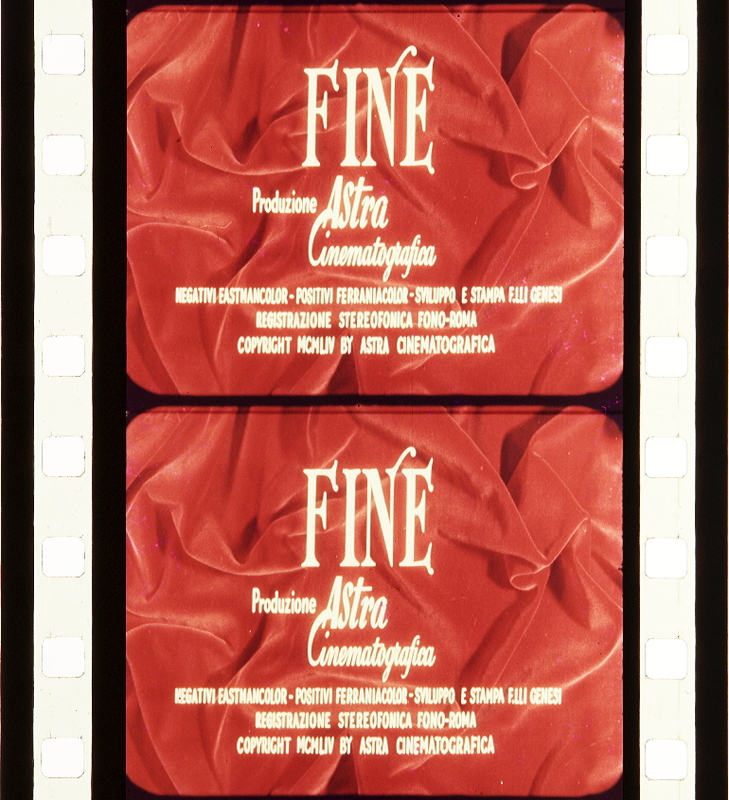 “II film si apre a strategie rappresentative che enfatizzano la presenza del colore, organizzandolo in pattern visivi più ordinati26. Nella sequenza eminentemente spettacolare della marcia trionfale, ad esempio, la disposizione delle tinte nella monumentale scenografia risponde a un criterio di equilibrio compositivo tra toni caldi e freddi: il blu appare nel cielo, sulle basi e i capitelli delle colonne e in altri elementi periferici, mentre una gamma formata da oro, arancio e rosa è utilizzata per i fusti delle colonne del tempio, gli obelischi e il palazzo reale; macchie di rosso e di verde sono poi introdotte nelle immagini della folla festante con palme e fiori. La sequenza successiva, dedicata al balletto che precede l’ingresso trionfale di Radamès di fronte al re, mostra una ancora più esplicita tensione verso la costruzione di simmetrie visive e cromatiche. Le tinte della scenografia e dei costumi si armonizzano attorno alla centralità del blu: presente nel cielo artificiale visibile oltre le colonne, un colore simile si ripete sui costumi dei danzatori, sugli ornamenti dell’abito regale e sulle decorazioni del pavimento. Nel momento clou del balletto, un gruppo di danzatori introduce un enorme velo blu che finisce per occupare un’ampia porzione della scena. L’operatore Piero Portalupi illuminò queste sequenze con una luce bianca, omogenea e uniforme, evitando sistematicamente le zone in ombra, così come prescriveva la Ferrania. Il posizionamento delle tinte sul set organizzava visivamente la scena, bilanciando la piattezza e la monotonia della luce diffusa. L’uscita da questo schema si verifica soltanto in presenza di momenti d’intensificazione drammatica o psicologica. In una delle prime sequenze del film, ad esempio, le devastazioni dell’esercito di Amonasro sono visualizzate sotto una luce rossa, con una forte teatralizzazione dell’effetto. 26 Per approfondimenti, cfr. anche Pierotti 2007. Biasin, Enrico; Bursi, Giulio; Quaresima, Leonardo, a cura di (2007), Lo stile cinematografico. Film Style, Forum, Udine. 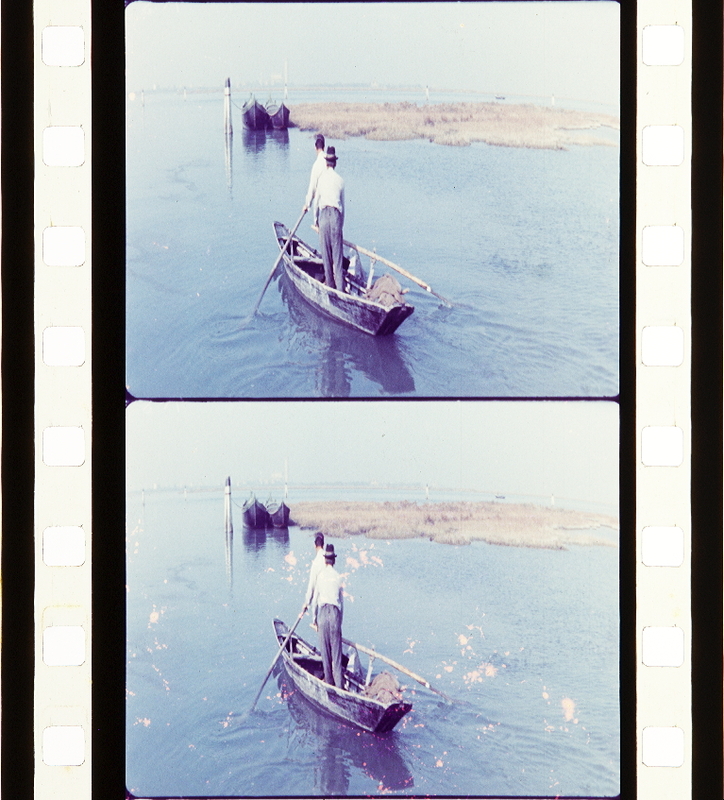 J’ai toujours été frappé que deux des plus grands films en couleur des années cinquante aient été le résultat de la rencontre avec l’Inde des deux cinéastes européens qui ont le plus compté pour la Nouvelle Vague: Le Fleuve en 1951 pour Jean Renoir et India en 1957 pour Roberto Rossellini. Comme si la rencontre avec le motif de l’Inde – au sens que Cézanne donne à l’idée de rencontre –, avait été, pour les deux cinéastes, une rencontre décisive avec la couleur. C’est la nouveauté du motif, son étrangeté pour des non-Indiens qui a provoqué chez les deux hommes, en même temps qu’un choc sensoriel qui les sortait de leurs habitudes perceptives, un désir de couleur. 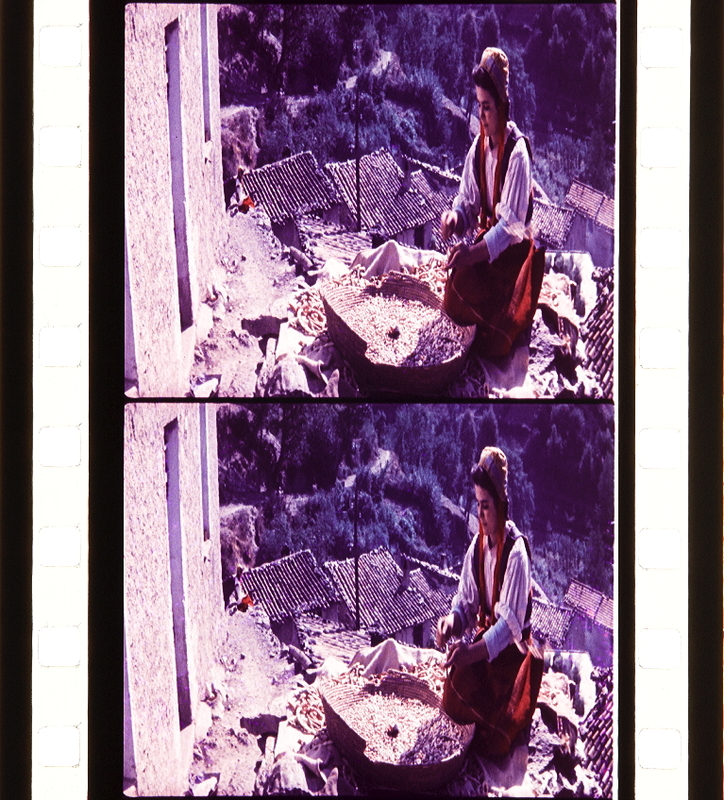 Six ans après, Rossellini fait la même expérience de la rencontre avec les couleurs naturelles de l’Inde qui sont, bien évidemment, les mêmes que chez Renoir. Et lui aussi, passant peut-être par la même intuition quant à la force esthétique et émotionnelle du surgissement du rouge dans cet univers aux couleurs naturellement épurées, va inscrire dans son film un parcours du rouge, qui n’est pas le même que celui de Renoir mais traverse une autre barrière, laquelle structure India, entre espèce animale et espèce humaine, dont l’hypothèse rossellinienne est qu’elle prend une toute autre signification en Inde qu’en Occident, et qu’il y a là une voie royale pour comprendre l’altérité indienne. Ce sera le grand sujet d’India. Le rouge n’apparaît que très erratiquement dans la première moitié du film (dans le spectacle de marionnettes, lors de l’arrivée d’un bus dans un village de la jungle) dominée par une bichromie de verts boueux et de bruns. C’est dans les deux derniers épisodes, celui du vieil homme et du tigre et celui du singe savant, que le rouge va devenir à le fois un élément du scénario et envahir progressivement l’écran. Tout commence avec les taches de sang du tigre blessé sur le sol monochrome qui font redouter le pire au vieil homme: que l’animal s’attaque à l’homme. C’est ce qui va arriver la nuit suivante au cours de laquelle un homme du village – dont on retrouvera le vêtement ensanglanté (du rouge sur du blanc dans la nuit noire) – se fait dévorer par l’animal blessé. Pour sauver le tigre de la battue qui s’organise, le vieil homme met le feu à la jungle et Rossellini filme les flammes en avant-plan, comme un envahissement progressif du vert de la végétation par le rouge du feu. Au début de l’épisode suivant, et final, un montreur de singe meurt en traversant un désert monochrome, aux portes de la ville où se prépare une fête. Son singe, habillé d’un gilet rouge, son “costume de scène”, arrive seul dans la foule et la première image, visuellement inoubliable, que Rossellini nous montrera de cette fête est celle d’une petite fille qui danse, “exhibée” à l’entrée d’un chapiteau: elle est vêtue d’une robe dont le rouge éclate devant un calicot du plus pur jaune. 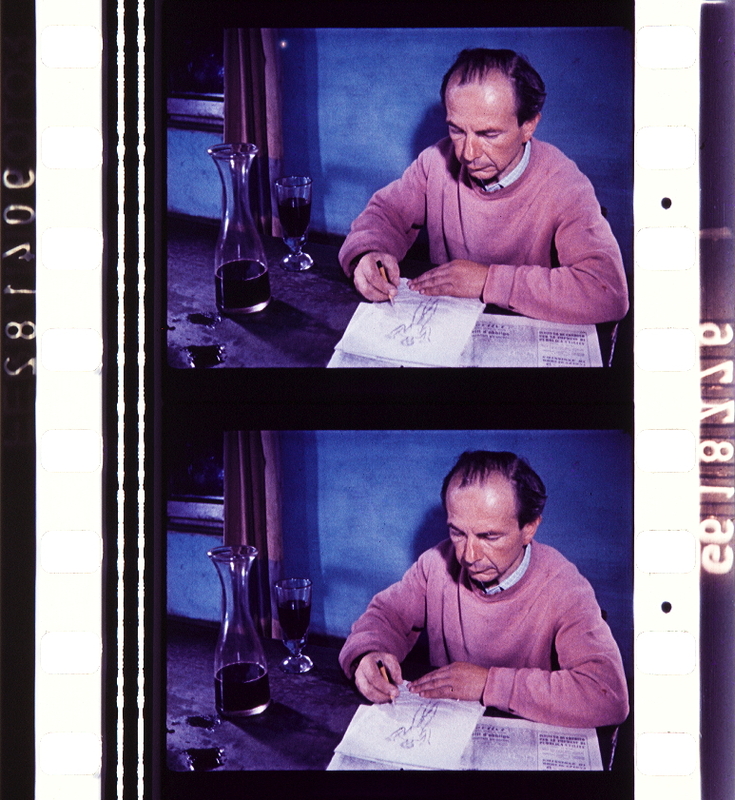 Rossellini la désigne visuellement en une fraction de seconde comme le symétrique exact, dans l’espèce humaine, du singe savant au gilet rouge. Suit une séquence documentaire: une course de boeufs caparaçonnés d’amples tissus jaunes et rouges que Rossellini, lui non plus, n’a pas eu à inventer. Finalement le singe dressé, qui a fait entre temps la rencontre d’un singe sauvage, se retrouve dans un cirque où il regarde de son regard de singe un de ses congénères voltiger en l’air devant la toile du chapiteau dont le rouge vif envahit la totalité de l’écran. Pour quelqu’un qui s’est toujours tenu farouchement éloigné du péché d’esthétisme, il y a dans la dernière demi-heure de ce film un traitement plus que vigoureux, et magistral, de la couleur, entre réel (documentaire) et structure fictionnelle, qui est tout sauf plaqué et décoratif, très proche des conceptions de son prédécesseur en Inde, Jean Renoir. 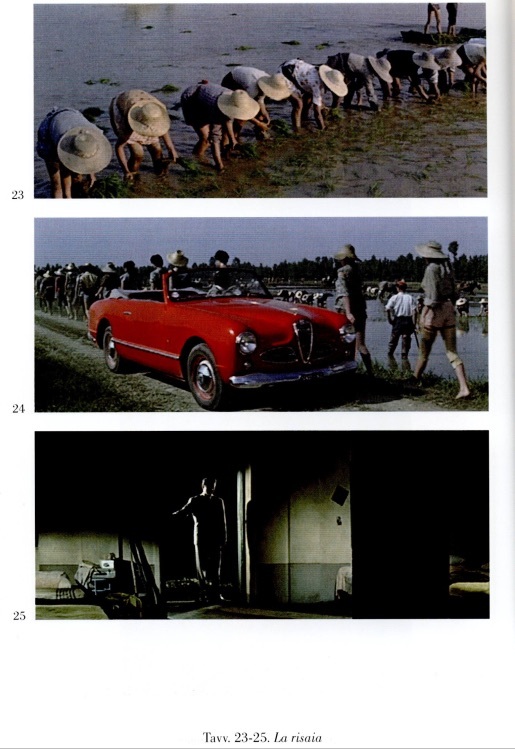 20 Cahiers du Cinéma, n° 96, juin 1959. “Tra le industrie di materiale sensibile che nell’immediato dopoguerra lanciano sul mercato i nuovi supporti a colori monopack c’è anche la Ferrania, un’azienda con la sede legale a Milano e gli stabilimenti situati nella frazione omonima della Val Bormida in Liguria8. 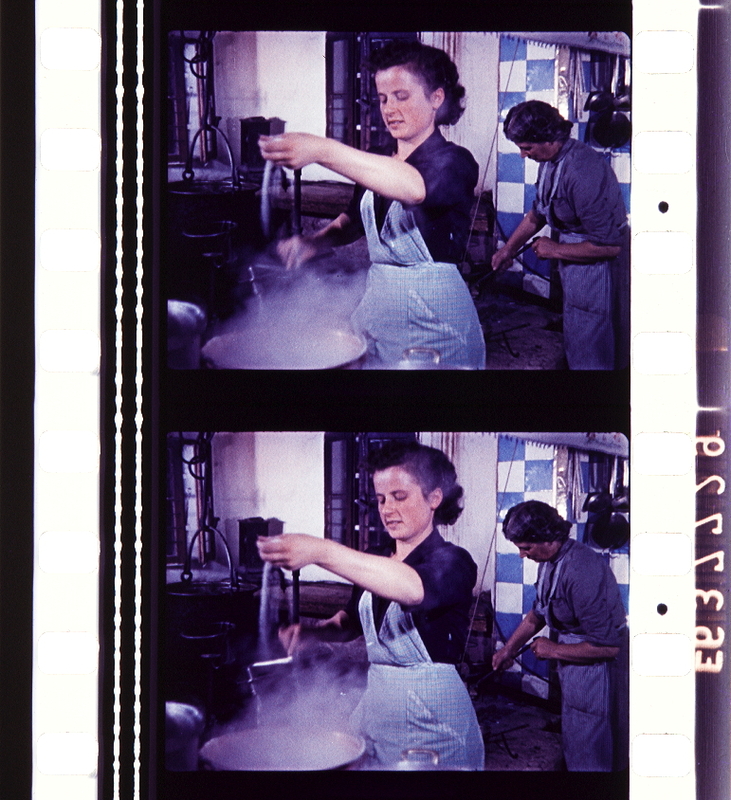 Attiva fin dagli anni Venti nella produzione di pellicole fotografiche e cinematografiche, l’allora Cappelli & Ferrania, di proprietà della IFI (Istituto finanziario italiano), inizia a interessarsi ai supporti a colori nel 1935, con il deposito di due brevetti realizzati con l’ingegnere Guido Jellinek, l’uno riguardante un sistema additivo a reticolo, l’altro una pellicola sottrattiva monopack9. 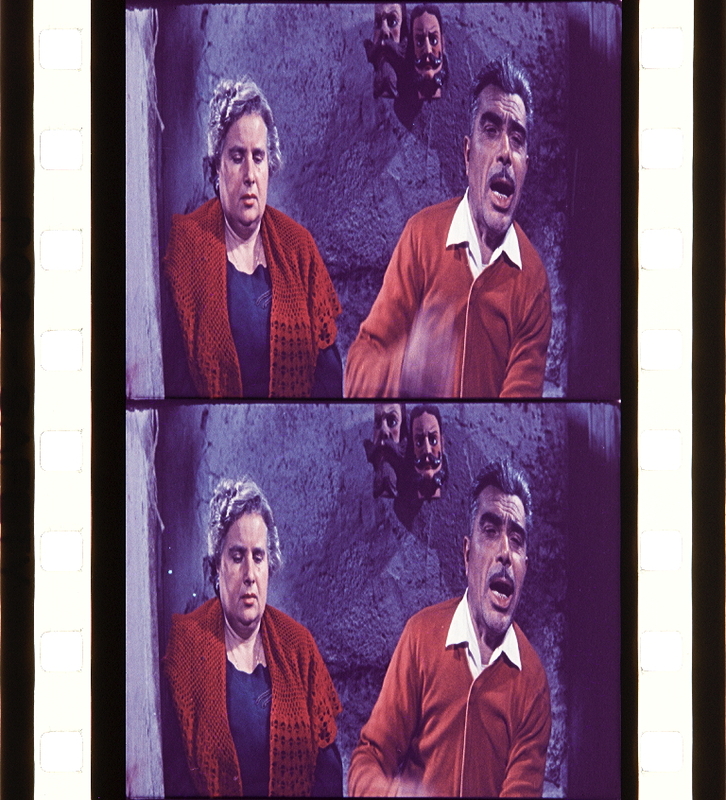 Il secondo brevetto prevede, allo stesso modo dei coevi Kodachrome e Agfacolor, la possibilità di sovrapporre su un unico supporto tre strati di emulsione, ciascuno dei quali sensibile a uno dei colori primari (fig. 48). Verso quest’ultima direzione si indirizzano gli sforzi dell’azienda, che in tempo di guerra cerca anche di carpire i segreti del sistema tedesco, raccogliendo informazioni ufficiose sulla validità dei brevetti della IG Farbenindustrie (fig. 49)10. Una primissima versione del Ferraniacolor è utilizzata nel 1943 per il cortometraggio Impressioni estive (Gianni Vernuccio), ma l’impossibilità di ottenere più di una copia ne impedisce lo sfruttamento commerciale. L’unico positivo possibile infatti si ottiene per trasformazione del negativo, in seguito al processo di inversione. Soltanto dopo la guerra, quando i brevetti della società tedesca risultano decaduti (fig. 50)11, la Ferrania mette a punto una pellicola capace di soddisfare i requisiti essenziali per il lancio sul mercato. Per carpire segreti industriali a lungo cercati, pare che l’azienda milanese abbia anche messo in contatto alcuni suoi tecnici con un gruppo di ex ricercatori della IG Farbenindustrie rifugiatisi in Svizzera. 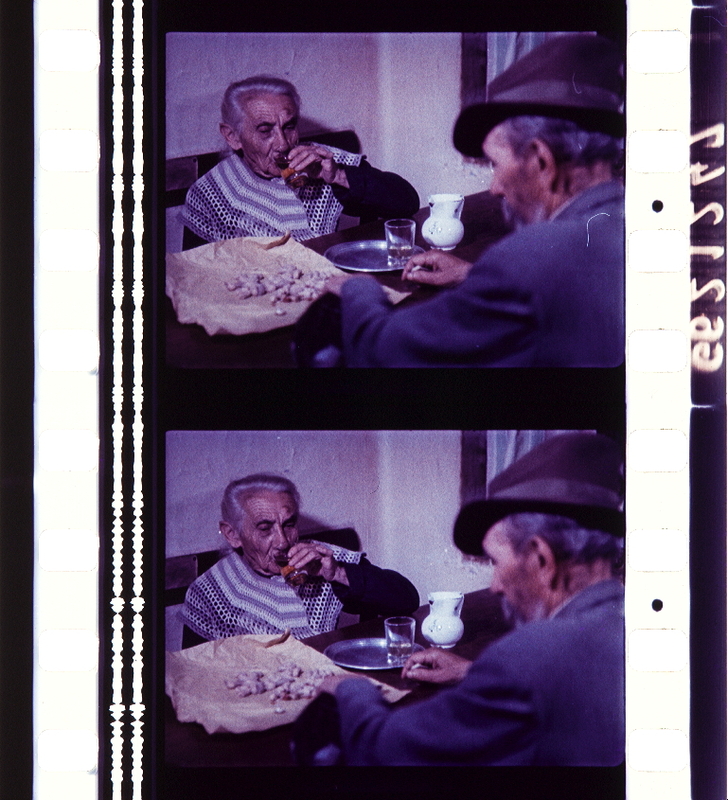 Dopo la messa a punto di un negativo fotografico a colori (1947), gli stabilimenti della Ferrania lanciano il nuovo supporto cinematografico, che viene presentato alla Mostra di Venezia del 1949 con il cortometraggio Ceramiche umbre (Glauco Pellegrini) e viene accolto con favore dai tecnici e dai critici12. 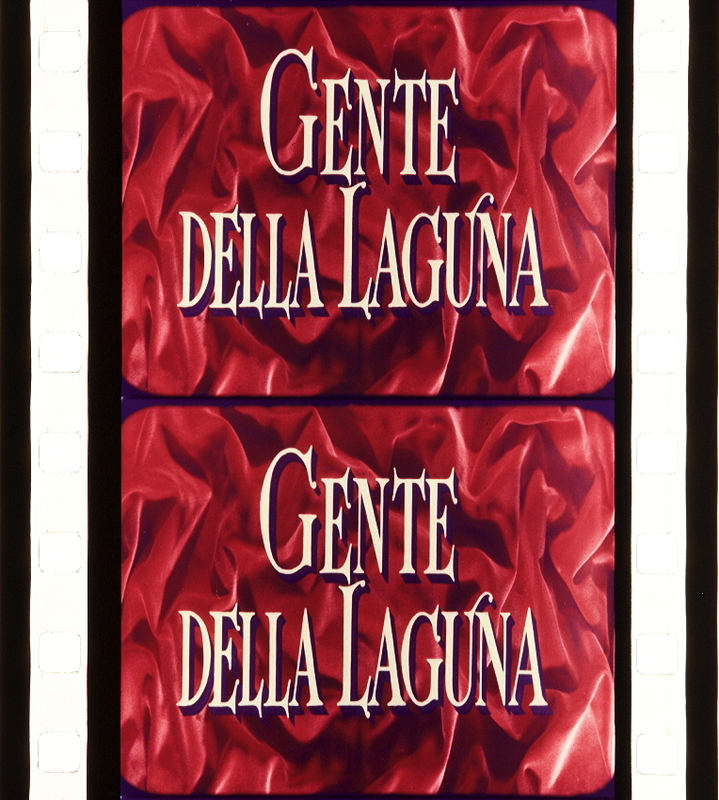 La pellicola conquisterà significative quote di mercato negli anni Cinquanta, ottenendo anche una buona reputazione, grazie ad alcuni significativi film del periodo come Giorni d’amore (Giuseppe De Santis, 1954) e La spiaggia (Alberto Lattuada, 1954)13. La commercializzazione del negativo e del positivo Ferraniacolor permette alla produzione nazionale di avviare la transizione al colore, realizzando con qualche anno di ritardo quello che era stato il desiderio principale al tempo dell’autarchia. Il pacchetto delle pellicole Ferraniacolor rimane in commercio per tutti gli anni Cinquanta senza sostanziali modifiche, conservando il primato nazionale fino al 1958, benché i problemi provocati dalla bassa sensibilità delle emulsioni e da una resa cromatica non sempre impeccabile rendano il materiale sensibile meno competitivo rispetto ai nuovi prodotti lanciati dalla Eastman nel 1953 e nel 1959. Incapace di tenere il passo della società statunitense, sul finire del decennio la Ferrania cessa la produzione del negativo a colori, mantenendo in vita soltanto la filiera produttiva dei positivi, rima­ sta attiva fino al 1982, e quella della pellicola amatoriale. Nel giro di pochi anni, l’intero assetto societario è radicalmente modificato, con l’uscita di scena di Franco Marmont (1961), che aveva assunto la presidenza della società nel 1925, e nel 1964, con la cessione del pacchetto azionario acquisito trenta anni prima dalla IFI, finanziaria della famiglia Agnelli, all’azienda statunitense 3M (Minnesota Mining and Manufacturing) che imprime un nuovo corso alla gestione del gruppo industriale14. 8 Per la storia della Ferrania cfr. A. Salmoiraghi, Ferrania. Dalle antiche ferriere all’industria dell’immagine. Storia, economia e sviluppo di una realtà industriale, Savona, Sabatelli, 1992; G. Bezzola, Dalla Ferrania alla 3M. 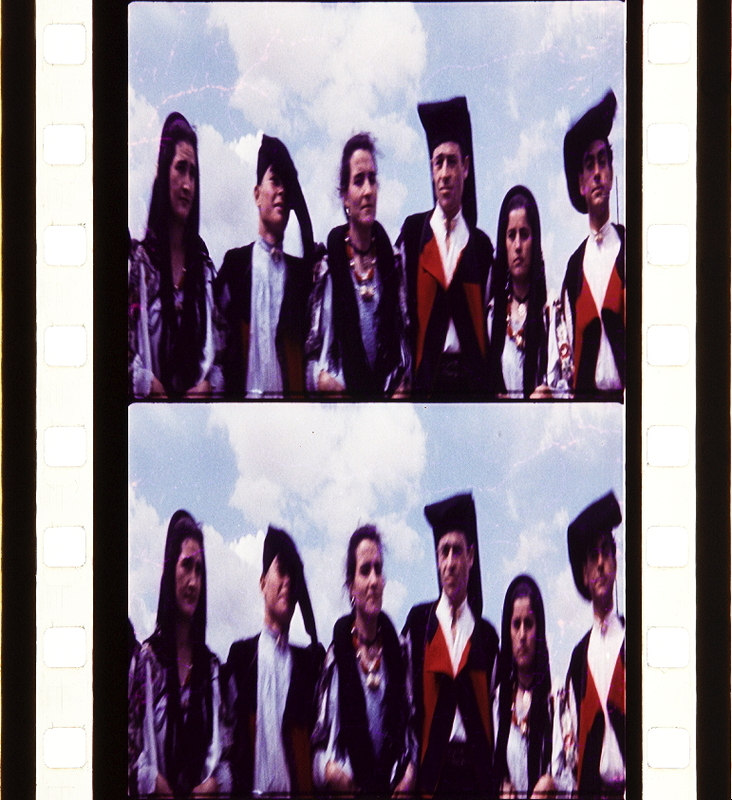 Una storia di cultura umana e imprenditoriale, Milano, 3M Italia, 1994; L. Giuliani, “Ferrania, prove tecniche di colore”, in L. De Giusti (a cura di), Storia del cinema italiano, voi. 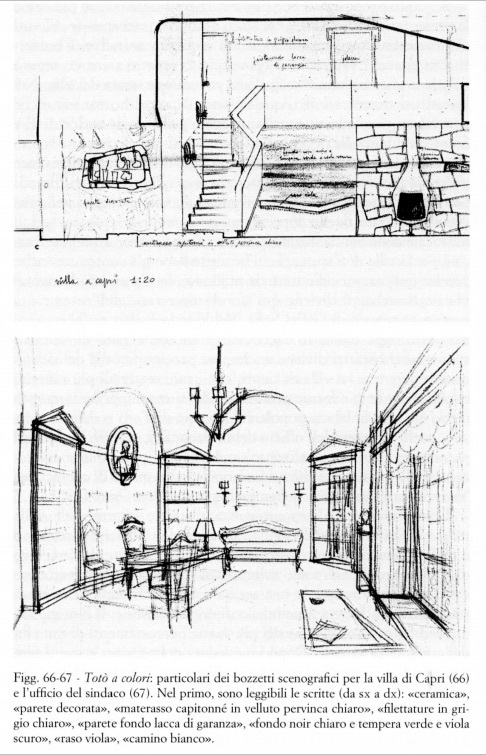 Vili, Venezia-Roma, Marsilio-Edizioni di Bianco & Nero, 2003, pp. 218–219; Id., “Una volta si scriveva così: ferrania”, in V. Buccheri, L. Malavasi (a cura di), La materia dei sogni. 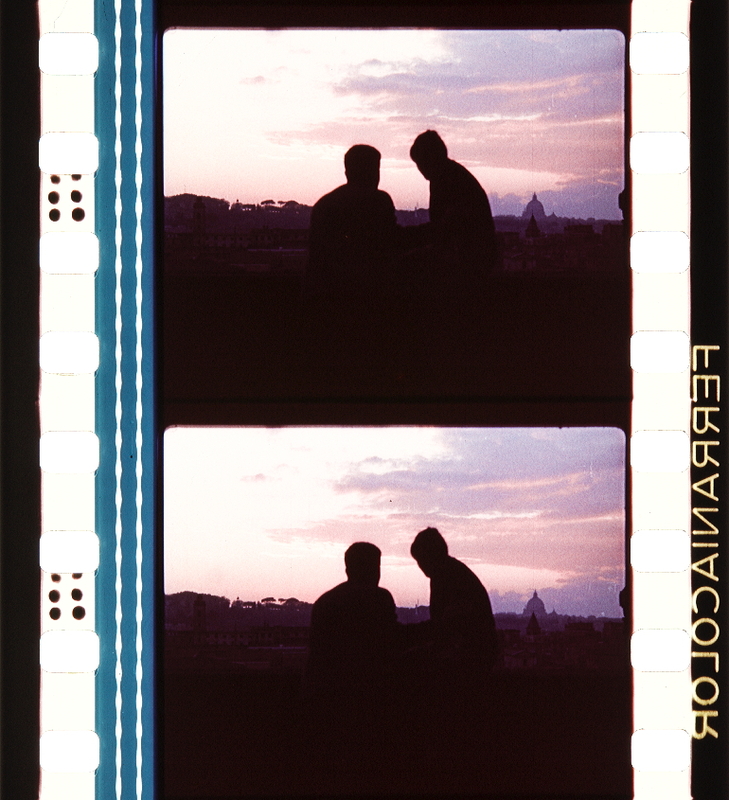 L’impresa cinematografica in Italia, Roma, Carocci, 2006, pp. 60–80. 9 Cfr. brevetti n. 340202/1936; n. 349508/1937, cit. nell’Appendice 1 del cap. precedente. 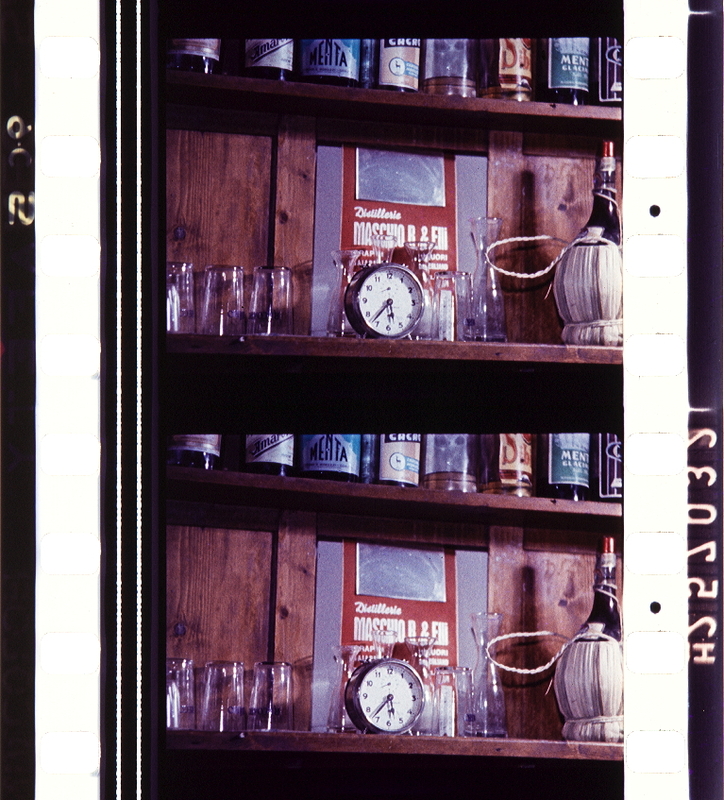 A cui va aggiunto il brevetto n. 337386/1936, limitato alla fotografia (Processo difabbricazione, per viafotografica, di reticolatipolicromiperfotografia a colori). La vendita del pacchetto azionario della Cappelli & Ferrania dalla IRI alla IFI ha luogo nel 1935; il nome “Ferrania”, che resterà invariato fino al 1964, è assunto nel 1938. 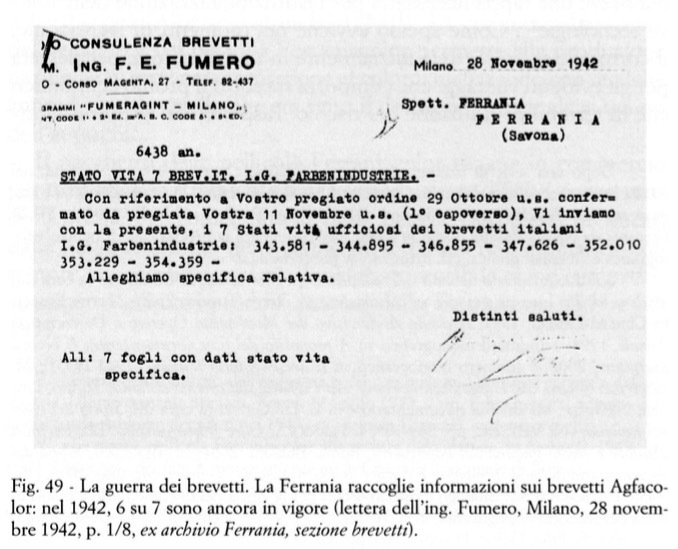 10 Come si evince da un documento del 28 novembre 1942, nel quale la società riceve informazioni sullo stato vita “ufficioso” di sette brevetti depositati dalla IG Farbenindustrie, produttrice dell’Agfacolor. Sei brevetti su sette risultano ancora “in vigore”. Lettera dell’ing. F.E. Fumerò a Ferrania (Savona), Milano, 28 novembre 1942, 8 pp. 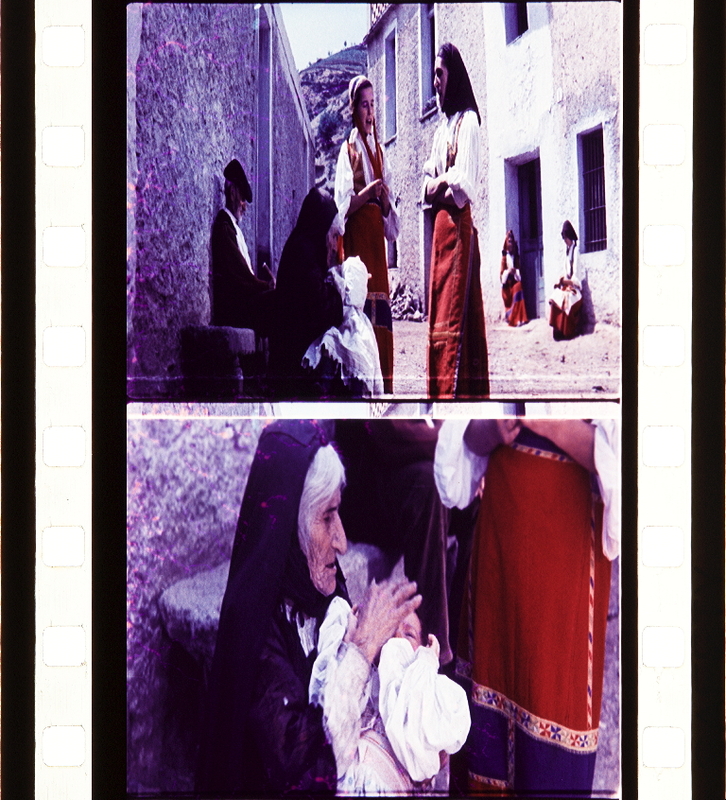 (ex archivio Ferrania, sezione brevetti). 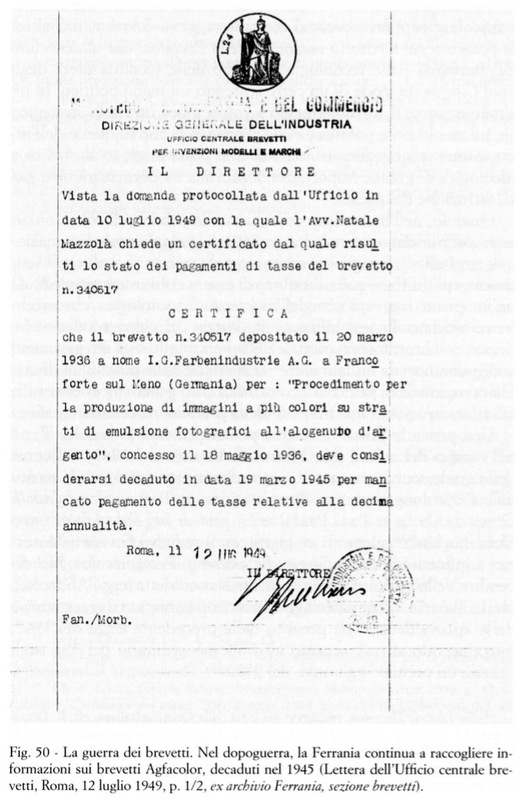 11 Lettera del Ministero dell’industria e del commercio, Direzione generale dell’industria, Ufficio centrale brevetti, Roma, 12 luglio 1949, 2 pp. I due brevetti oggetto della domanda risultano decaduti nel 1945 (ex archivio Ferrania, sezione brevetti). 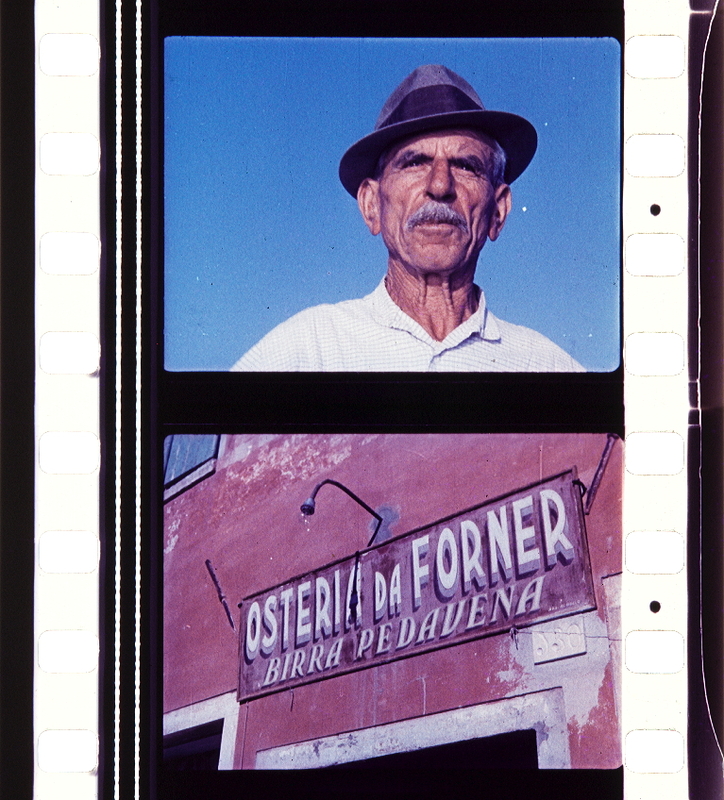 12 “La nuova pellicola Ferraniacolor alla mostra del cinema”, in Ferrania, 1949, 11, p. 21. Una copia del film è conservata presso la Cineteca Nazionale di Roma. 13 Cfr. T. Sanguineti (a cura di), La spiaggia, Recco (GE), Le Mani, 2001; G. Spagnoletti, M. Grossi (a cura di), Giorni d’amore. 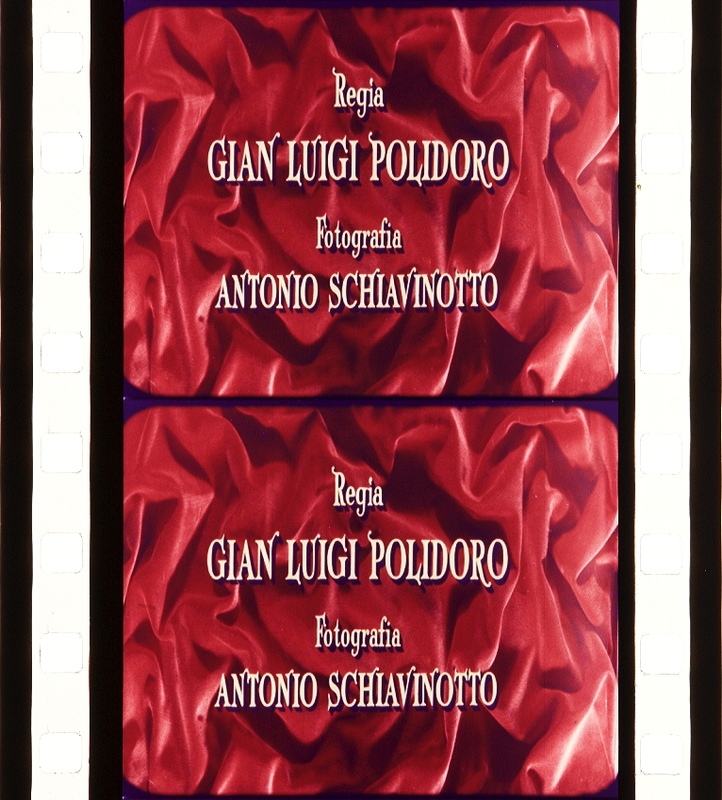 Un film di Giuseppe De Santis tra impegno e commedia, Torino, Lindau, 2004. “Nel corso del 1951, infatti, la crescente disponibilità sul mercato della pellicola nazionale produce un considerevole mutamento di scenario. Le ricerche per la produzione industriale del negativo e del positivo si protraggono dal 1949 fino ai primi mesi del 1951. 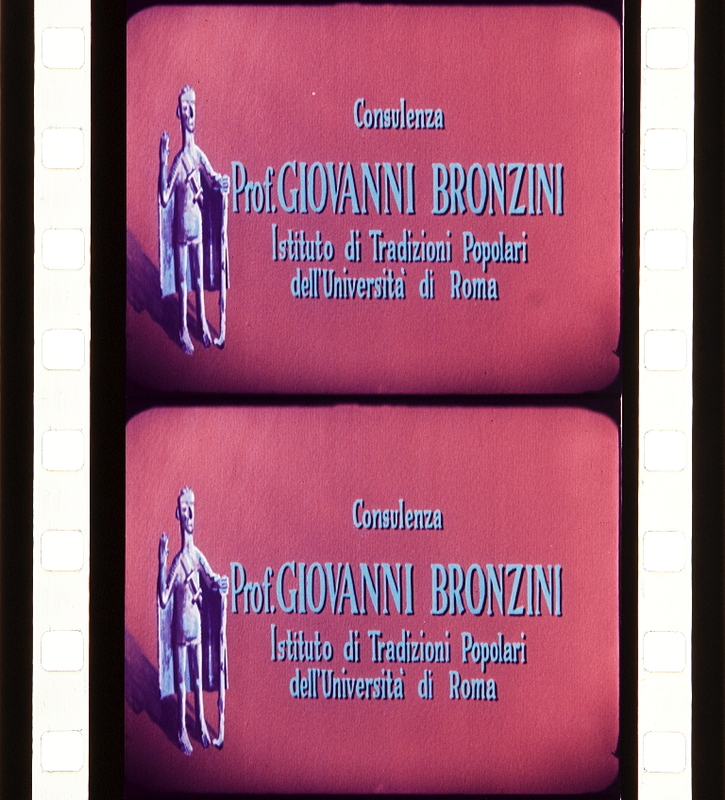 Dopo Ceramiche umbre, il materiale viene testato e verificato con i cortometraggi I colori della natura (1950), Arcobaleno romano (Domenico Paolella, 1950), Siena città del Palio (Glauco Pellegrini, 1951) e con il primo numero speciale a colori di La settimana Incom (La tragedia dell’Etna, n. 544 del 18 gennaio 1951)32. In questo primo periodo il Ferraniacolor viene commercializzato con un unico negativo bilanciato per luce diurna (tipo 51) e un unico positivo (tipo V). Negli anni seguenti l’offerta si arricchisce con un Controtipo integrale (1952) e un nuovo negativo bilanciato per riprese in interni (tipo 82, 1953) con relativo positivo (tipo N). La prima versione del negativo ha una sensibilità dichiarata molto bassa (8 ASA, elevati a 20 ASA nel tipo 82) e una latitudine di posa ridottissima; richiede, se utilizzato in interni, un impiego massiccio di lampade tarate sulla composizione spettrale della luce diurna, per evitare la comparsa di alterazioni cromatiche, dominanti o veli. Il prezzo resta molto alto, soprattutto se comparato a quello del bianco e nero: 320 vs 80 lire al metro per il negativo e 120 vs 40 l/m per il positivo all’inizio del 195233. 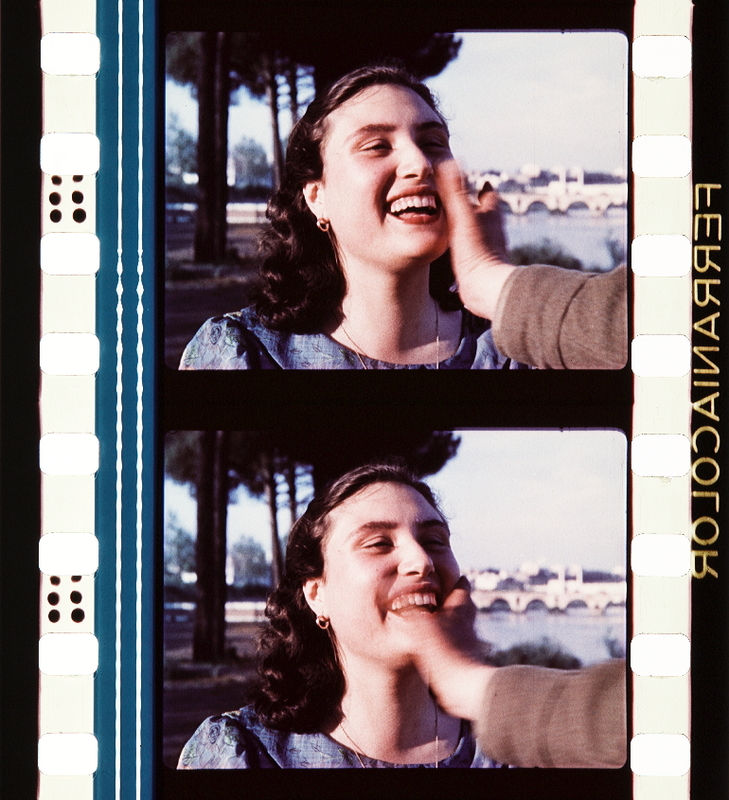 Confrontando i sistemi impiegati dai cortometraggi a colori premiati nel 1950 e nel 1951, si può notare una tendenza in atto verso l’affermazione del Ferraniacolor, che negli anni successivi estenderà il suo bacino di mercato al settore del lungometraggio. La commercializzazione del Ferraniacolor ha ricadute a catena sull’intero comparto produttivo. I laboratori di sviluppo e stampa sfruttano l’opportunità offerta dai cortometraggi per aprire i propri reparti alle lavorazioni a colori. A svolgere il ruolo di apripista per il supporto nazionale è la SPES di Ettore Catalucci; mentre Ceramiche umbre era stato sviluppato in via sperimentale nei laboratori della Ferrania, sotto la sorveglianza del direttore tecnico Giulio Monteleoni, il successivo I colori della natura viene affidato al laboratorio romano. In questi primi mesi la SPES opera in condizioni di monopolio e nel gennaio del 1952 vanta sulla stampa specializzata almeno ventisei lavorazioni in Ferraniacolor già completate o ancora in corso, compresi i lungometraggi Una lettera dall’Africa (Leonardo Bonzi, 1951) e Totò a colori (Steno, 1952), entrati in lavorazione rispettivamente nel marzo e nel dicembre del 195134. 32 Cfr. 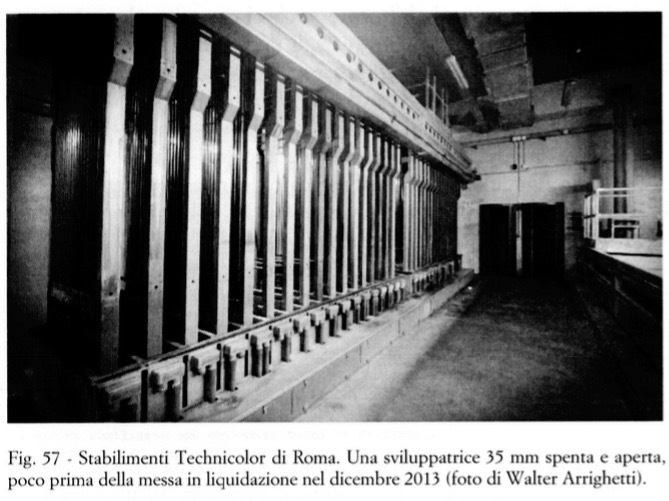 : A. Ornano, “Il documentario Incom Arcobaleno romano su pellicola Ferraniacolor”, in Ferrania, 1950, 10, p. 23; “Il Ferraniacolor trionfa ancora!”, in Ferrania, 1951, 7, p. 29; “Il Ferraniacolor al Festival di Cannes”, in Ferrania, 1951, 5, p. 28; “Il Ferraniacolor trionfa anche a Cannes!”, in Ferrania, 1951, 6, p. 33. Per un approfondimento su La settimana Incom, cfr. A. Sainati (a cura di), La settimana Incom. 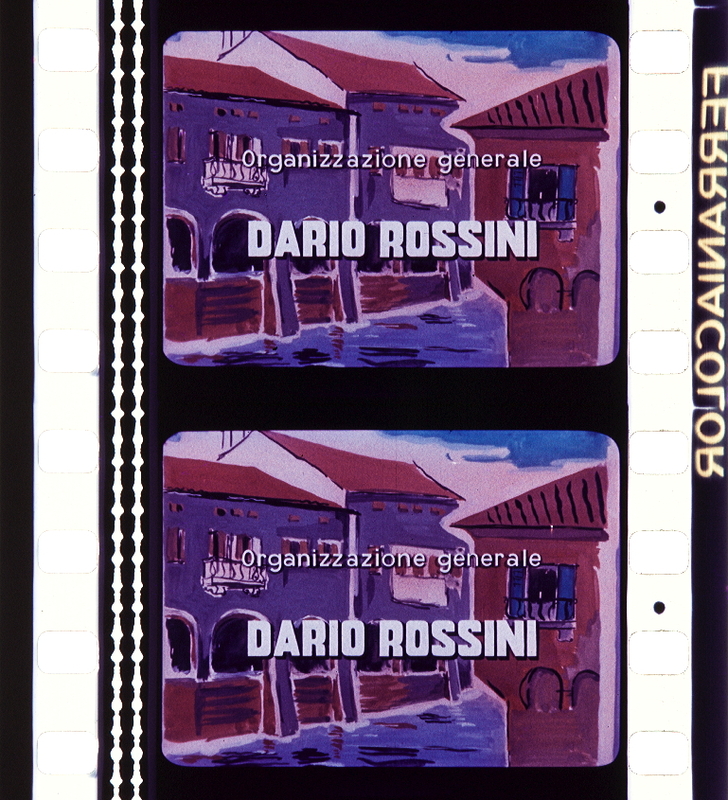 Cinegiornali e informazione negli anni Cinquanta, Torino, Lindau, 2001 e Id., “La cronaca filmata”, in L. De Giusti (a cura di), Storia del cinema italiano, vol. 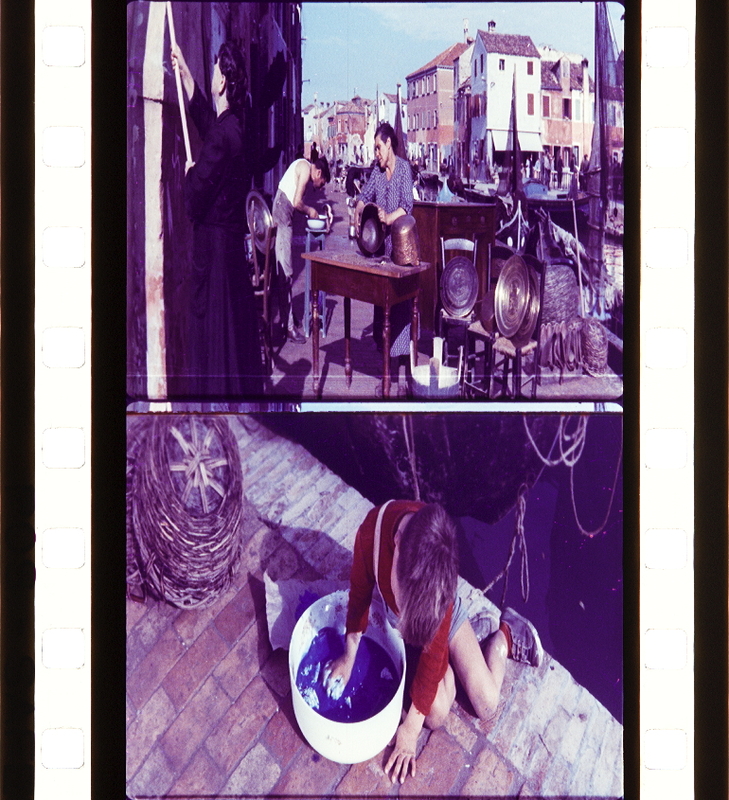 VIII, Venezia-Roma, Marsilio-Edizioni di Bianco & Nero, 2003, pp. 93–102. 33 Cfr. : “Il prezzo della Ferraniacolor”, in Araldo dello Spettacolo, 1952, 54, p. 4. “Infine, la diffusione del Ferraniacolor e degli altri supporti omologhi consente a un numero sempre crescente di operatori italiani di confrontarsi con la nuova tecnologia monopack. Appena costituitasi in associazione di categoria, all’inizio del 1951, l’AIC (Associazione italiana cineoperatori) organizza un corso di aggiornamento in collaborazione con il CSC, dando la parola agli addetti ai lavori che in tempi più o meno recenti hanno lavorato con il colore: da Alessandro Blasetti, regista del già citato Caccia alla volpe (1937) in Technicolor, a Domenico Paolella, autore dei primi cinegiornali Incom a colori, fino agli operatori Piero Portalupi, Mario Damicelli, Giovanni Ventimiglia e ai tecnici di laboratorio Giulio Monteleoni e Mario Calzini37. All’organizzazione del corso collaborano le aziende interessate a lanciare sul mercato le loro nuove tecnologie per la ripresa a colori, la Ferrania, la Gevaert e la Mole Richardson, produttrice di mezzi illuminotecnici. 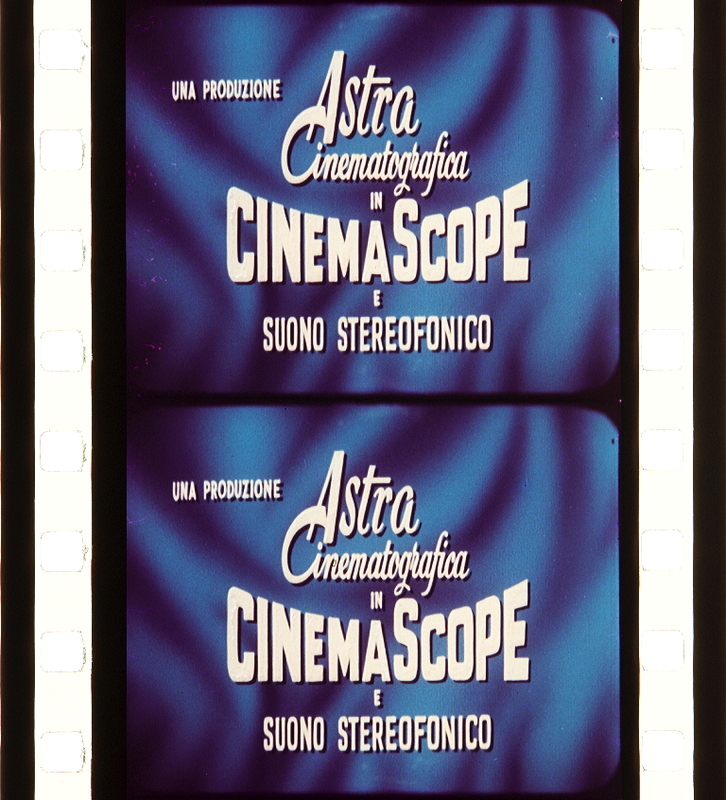 Dopo un lungo apprendistato conclusosi verso la fine del 1951, quando nell’aprile del 1952 esce sugli schermi Totò a colori, la transizione tecnologica del cortometraggio nazionale può dirsi compiuta. Nel 1952 sono ammessi ai premi quasi cento corti a colori, circa un terzo del totale, preludio del sorpasso avvenuto l’anno seguente. La forma breve ha svolto la sua funzione preparatoria per l’industria tecnica nazionale, consentendo di superare le arretratezze denunciate solo pochi mesi prima e dissodando il terreno per il settore più costoso e impegnativo del lungometraggio. “In effetti, dal punto di vista tecnologico, è solo nel corso del 1953, con l’introduzione del negativo bilanciato per gli interni, che l’uso del Ferraniacolor può essere esteso a tutti i tipi di ripresa, permettendo di limitare (ma non troppo) il numero di lampade ad arco. 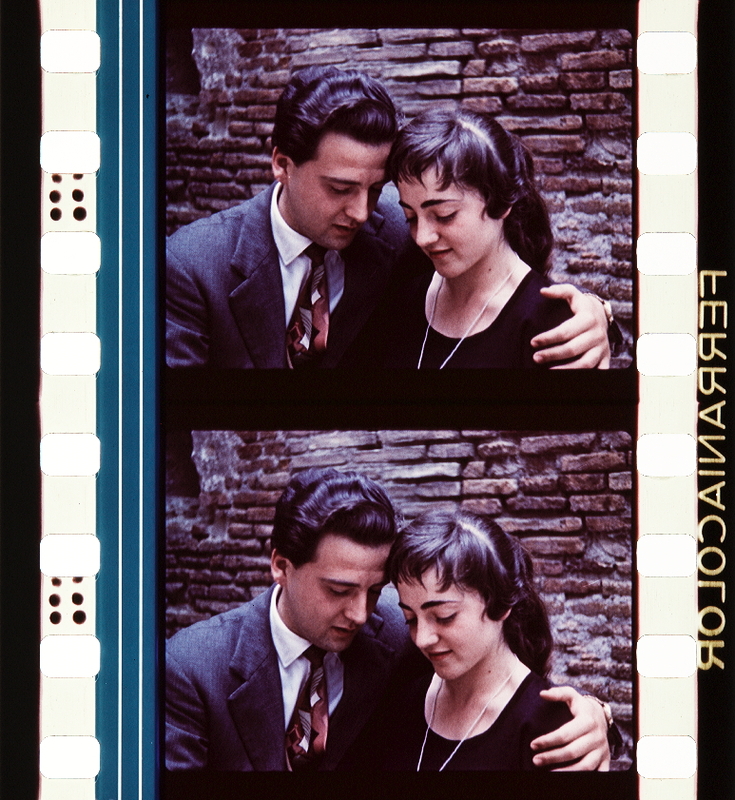 Nell’annata seguente (1953-1954) dei quaranta film realizzati a colori ben trentasei sono in Ferraniacolor e la pellicola inizia anche a ricevere i primi apprezzamenti internazionali grazie a Magia verde (Gian Gaspare Napolitano, 1953) e La grande speranza (Duilio Coletti, 1954) premiati rispettivamente a Cannes e a Berlino. 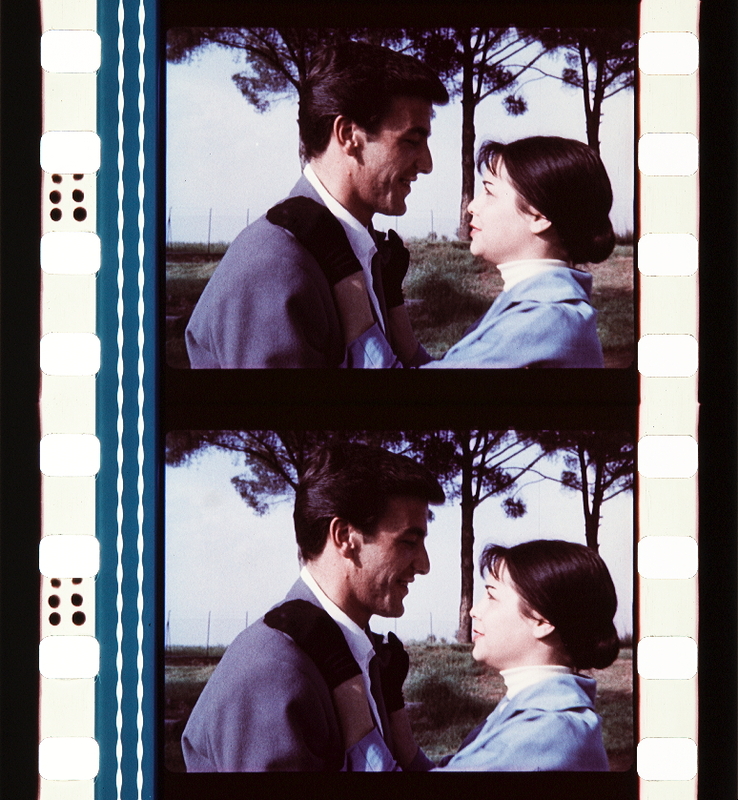 La congiuntura resta favorevole anche nella stagione successiva (1954-1955), durante la quale sono realizzati ventotto film in Ferraniacolor su quarantasette a colori. La crisi produttiva resa più urgente dai ritardi nell’approvazione della nuova legge sul cinema, responsabile di un forte calo di film nel 1956, finisce per pesare relativamente sulla produzione a colori, che, pur contraendosi numericamente, si mantiene intorno a un terzo rispetto alle pellicole complessivamente realizzate. 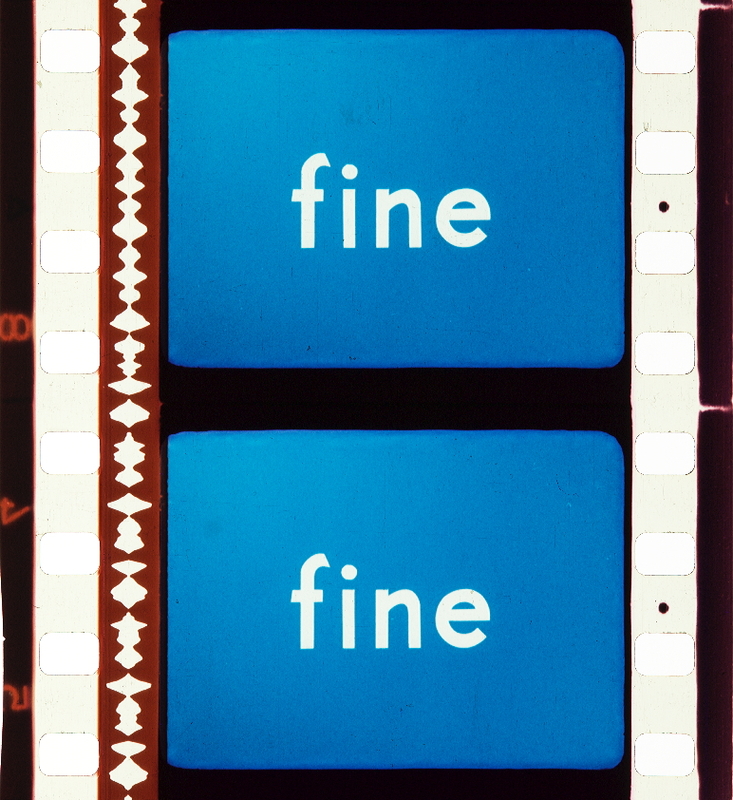 Come negli Stati Uniti, la principale ragione della tenuta del colore in questi anni è collegata alla strategia di differenziazione promossa con la diffusione dello wide screen40. A partire dalla presentazione, nell’aprile del 1955, di Giove in doppiopetto (Daniele D’Anza, 1955), l’alleanza tra colore e nuovi formati si rivela fin da subito molto stretta anche in Italia: la produzione con i diversi sistemi a schermo largo assorbe oltre il settanta per cento dei film a colori realizzati nei cinque anni successivi. Il Ferraniacolor resta la pellicola a colori più utilizzata ancora per alcuni anni, grazie al suo impiego soprattutto nei documentari e nei generi di profondità. Nella stagione 1958-1959, che prelude al ritiro dal mercato del negativo, perde il suo primato a vantaggio dell’Eastmancolor. Arrivato sul mercato italiano in ritardo rispetto alla Ferrania e alla Gevaert, il supporto statunitense è introdotto nel 1954 con alcune produzioni di genere41. 40 Sull’introduzione dei sistemi a schermo largo in Italia, cfr. F. Vitella, “Una questione di standard. Il passaggio dall’Academy ai formati panoramici”, in L. Mazzei, F. Vitella, Geometrie dello sguardo. Contributi allo studio deiformati del cinema italiano, Roma, Carocci, 2007, pp. 65–130. 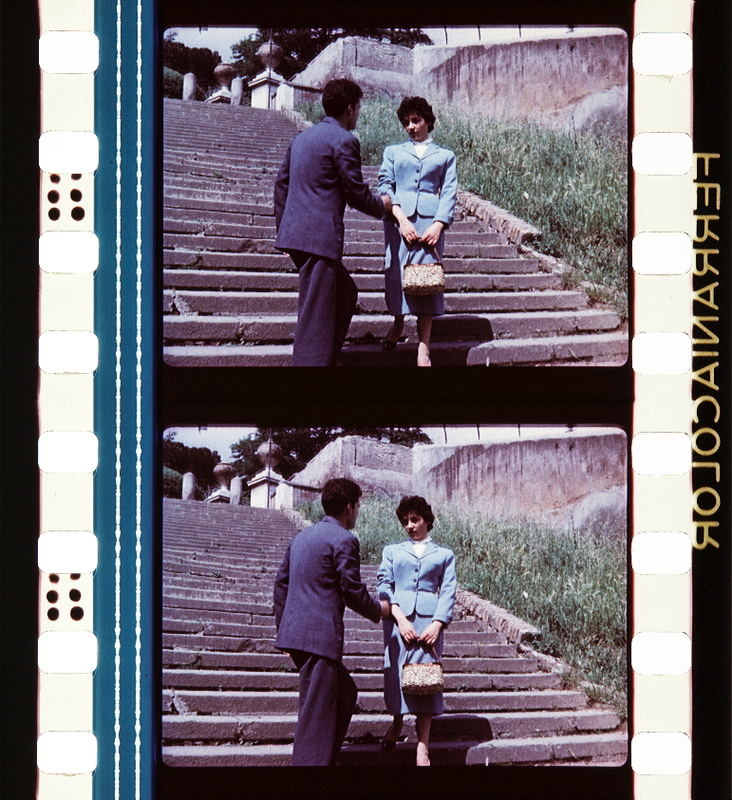 “Le rivendicazioni non sono del tutto infondate, dato che gli stabilimenti della Technicolor italiana si dedicheranno soprattutto, nei suoi primi anni di vita, alle edizioni italiane di film esteri, che altrimenti avrebbero potuto essere stampate dagli altri laboratori. Con Vacanze d’inverno (Camillo Mastrocinque, 1959) la filiale dell’azienda statunitense inizia a stampare anche film nazionali. Negli anni Sessanta, grazie anche alla diffusione del Techniscope (1963), l’impatto dei laboratori di via Tiburtina sarà sempre più significativo e modificherà gli equilibri del settore (fig. 57)47. 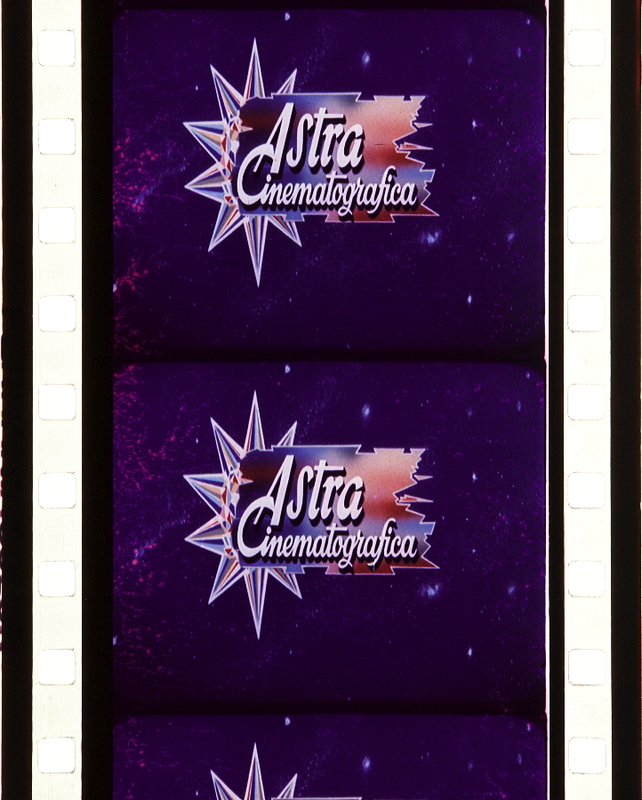 Assediata dalla concorrenza straniera, nel breve volgere di un decennio la Ferrania perde il ruolo di forza trainante dell’industria cinematografica e, probabilmente anche in seguito al venir meno dell’appoggio politico ottenuto negli anni della legge Andreotti, assume un ruolo marginale sullo scacchiere nazionale. Nel mutato atteggiamento verso la Ferrania che prende corpo a partire dalla seconda metà degli anni Cinquanta si coglie un cambio di strategia. La costruzione dello stabilimento Technicolor – che pare sia stata favorita da Agnelli – l’uscita dal mercato del negativo Ferraniacolor e la vendita del pacchetto azionario della IFI alla 3M sono sintomi chiari di un progressivo disinteresse della politica e del capitalismo nazionale nei confronti del settore della pellicola, che evidentemente non viene ritenuto strategico o che comunque si preferisce porre sotto la tutela delle grandi aziende statunitensi48. 47 Anche la Technicolor italiana è stata recentemente messa in liquidazione, nel dicembre 2013. Sulla situazione degli stabilimenti di sviluppo e stampa negli anni Cinquanta, cfr. 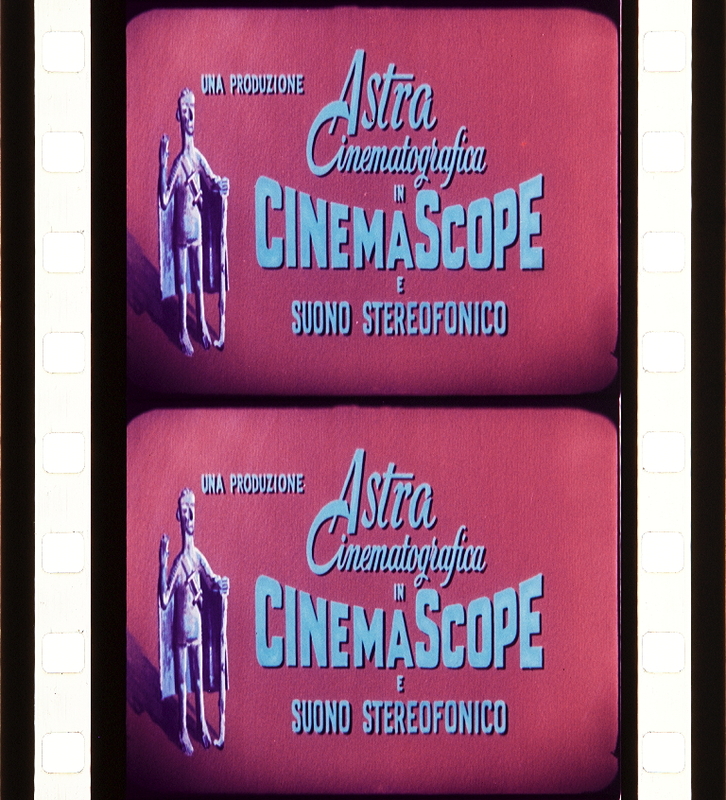 “L’edizione dei film a colori”, in Associazione Italiana Cineoperatori, 1953, 9, pp. 16–18; “La situazione delle case di sviluppo e stampa”, in Araldo dello Spettacolo, 1954, 106, p. 1; M. Gandin, “Gli stabilimenti sviluppo e stampa”, in Cinema Nuovo, 1955, 52, pp. 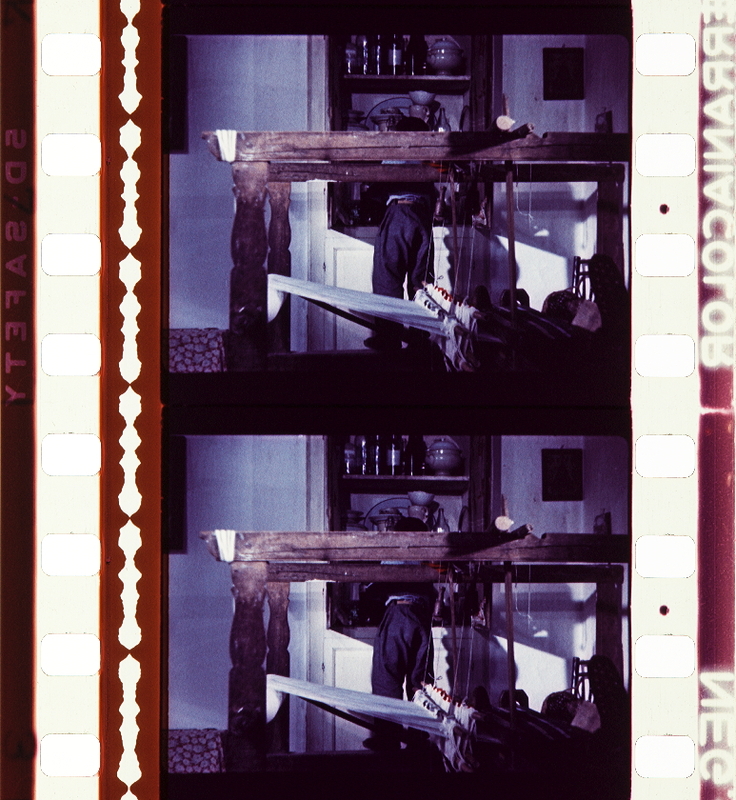 92–93; M. Craveri, “Che cosa ne pensa: Mario Craveri?”, in Attualità Tecnica Cinematografica, 1955, 1, pp. 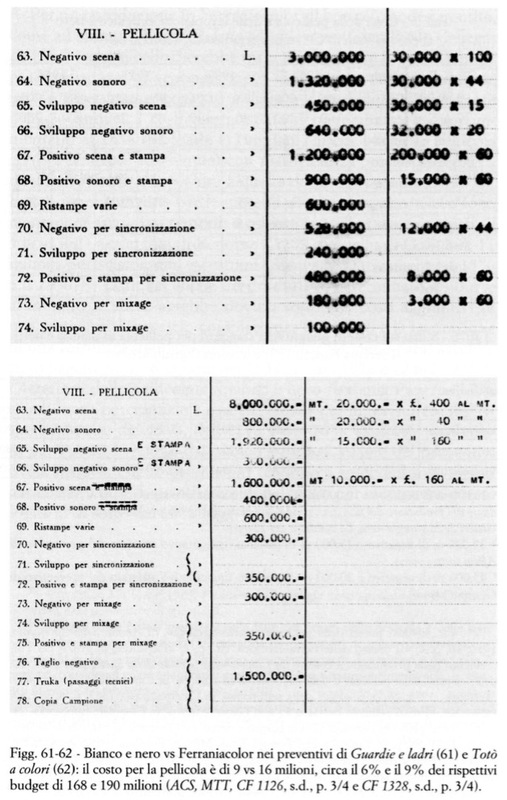 3–5; “Industrie tecniche e crisi nel parere del dr. R. De Cinque”, in Araldo dello Spettacolo, 1957, 30, p. 4. 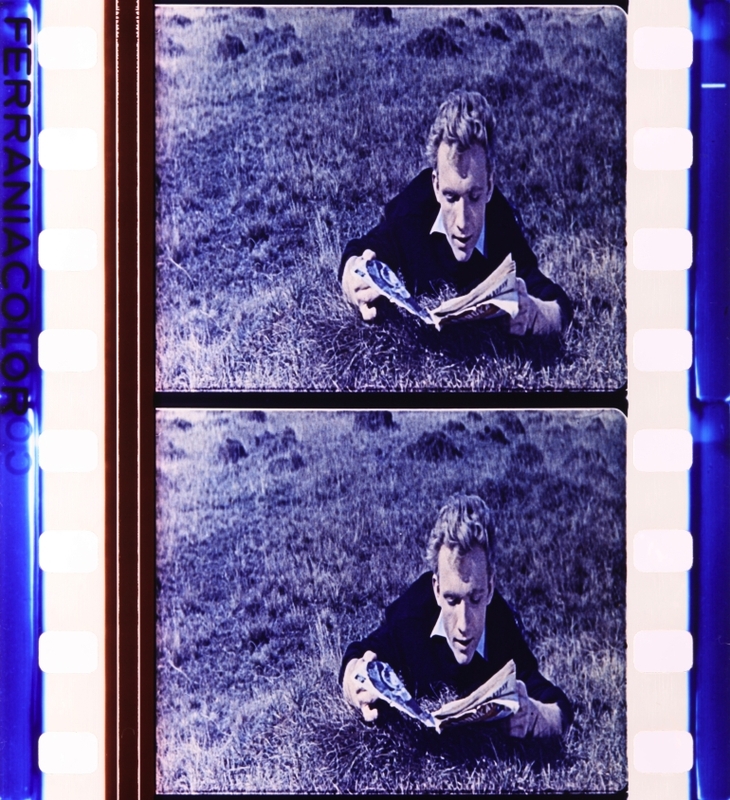 Cfr anche A. Aprà, “La tecnica: colore, formati e lavorazioni”, in S. Bernardi (a cura di), Storia del cinema italiano, vol. IX, Venezia-Roma, Marsilio-Edizioni di Bianco & Nero, 2004, pp. 633–647. 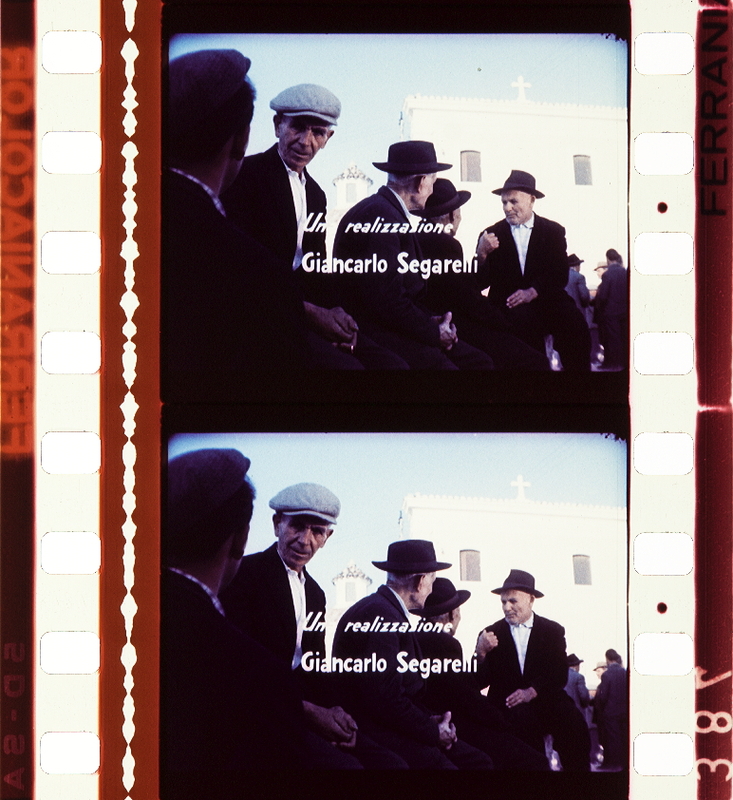 “Per una produzione in Ferraniacolor di ben più modesta entità, come ad esempio I misteri della giungla nera (Gian Paolo Caligari, 1954) – che si collocherebbe tra la tipologia a) e la b) – la troupe poteva disporre di ventimila metri di negativo, da impressionare in 5 o 6 settimane, con 130 milioni a disposizione. Nonostante il basso budget, i costi direttamente riconducibili al colore ammontano al 13% del totale (17 milioni, di cui 14 per la pellicola e 3 per lampade ed energia) con un’incidenza percentuale pari a quella di Puccini e superiore a quella de La carrozza d’oro (11%). La tendenza si inverte per le spese di altra natura, che invece sono mantenute ai minimi termini: 6 milioni per gli attori principali (il 5% vs il 21% del film di Renoir e I’ll % di quello di Gallone), 11 milioni per scenografie e costumi (8% vs rispettivamente il 15% e il 19%)53. Dunque, anche un produttore determinato a ridurre al minimo le spese avrebbe dovuto sostenere costi aggiuntivi di una certa entità: un ciclo completo per l’acquisto e la lavorazione di una fornitura standard di Ferraniacolor (la meno cara) sarebbe stato pagato circa 16 milioni nel 1951, 14 nel 1952 e 12 nel 1953 vs i 4 milioni della pellicola in bianco e nero Ferrania Panerò C.754. L’incidenza percentuale sul costo medio del film risulterebbe rispettivamente del 13%, dell’l 1% e del 10% vs il 4% mantenuto per l’intero triennio dal bianco e nero. L’esame dei preventivi rivela tuttavia che le produzioni tendono a intervenire su alcuni parametri (come il quantitativo di pellicola) per mantenere questa soglia al di sotto del 10% (figg. 61-64)55. 53 Cfr. ACS, MTT, CF 1725, I misteri della giungla nera: appunto per il Direttore Generale, s.d. ; preventivo di spesa, s.d. 54 Questa stima è stata realizzata sulla base dei prezzi delle pellicole e delle lavo­ razioni reperiti presso i periodici di categoria e i preventivi di spesa consultati presso il fondo ACS, MTT, ipotizzando l’impiego di ventimila metri di negativo e diecimila di positivo, considerati come quantitativi standard per una produzione media (cfr. 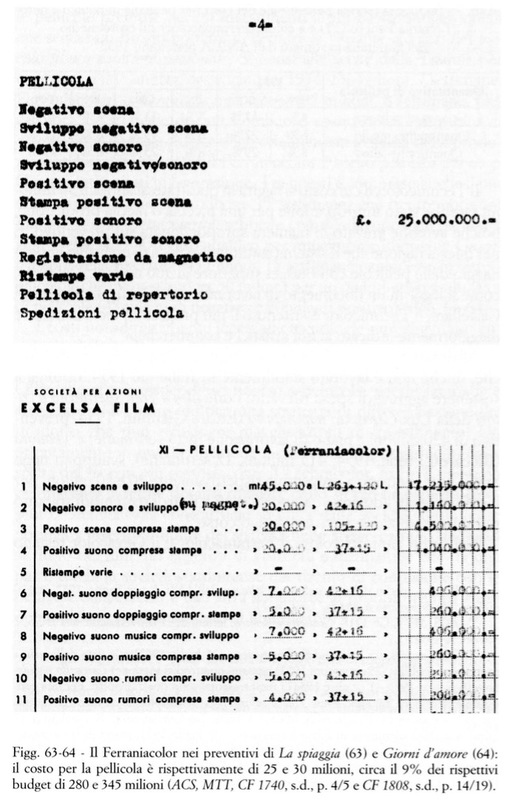 V. Brosio, Manuale del produttore del film, Roma, Ateneo, 1956, p. 118). 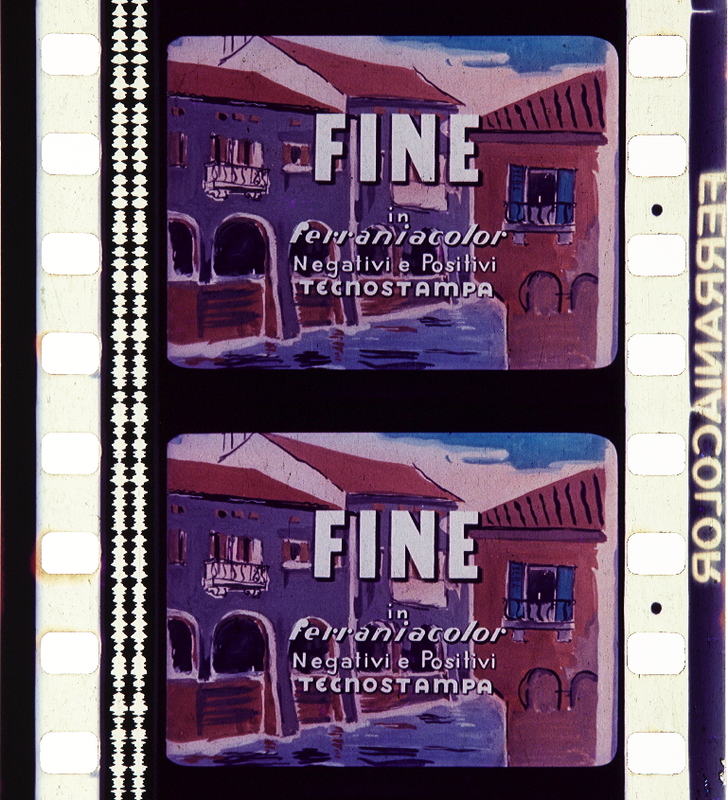 “Nei primi anni del colore il Ferraniacolor e il Gevacolor restano le pellicole preferite per gli investimenti a più basso budget, quelli che seguendo Brosio potremmo definire la variante a colori del piccolo film a carattere nazionale. Si pensi alle scelte della Titanus per Café chantant (Camillo Mastrocinque, 1954,130 milioni, 7 settimane, Ferraniacolor) o Tarantella napoletana (95 milioni, 6 settimane, Gevacolor). Le strategie di casa Lombardo costituiscono un punto di osservazione su scala ridotta degli orientamenti generali della produzione italiana: fino al 1954 il Ferraniacolor è scelto per otto dei dieci film a colori entrati in lavorazione. Tra questi è compreso anche il più costoso La spiaggia (280 milioni, 13 settimane) che rientrerebbe tra i film di media spettacolarità, sebbene con una lavorazione da film a gran spettacolo60. Un caso analogo per impegno produttivo è Giorni d’amore della Excelsa (345 milioni, 15 settimane), anch’esso in Ferraniacolor, che mette a budget 30 milioni per un quantitativo molto alto di pellicola (45mila m di negativo e 20mila di positivo) (figg. 63-64). I costi non direttamente legati alla tecnologia rappresentano entità più difficili da misurare ma più interessanti per una considerazione generale sui modelli produttivi dei primi film a colori italiani. Oltre che al più dispendioso ricorso a pellicole, parchi lampade e attrezzature, il colore impone una strategia di differenziazione del prodotto che può richiedere maggiorazioni di investimento. Un orientamento in questa direzione è costituito in primo luogo dalla scelta dei sistemi più costosi, come il Technicolor, in cui il prestigio del marchio avrebbe dovuto ripagare dello sforzo finanziario compiuto. Una clausola contrattuale stabilita dalla società statunitense obbliga a inserire il nome del sistema nello stesso cartello dedicato al titolo del film: un’esigenza di visibilità e distinzione che da una parte tutela la società statunitense dal rischio di confusione con le pellicole concorrenti e dall’altra garantisce al produttore una sorta di marchio di qualità apposto al film (fig. 65)61. 60 Cfr. ACS, MTT, CF 1666: Café chantant: piano di lavorazione, s.d. ; preventivo di spesa, s.d. ; ACS, MTT, CF 1622: Tarantella napoletana: piano di lavorazione, 7 febbraio 1953; preventivo di spesa, s.d. 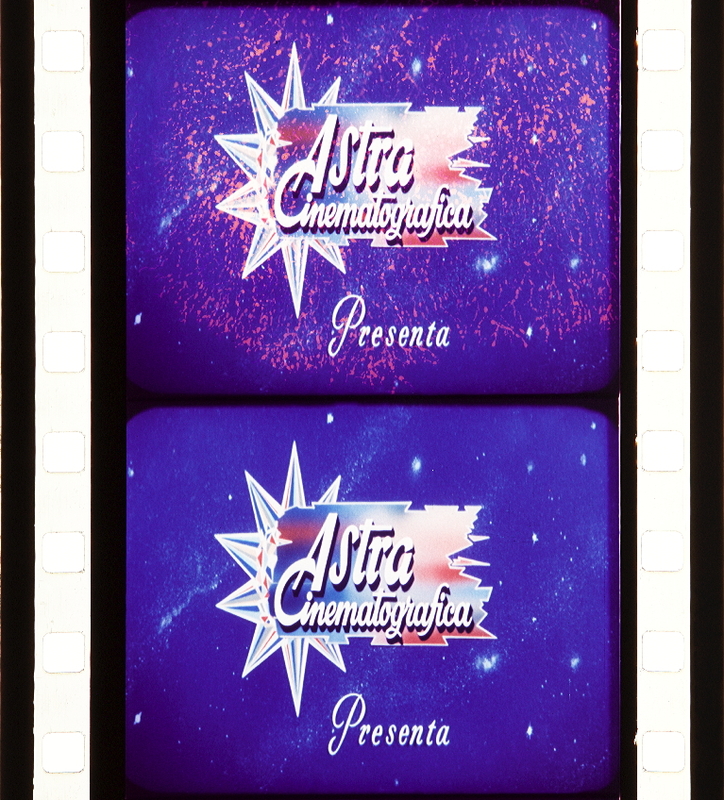 ; ACS, MTT, CF 1740, La spiaggia: appunto per il Direttore Generale, 19 agosto 1953; preventivo del film, s.d. Per la storia della Titanus, cfr. 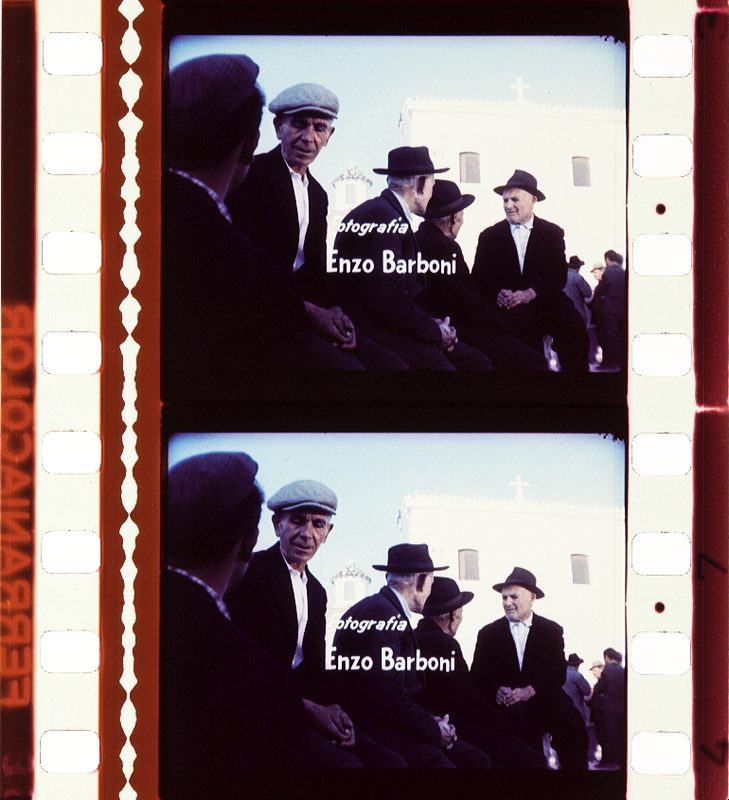 G. Barlozzetti, S. Parigi, A. Prudenzi, C. Salizzato, Modi di produzione del cinema italiano. 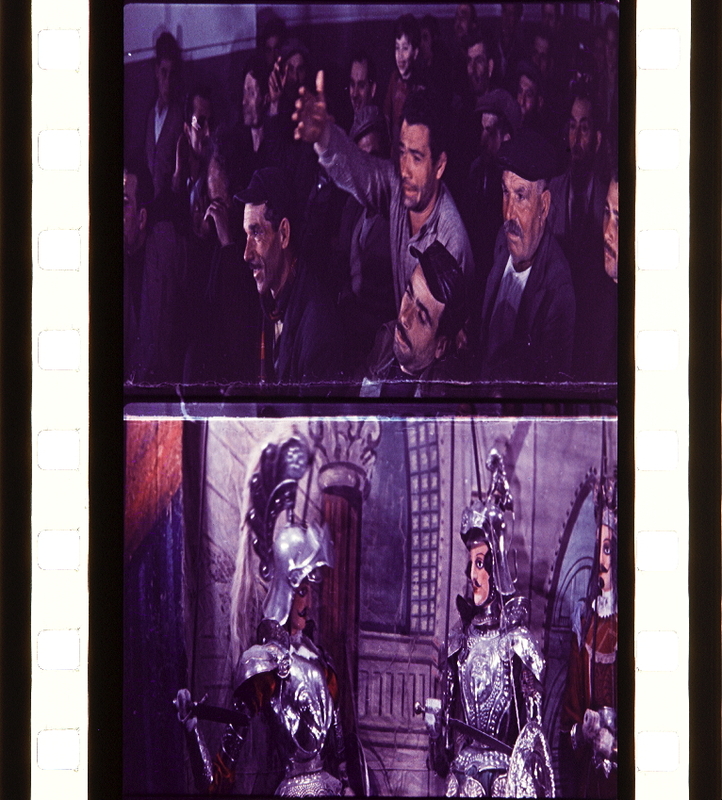 La Titanus, Roma, Di Giacomo, 1986; V. Zagarrio (a cura di), Dietro lo schermo. 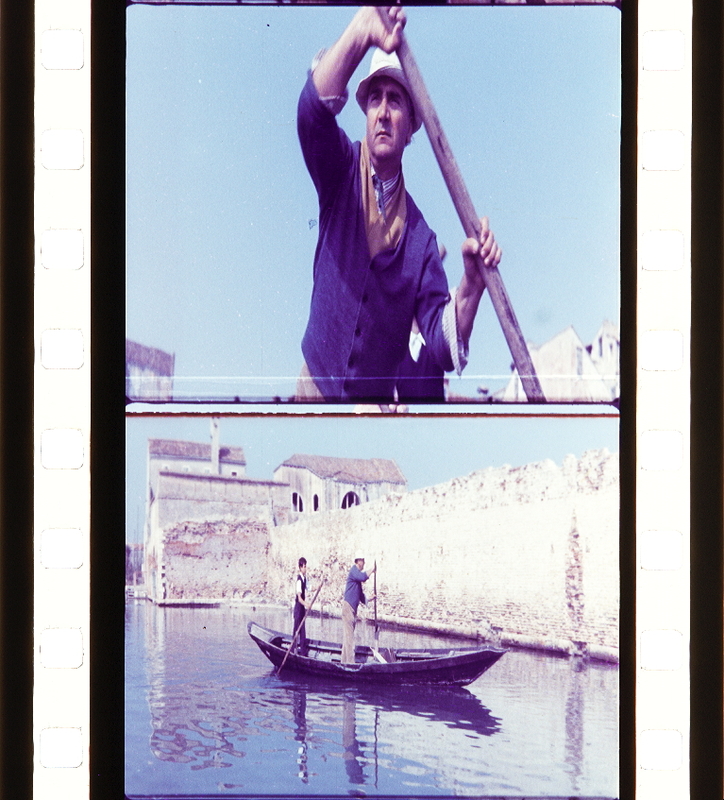 Ragionamenti sui modi di produzione cinematografici in Italia, Venezia, Marsilio, 1988, pp. 15–38; F. Di Chiara, Generi e industria cinematografica. Il caso Titanus (1949-1964), Torino, Lindau, 2013. “Un secondo esempio di stile normalizzato è rappresentato da La risaia (1955, negativo Eastmancolor stampato su Ferraniacolor, tavole a colori 23-25) con il quale Matarazzo dà continuità alla scelta del colore, già praticata con Vortice e La nave delle donne maledette (1953, Gevacolor), Giuseppe Verdi (1953, Ferraniacolor stampato Technicolor) e Torna! 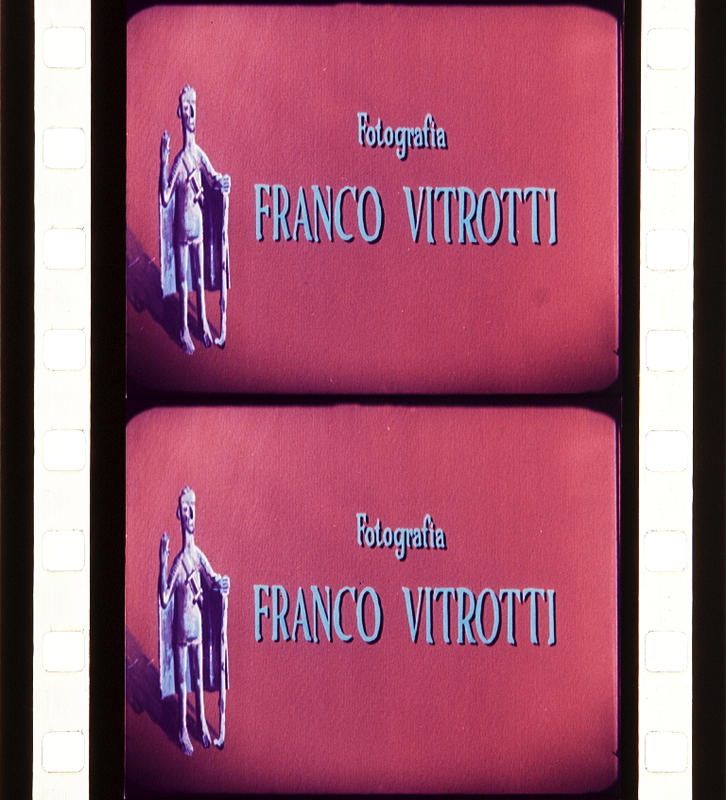 (1954, Ferraniacolor). Matarazzo sottopone il colore a un disciplinamento narrativo e semantico su cui vale la pena spendere alcune parole. Il personaggio al centro della narrazione è Elena, le cui virtù morali positive sono sottolineate da tinte chiare e tenui come il bianco, il lavanda chiaro o il rosa chiaro. In Gianni, invece, è la tuta blu da meccanico a denotare lo status di onesto lavoratore, in contrapposizione allo spendaccione e irresponsabile nipote del padrone, Mario, che fa il suo ingresso nel film a bordo di una fiammante cabriolet rossa. Anche in questo caso, il rosso ha evidenti legami semantici con edonismo, benessere e seduzione. Quando, in una delle sequenze iniziali, Mario offre un passaggio a Novara a Elena e ad altre ragazze, lo scenario urbano è connotato da pubblicità e manifesti vivacemente colorati. Al rosso della macchina sportiva si contrappone programmaticamente il grigio del lento ma efficiente auto rimorchio con cui Gianni va a recuperare i veicoli in panne, in una chiara figurazione di due stili di vita alternativi. In una logica narrativa che sembra rifarsi ai valori morali e religiosi della cromofobia36, il colore si associa a situazioni in cui è offerto un appagamento subitaneo ma inautentico, come la velocità dell’auto di Mario, mentre l’incolore è chiamato a incarnare le istanze positive del lavoro e della famiglia. L’articolazione dell’intreccio narrativo, basata sull’accumulo di situazioni drammatiche e di picchi emozionali, si traduce in una differenziazione stilistica maggiore di quella proposta in Racconti romani, caratterizzato da una maggiore omogeneità fotografica. 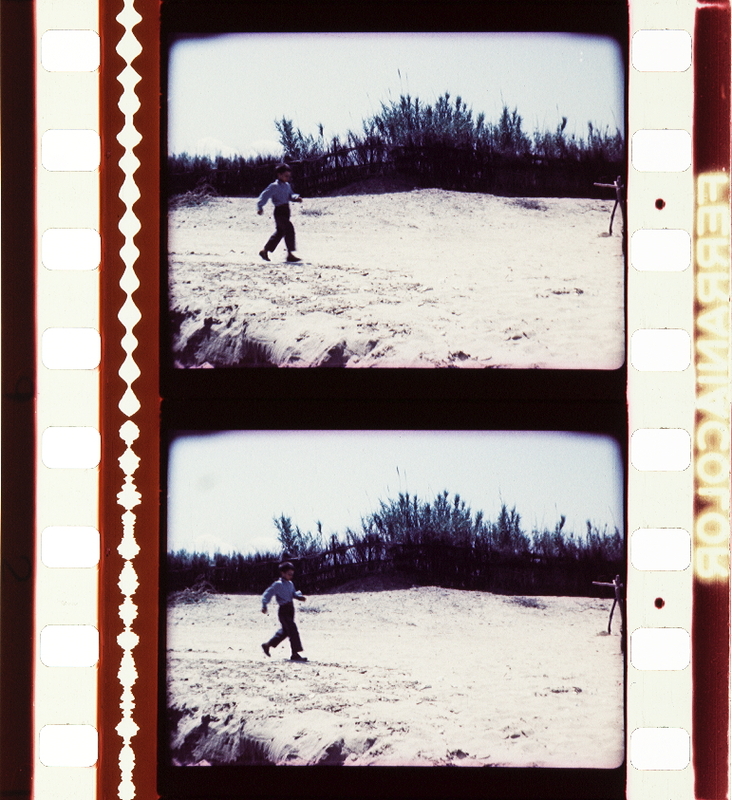 E’attenzione al taglio delle inquadrature, ai movimenti di macchina e alla fotografia mostra che il punto di riferimento del film è costituito dal lavoro di Otello Martelli per Riso amaro (Giuseppe De Santis, 1949), ma il colore pone a Euciano Trasatti il problema di adeguare le tecniche del bianco e nero, in modo da ricreare quelle ridondanze formali di cui un melodramma popolare non può assolutamente fare a meno. È soprattutto attraverso questo processo di adeguamento che La risaia promuove la sua normalizzazione stilistica. Il lavoro di Trasatti si può ricondurre a quattro modelli luministici: luce naturale per gli esterni della risaia e gli spazi contigui, eventualmente accompagnata da lampade di rinforzo per i piani ravvicinati; luce artificiale neutra diurna, ottenuta con fasci omogenei che colpiscono l’intero spazio del set, come nelle sequenze girate nella casa di Pietro; luce artificiale notturna, ottenuta sia in interni che in esterni con una minore intensità luminosa; luce artificiale drammatizzata, quando un basso livello di illuminazione è impiegato in momenti di particolare intensità drammatica. Quest’ultima soluzione mostra un desiderio sempre più manifesto di assimilare le tecniche del bianco e nero. Trasatti e Matarazzo vi ricorrono nei momenti di agnizione, quando la madre di Elena rivela a Pietro che la ragazza vista nella risaia è sua figlia e nella sequenza risolutiva della morte di Mario, al termine della quale la ragazza scopre la verità sul conto del suo datore di lavoro. La presenza del colore è qui subordinata alla definizione tonale: il retrobottega del ristorante milanese presso cui è impiegata la donna a lungo cercata da Pietro sembra illuminato con poche lampade laterali e senza luci di riempimento; la stessa tecnica è utilizzata per illuminare il dormitorio in cui ha luogo l’accidentale uccisione di Mario, episodio caratterizzato da tagli di luce quasi espressionistici. La disciplina dei colori primari e la drammatizzazione della luce sembrano asserire per il melodramma popolare italiano o almeno per la variante qui presa in esame – una via peculiare, sganciata dal modello hollywoodiano (Douglas Sirk) e in continuità con la tradizione del bianco e nero che aveva sancito le fortune del genere a partire da Catene. Nondimeno, La risaia fa emergere lo sforzo di arricchire il bagaglio tecnico e stilistico del colore con nuove soluzioni, per controbattere – con le parole di Giuseppe Rotunno – a “chi sentenziava che soltanto con le sfumature del bianco e nero si potevano girare film drammatici, mentre il colore era tutt’al più decorativo”37. 36 Cfr. D. Batchelor, Chromophobia, London, Reaktion, 2000 [trad. it. Cromofobia. Storia della paura del colore, Milano, Bruno Mondadori, 2001]. “Assai singolare per il cinema italiano del tempo è il caso di Giorni d’amore, con cui De Santis tenta un esperimento di neorealismo a colori, nonostante alla sua uscita il film sia inserito dalla critica nel calderone del bozzettismo paesano43. Il regista getta uno sguardo sulla Ciociaria affidandosi alla sensibilità pittorica di Domenico Purificato, con cui condivide le origini (entrambi sono nativi di Fondi) e una militanza critica sulle pagine di Cinema44. Purificato partecipa alla lavorazione del film disegnando i bozzetti per gli ambienti e gli abiti dei personaggi. Talvolta il pittore interviene direttamente sul set per colorare in maniera innaturale alberi, pareti e altri oggetti scenici – come farà più tardi Antonioni per II deserto rosso. Nei titoli di testa, il pittore è accreditato come scenografo, costumista e consulente artistico per il colore, con il chiaro intento di promuovere una sensibilità più raffinata ed equilibrata nell’uso delle tinte tenui del Ferraniacolor45. 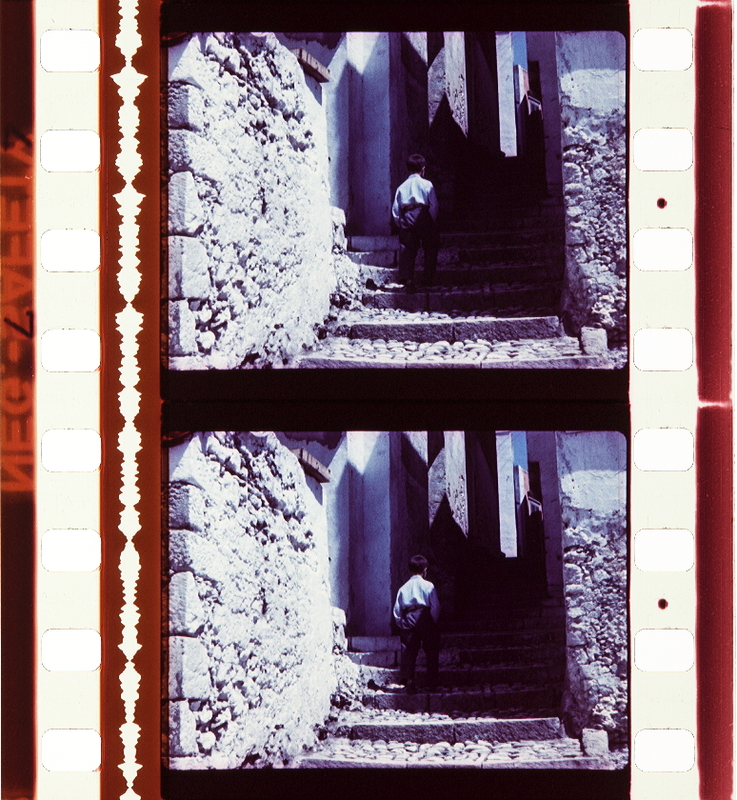 43 A. Farassino, “Viraggi del neorealismo: rosa e altri colori”, in L. De Giusti (a cura di), Storia del cinema italiano, vol. VIII, Venezia-Roma, Marsilio-Edizioni di Bianco & Nero, 2003, p. 221. 44 Tra gli articoli di D. Purificato, cfr. 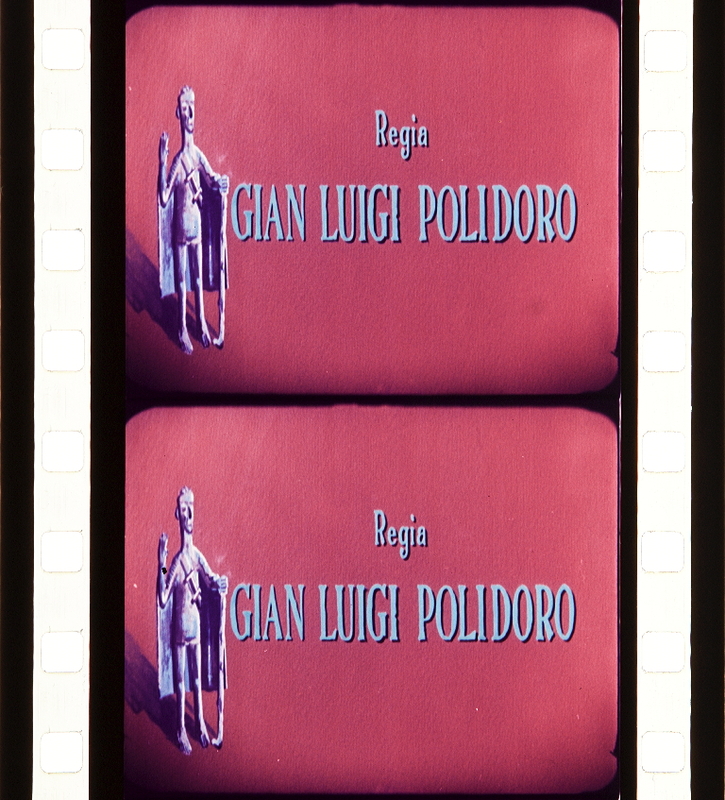 “Pittura e cinema”, in Cinema, 1938, 44, pp. 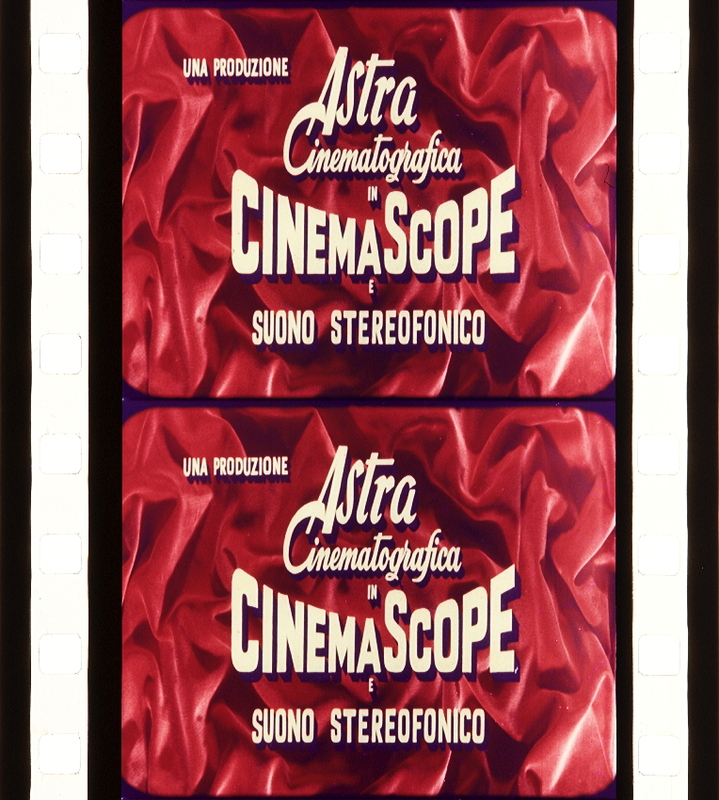 265–266; “Pittura e cinema. 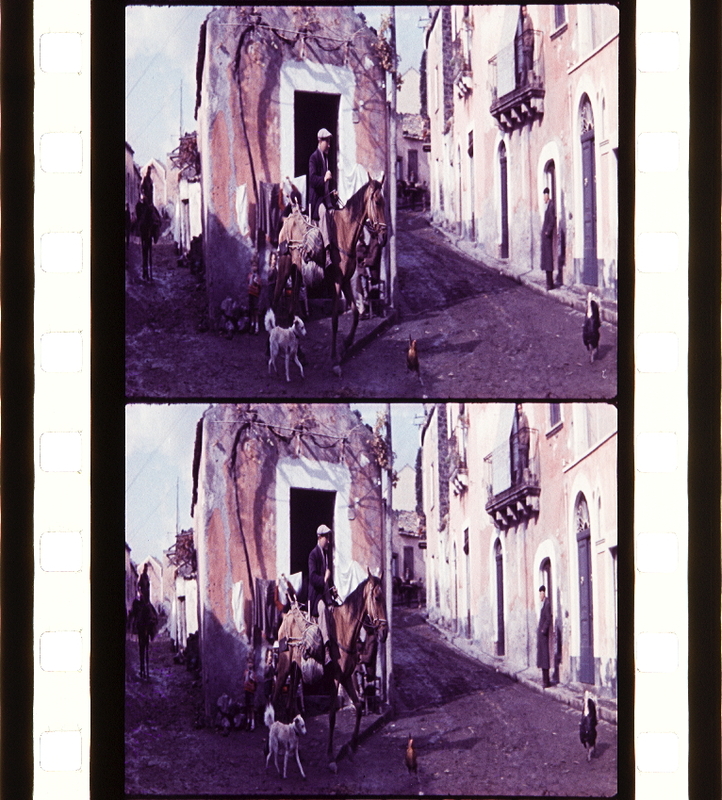 L’avventura del colore”, in Cinema, 1940, 105, pp. 332–333 e 106, pp. 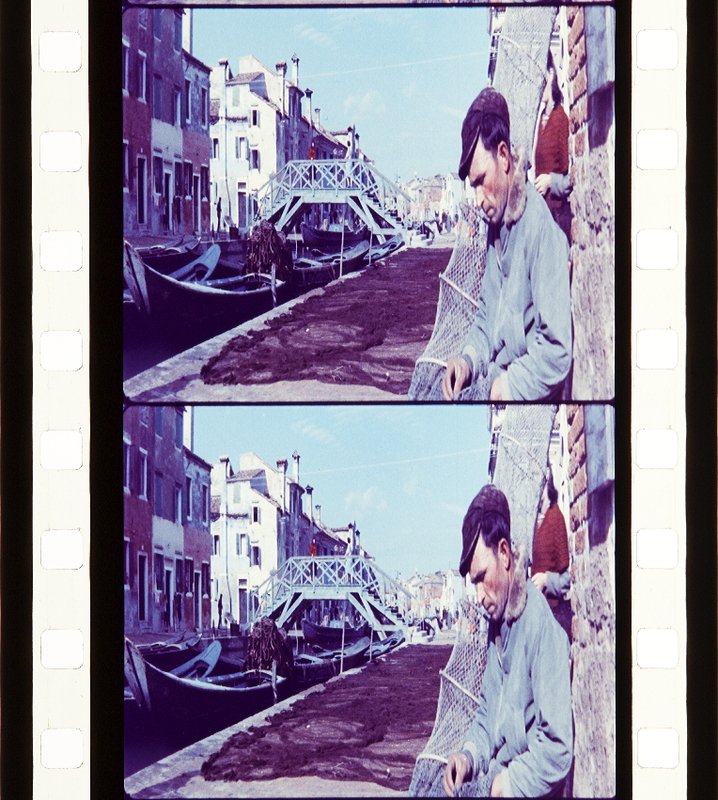 368–369; “Venezia con poco colore”, in Cinema, 1942, 149, p. 509; “Influenza della pittura sul cinema spettacolare”, in Bianco e Nero, 1950, 8-9, pp. 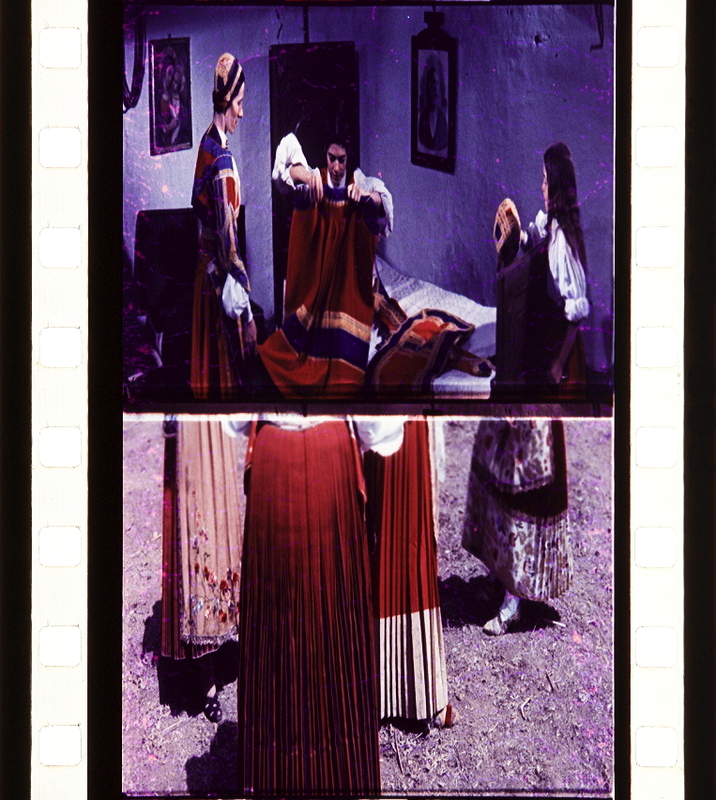 83–95; “Maddalena e i castigamatti”, in Cinema, 1954, 135, pp. 341–342; “Artificio in bianco e nero e grigio”, in Cinema, 1954, 137, pp. 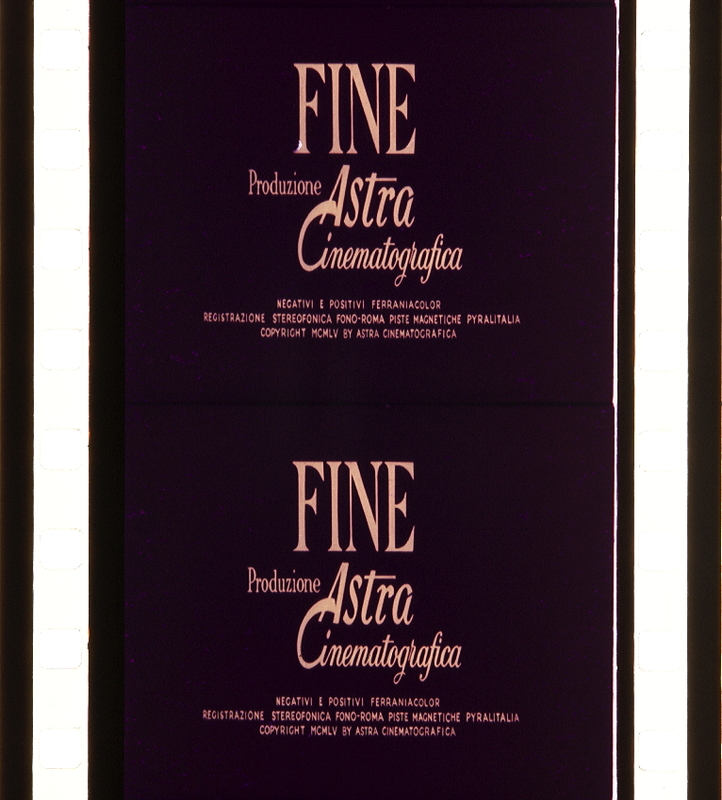 401–402; “Promemoria per Venezia”, in Cinema, 1954, 140, p. 496. “In Italia, come in altre cinematografie europee, la situazione di partenza è molto differente rispetto a quella statunitense. Mentre negli Stati Uniti il processo di formalizzazione stilistica è disciplinato dai consulenti per il colore, nel vecchio continente esso tende a disperdersi in un arcipelago di competenze e attribuzioni che rende l’operato di tecnici e registi assai più disordinato. Se un confronto diretto tra quello che si è proposto di definire uno stile classico del colore e le singole vie nazionali appare difficilmente proponibile, si può invece assumere che, per il cinema popolare, il termine di confronto più immediato per i film a colori siano diventati gli stessi film a colori del passato (cioè in grande maggioranza Technicolor) eventualmente da ibridare con tradizioni figurative e spettacolari autoctone. Il primo problema riguarda la relazione tra istanze visive e discorsive e si traduce in termini operativi nella scelta della funzione da attribuire al colore in rapporto alla narrazione. Il secondo riguarda il posizionamento del colore rispetto alla tradizione tecnica del bianco e nero: da questo punto di vista, la spinta a utilizzare il colore come valore aggiunto è controbilanciata da una tendenza di segno contrario, che porta alla volontà di recuperare le opzioni espressive della forma precedente. 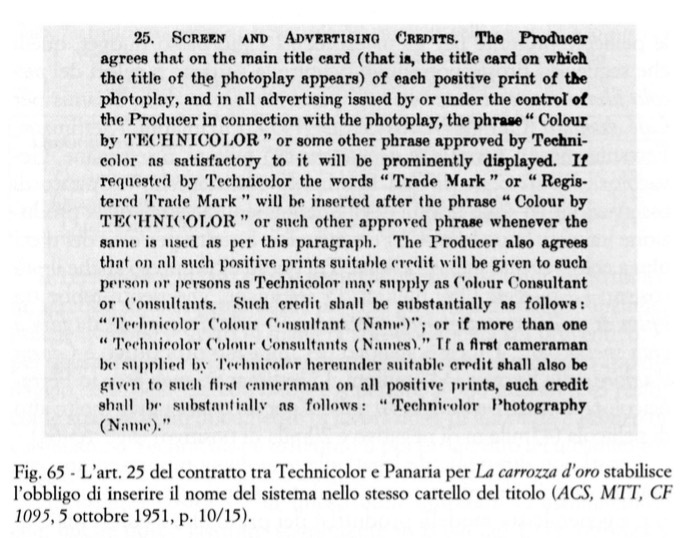 Il problema si pone soprattutto in relazione all’illuminazione tonale e alla profondità di campo, due tecniche portate a un alto grado di perfezionamento nella fotografia in bianco e nero e ritenute pressoché impossibili con il colore, a causa della bassissima sensibilità delle nuove pellicole. Lo sforzo di recuperare alcune tecniche del bianco e nero evidenzia la volontà di legittimare il colore sul piano delle possibilità espressive e crea le condizioni per l’accettazione della novità. In questa chiave, le scelte formali adottate dai film sono leggibili come una risposta, sul terreno eminentemente operativo, ad alcuni problemi che il dibattito teorico-critico sul colore ha messo in evidenza. 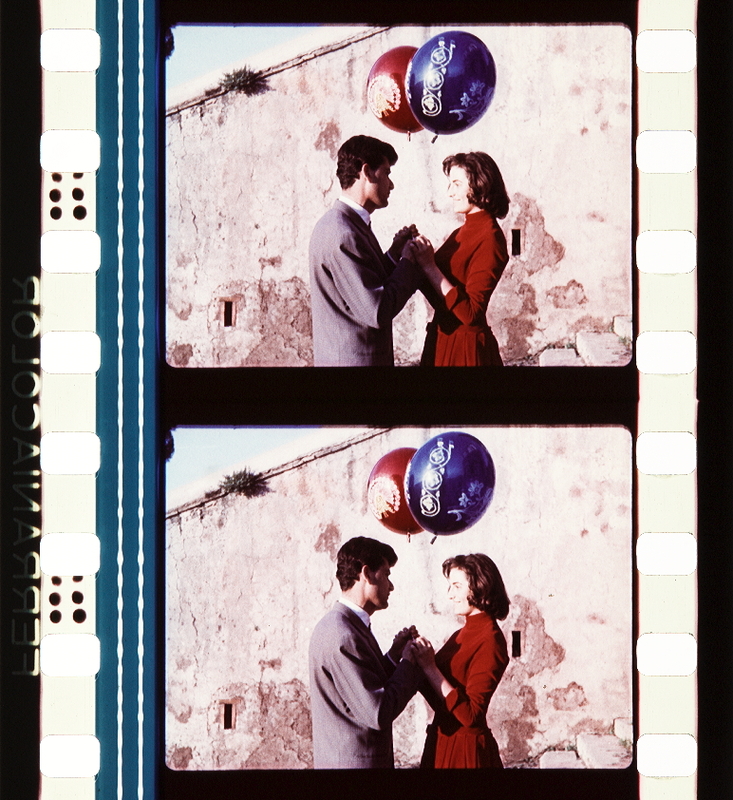 Cominciamo da Totò a colori (Steno, 1952, Ferraniacolor, tavole a colori 8-16), che una consolidata tradizione considera il primo lungometraggio a colori del cinema italiano. Il film è stato a ragione definito una rivista cinematografica, poiché propone un assemblaggio di sketch e battute prelevati dai migliori numeri che Totò aveva già avuto modo di presentare in precedenza sui palcoscenici di rivista e di avanspettacolo22. I giovani produttori Carlo Ponti e Dino De Laurentiis decidono di trovare una soluzione in grado di porre le esigenze della novità sotto la tutela di una ben precisa tradizione, specificamente legata a un contesto spettacolare autoctono: quello del teatro di rivista, che durante il periodo bellico aveva rappresentato una delle principali forme di evasione popolare. 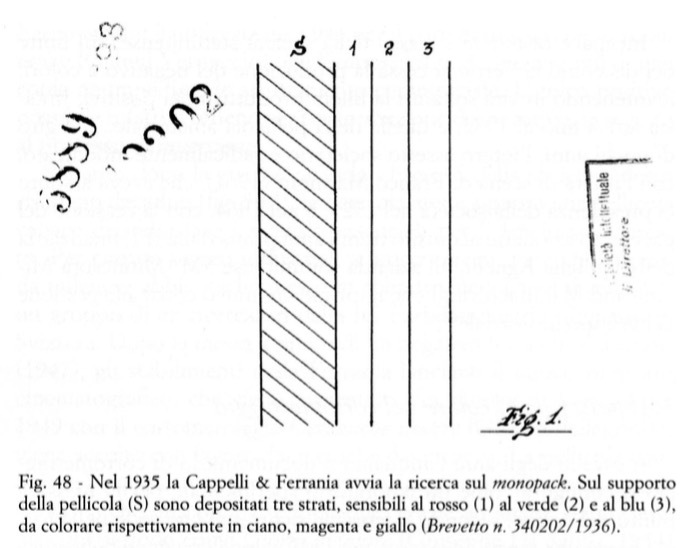 Non solo Totò era figlio di quella tradizione, ma lo erano anche il regista Steno e la maggior parte degli interpreti scritturati per fare da spalla al comico napoletano, da Virgilio Riento a Mario Castellani, da Galeazzo Benti a Vittorio Caprioli, da Isa Barzizza a Franca Valeri. Sul piano stilistico, il film va incontro a un bacino predefinito di pubblico attraverso la ricerca di continuità con una preesistente tradizione spettacolare e con le relative forme di rappresentazione, che, rispetto al cinema classico, presuppongono forme di coinvolgimento narrativo ed emotivo completamente diverse. Ignorando l’esempio statunitense in favore di una consolidata tradizione spettacolare di impronta prettamente nazionale, Totò a colori inaugura un modello formale destinato a una presenza significativa sugli schermi nazionali, soprattutto nel cinema popolare, il colore come attrazione, centrato sull’esibizione del potere sensoriale e spettacolare della novità23. Nel film, la linea narrativa si riduce a una labile traccia che ha l’unico scopo di tenere unita una serie di sketch: Totò si esibisce in molti numeri che si alternano sullo schermo come sul palcoscenico della rivista. Il contesto spettacolare di partenza è dichiarato esplicitamente attraverso l’immagine di un sipario teatrale che accompagna i titoli di testa del film, luogo privilegiato per definire il posizionamento dello spettatore. Fin dalla prima immagine iconica il film tende a scoraggiare la costruzione di un mondo finzionale e a collocare l’azione all’interno di uno spazio spettacolare, il palcoscenico. L’immagine assolve anche la funzione di anticipare uno dei numeri che avevano contribuito alla celebrità del comico partenopeo: l’imitazione di Pinocchio, che costituisce il punto di saldatura più forte, insieme all’episodio del vagon lit, con quel contesto spettacolare. 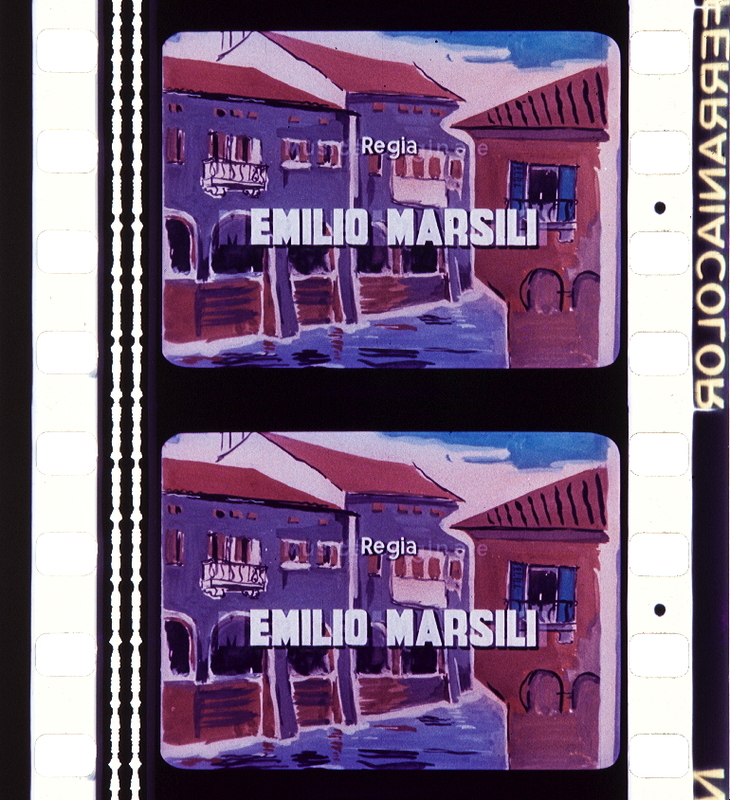 Il richiamo all’attore marionetta Totò, il cui nome appare sovraimpresso a quella stessa immagine, serve anche a offrire una motivazione per la scelta del colore, reputata ancora eccezionale per il medium cinematografico ma ampiamente certificata presso il pubblico della rivista, abituato alla presenza di costumi e scenografie dai colori sgargianti e innaturali. A questo proposito, il film può essere considerato assai più come la presentazione di una serie di spazi e ambienti riccamente colorati che come una successione lineare di sequenze narrative. I bozzetti scenografici24 evidenziano come questo aspetto sia stato tenuto in primaria considerazione fin dalla concezione stessa del film. Nei bozzetti si riscontra infatti quello stesso senso di horror vacui che ritroviamo puntualmente nella maggior parte degli ambienti che fanno da sfondo alle peripezie di Totò. 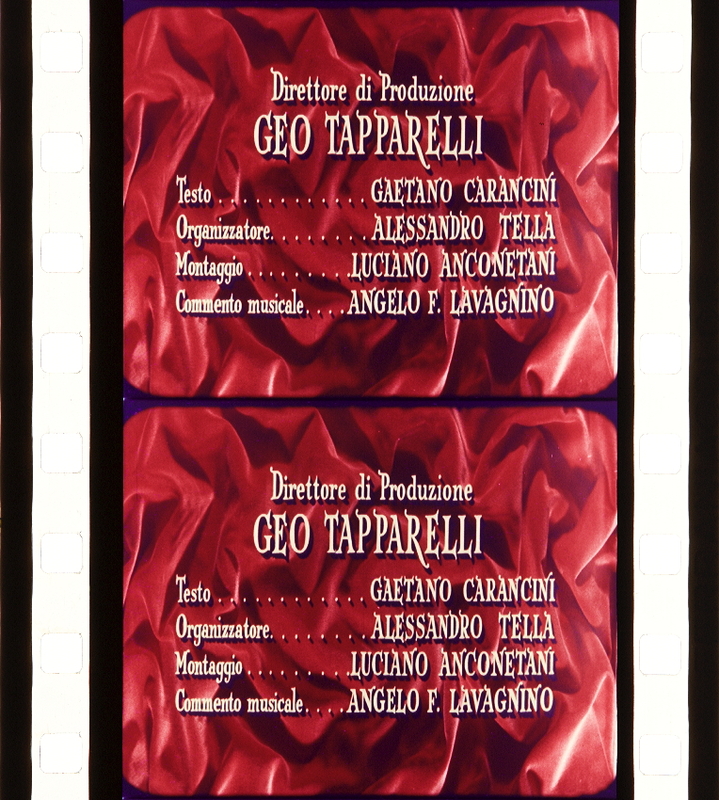 Il bisogno di riempire la scena con oggetti, arredi e decorazioni di ogni tipo prelude alla vivace presenza multicolore che caratterizza le inquadrature del film. 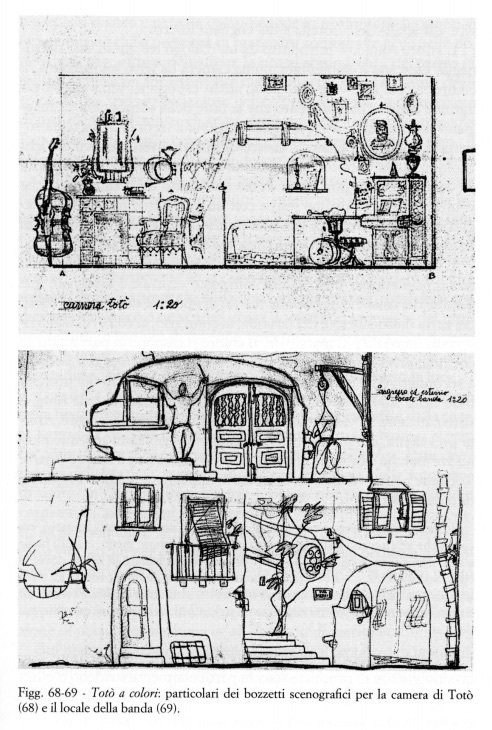 Si pensi all’affastellarsi di strumenti musicali, vasi e cornici nella camera di Totò o a quello di porte, finestre, archi ed elementi vegetali nel locale della banda. Le indicazioni si fanno invece assai più ricercate per la villa di Capri, nel cui bozzetto sono già contenute anche precise indicazioni sulle tinte da utilizzare. Se da un lato l’originalità degli ambienti diviene qui sfondo necessario dell’eccentricità comportamentale di Giulia Sofia, Poldo e degli altri ricchi e annoiati personaggi, dall’altro l’accumulo e l’accostamento di elementi scenografici bizzarri diviene anche una precisa parodia del design contemporaneo. La villa di Capri, con i suoi materiali più raffinati e moderni e le sue forme geometrizzate, si contrappone in questo modo sia agli ambienti popolari della casa di Totò o della banda, sia a quelli borghesi dell’ufficio del sindaco (figg. 66-69). Una logica parodistica che è in questo senso simile, benché punti più smaccatamente sull’eccentricità che sul funzionalismo, a quella di cui Jacques Tati si approprierà qualche tempo dopo per Mon Oncle (1958). La dichiarazione di appartenenza alla serie intermediale della rivista libera il testo dall’obbligo di aderire ai codici del realismo e della verosimiglianza. Svincolato in via preliminare dall’esigenza di ricondurre il colore allo sviluppo di un racconto, lo spettatore è letteralmente invaso da una serie di stimoli cromatici che è impossibile ricondurre a un modello di organizzazione. 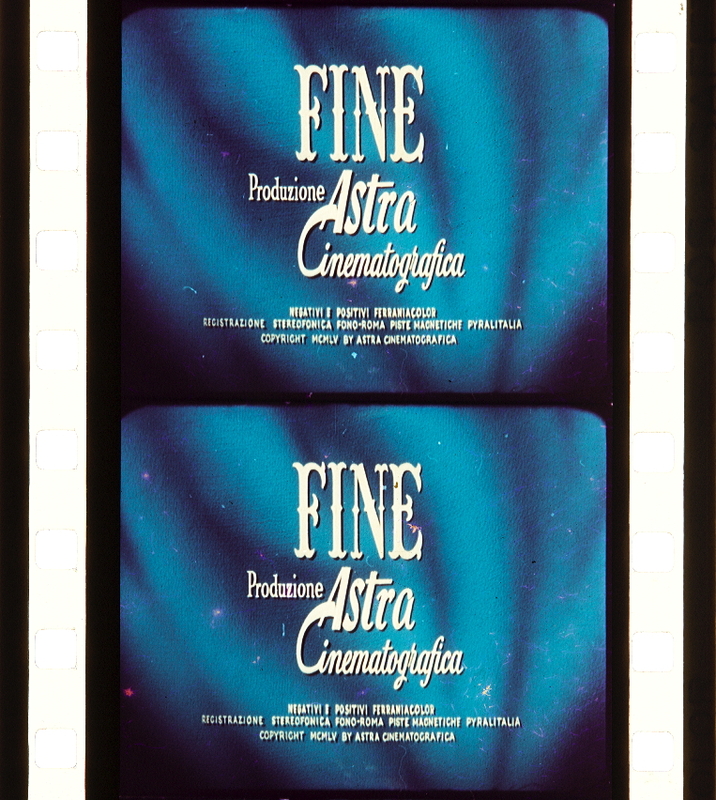 Il film mostra una tendenza all’esibizione dei più svariati accostamenti di tinte fin dalla sequenza iniziale. Dopo una veduta del paesino in cui il film è ambientato, l’azione si concentra all’interno della casa dove Totò vive alle spalle della sorella e del cognato Rocco. L’attore comico è introdotto da un dialogo tra questi due perso­naggi. La scena è ambientata in una camera da letto sovraccarica di colore, in cui non è riscontrabile alcun criterio di separazione tra figura e sfondo, dal momento che le tinte della scenografia riecheggiano sistematicamente quelle dei costumi: il terra di Siena della coperta si ripete sul pigiama a strisce di Rocco; il verde opaco del lenzuolo richiama il colore leggermente più scuro della parete, il carta da zucchero della porta è lo stesso del vestito della cameriera, che contribuisce al disordine visivo con un grembiule rosso. Il prosieguo della scena conduce alla presentazione di Totò, che indossa un vistoso foulard tra il verde turchese e il lavanda e un abito porpora. L’incipit esplicita allo spettatore la scelta della tavolozza che lo accompagnerà per tutto il film. Un posto centrale è assegnato alle gamme dei rossi e dei porpora, dei verdi opachi e dei verdi turchesi, dei carta da zucchero e dei lavanda; al contrario, ai colori neutri è riservato un ruolo più marginale. Il colore si dispone in pari grado su costumi, arredi e scenografie, è indossato da personaggi principali e secondari, ed è presente su primi piani e sfondi; uno dei principi base dello stile classico, la gerarchizzazione narrativa delle tinte, è sistematicamente violato. In questo quadro spettacolarizzante, risulta prevalente, dal punto di vista tecnico, l’esigenza di sperimentare nuove marche stilistiche impossibili da ottenere con il bianco e nero. I contrasti si dovevano creare, si diceva, con gli accostamenti cromatici, tra colori che riflettevano più luce e colori che ne riflettevano meno: era più facile a dirsi che a farsi, e ne uscivano fuori vere e proprie frittate di colori dove, in ogni inquadratura, c’era di tutto. L’eccitazione poi di girare il primo film a colori portava tutti, dallo scenografo al trovarobe, a colorare qualsiasi cosa di un colore brillante, dalle pareti delle stanze agli stipiti, ai mobili, ai capelli stessi degli attori25. II contrasto tonale è sostituito dall’accostamento delle tinte, con la conseguenza di produrre stacchi particolarmente stridenti o effetti di fusione tra figura e sfondo. L’altro elemento centrale della fotografia in bianco e nero, la composizione in profondità di campo, è invece negato dalla presenza di sgargianti scenografie alle spalle degli attori, che, oltre a richiamare la prassi scenografica del teatro di rivista, implica un appiattimento dell’immagine e una chiusura degli spazi. L’uso spettacolarizzante del colore scoraggia la costruzione di una diegesi coerente: gli spazi si susseguono indipendentemente l’uno dall’altro, così come gli episodi che compongono il film. Il colore agisce come un fattore di decostruzione narrativa e visuale. Sul piano stilistico, il colore gioca una funzione simile a quella dello stesso Totò: mentre il colore configura un’ipotesi spaziale incoerente e trascina lo spettatore verso il godimento della dimensione ludica dell’immagine, l’attore agisce parallelamente come agente di decostruzione delle situazioni sociali attraverso la mimica e i giochi verbali. Sarebbe tuttavia un eccesso interpretativo considerare il film soltanto come un prodotto di rottura radicale nei confronti della tradizione del bianco e nero. Così come il testo non scoraggia del tutto una lettura in termini di finzione (una traccia narrativa, per quanto labile, è infatti presente) esso non rinuncia del tutto ad alcune delle più tradizionali tecniche di costruzione spaziale attraverso la luce. Una delle ragioni del particolare stile del film può essere ricercata nelle limitazioni tecniche imposte dalla bassa sensibilità e dalla scarsa latitudine di posa (l’incapacità di fissare contrasti troppo elevati tra zone di luce e di ombra) del negativo Ferraniacolor. Pare che i tecnici della società avessero imposto al direttore della fotografia di usare un’illuminazione intensa e omogenea in tutte le scene; i contrasti di luce infatti avrebbero creato zone di sottoesposizione. In alcune sequenze si può notare il desiderio di forzare queste indicazioni, anche per occultare i limiti tecnici della pellicola e dimostrarne, entro i limiti del possibile, la versatilità26. Da questo punto di vista, la sequenza più sperimentale del film è quella ambientata in un piccolo teatrino in cui Totò, per sfuggire al cognato che ha intenzione di ucciderlo, si rifugia in un deposito di marionette. Sul piano luministico, la sequenza mostra il tentativo di integrare una soluzione tipica del bianco e nero con alcune possibilità del colore. Nel corridoio dietro le quinte da cui i tre fuggitivi cercano di scampare alla morte, le lampade sono disposte in modo da descrivere aree di luce e di ombra delimitate da linee oblique; all’interno del deposito di marionette, caratterizzato da un livello di illuminazione più ridotto, una luce intermittente di colore verde, assieme al fascio obliquo che colpisce una maschera rossa, conferisce maggiore dinamismo e profondità all’inquadratura, grazie al contrasto tra caldo e freddo che rafforza quello tra primo piano e sfondo. Rispetto alla sequenza iniziale, qui la ricerca di effetti più elaborati sembra esprimere la voglia di spingere il colore verso soluzioni meno prevedibili e più originali. 22 Cfr. F. Deriu, “Comico. Totò a colori. 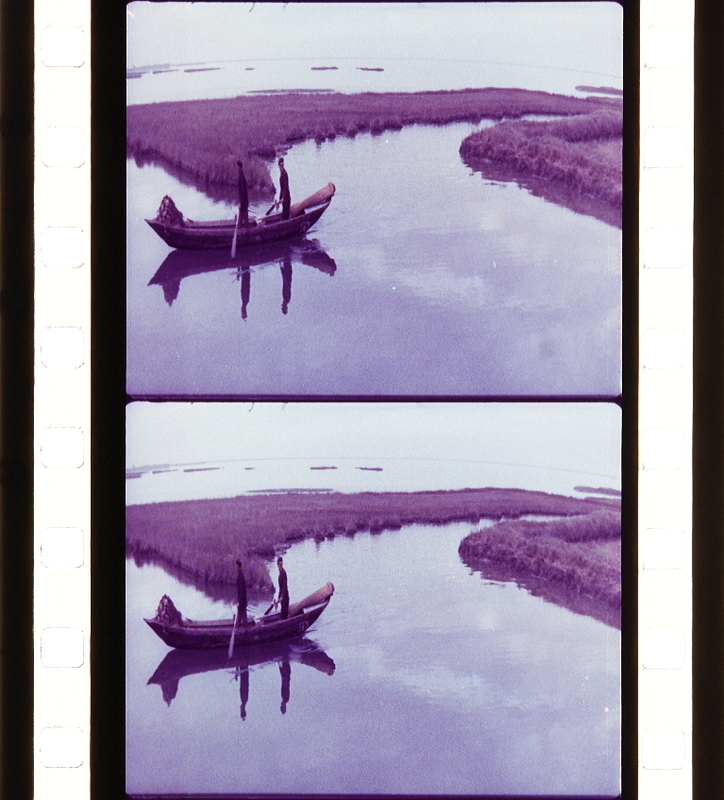 Una rivista cinematografica”, in L. Quaresima (a cura di), Il cinema e le altre arti, Venezia, Marsilio, 1996, pp. 251–260. 23 Si vedano ad esempio alcuni dei film citati da L. Venzi, alla voce “Colore” in R. De Gaetano (a cura di), Lessico del cinema italiano. Forme di rappresentazione e forme di vita, vol. I, Milano-Udine, Mimesis, 2014, pp. 173–238. 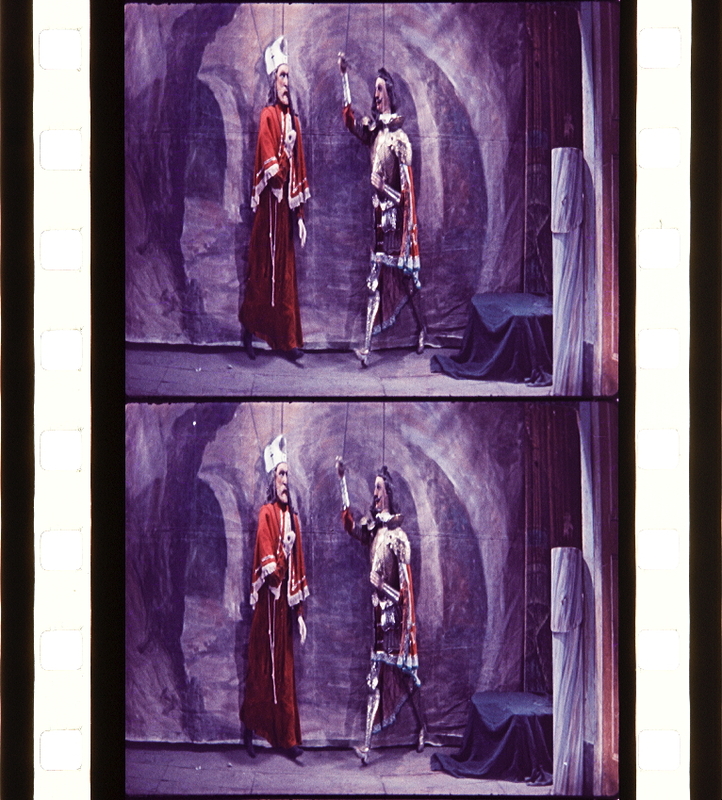 24 I bozzetti scenografici del film sono contenuti nel fascicolo ACS, MTT, CF 1328, Totò a colori. Lo scenografo del film è Piero Filippone, l’arredatore Riccardo Domenici. 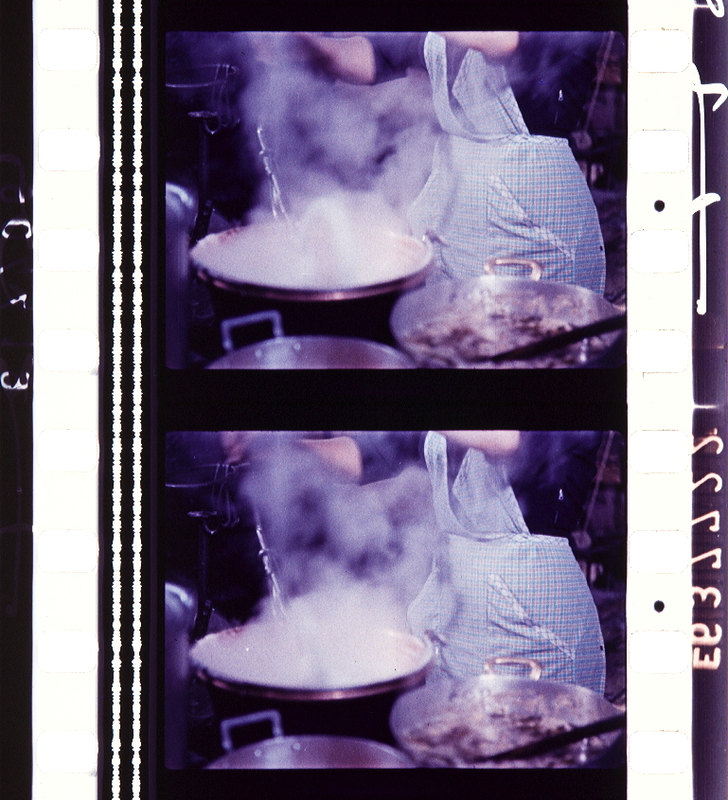 25 E. Finestauri, “L’era del colore si aprì con Totò” (1971), in II cinema tra tecnica e critica, Roma, Magma, 1975, p. 74. “Un altro caso paradigmatico è offerto da Aida (Clemente Fracassi, 1953, tavole a colori 17-19). Il film offre un altro esempio significativo di uso attrazionale del colore. 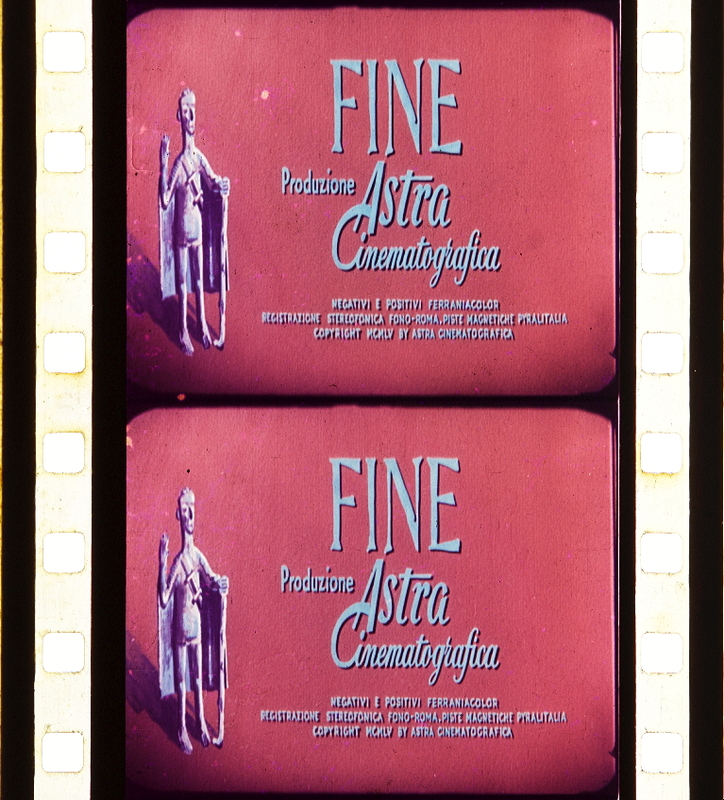 Questa esuberante e certo un po’kitsch versione dell’opera di Verdi fu filmata con il negativo Ferraniacolor ma fu stampata all’estero con il sistema dye transfer della Technicolor. Se la decisione di usare il supporto italiano per le riprese è forse motivata dal bisogno di contenere i costi, la scelta di stampare in Technicolor tradisce il desiderio di competere con le formule produttive hollywoodiane. Come per Totò a colori, anche in questo caso il colore riduce le scelte del direttore della fotografia e del regista. La bassa sensibilità del negativo e la scarsa latitudine di posa rendono difficile la creazione di effetti tonali e chiaroscurali, che sono invece di grande importanza per il modellamento delle figure nel bianco e nero. L’ampiezza dei set impone di utilizzare un numero altissimo di lampade, per generare un’intensità luminosa che è stimata essere tra le tre e le quattro volte superiore rispetto al bianco e nero27. La fotografia del film è così caratterizzata da una luce piatta, diffusa e omogenea, in cui le indicazioni di profondità sono affidate esclusivamente ai differenti colori scelti per i costumi e le scenografie. Aida si presenta come un grande repertorio di attrazioni visuali e musicali. Un articolo pubblicato su Cinema nei primi mesi del 1953 ne sottolineava la prossimità con il modello produttivo hollywoodiano, suggerendo un confronto con i film di Cecil B. De Mille28. 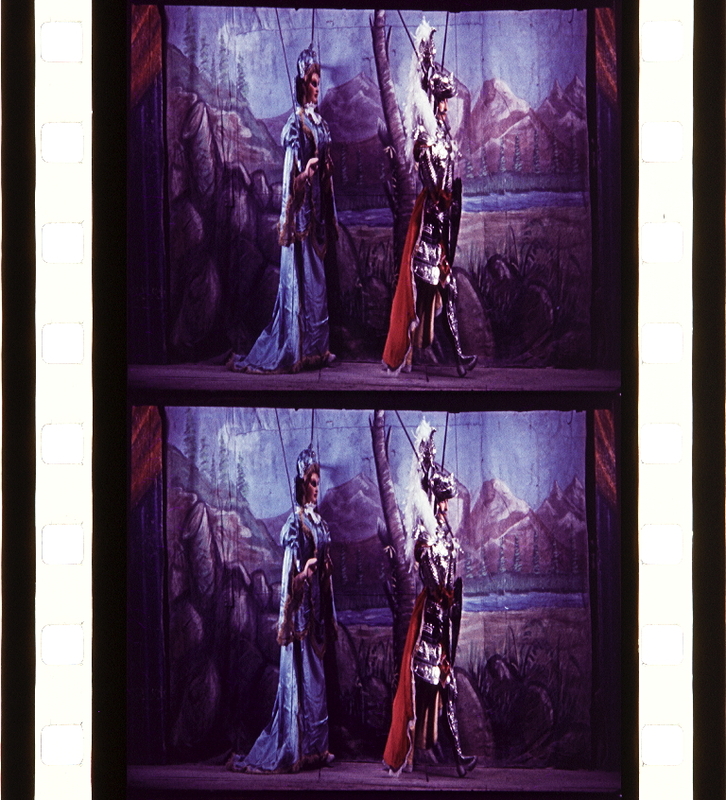 Fracassi cerca di ibridare la tradizione nazionale dell’opera, particolarmente prolifica nel cinema italiano di quegli anni29, con lo stile del kolossal d’oltreoceano. Il melodramma di Verdi offre però una successione narrativa completamente diversa dai modelli spaziotemporali del cinema classico. 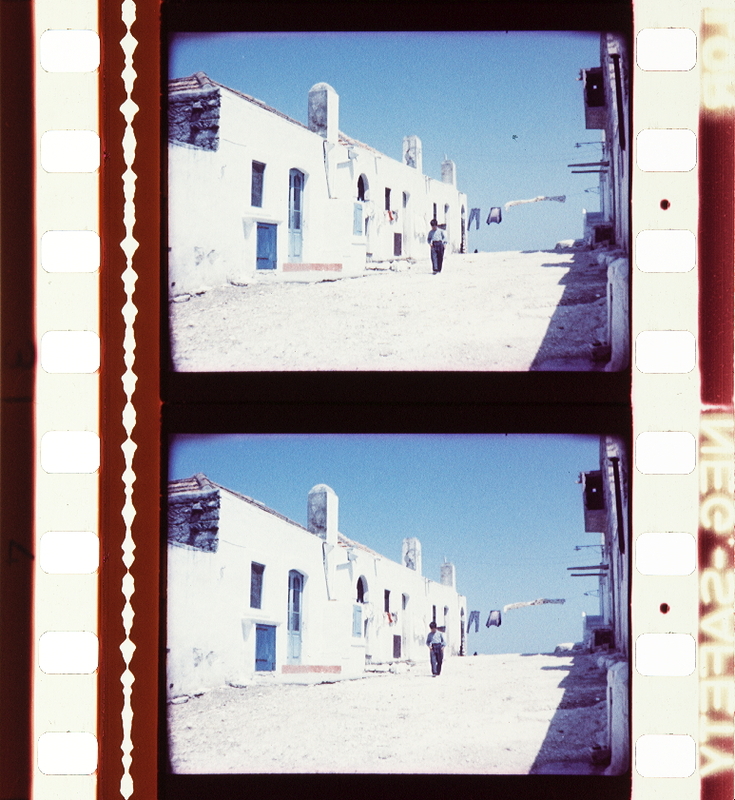 Il film, che mantiene piuttosto fedelmente la scansione drammaturgica dell’opera in quattro atti, subordina gli elementi narrativi e attribuisce un’importanza primaria ai momenti musicali, che assieme al colore sono chiamati a produrre un forte impatto sullo spettatore. Il film ricorre alla voice over di un narratore, la cui funzione è quella di chiarire verbalmente i momenti principali del plot, peraltro notissimo al pubblico. I suoi interventi sono debolmente collegati alle altre sequenze, che conservano una forza centrifuga assai forte nei confronti della narrazione. L’analisi di alcune sequenze rivela anche in questo caso una duplice strategia, da un lato l’esibizione attrazionale del colore e dall’altro l’adeguamento di alcune tecniche del bianco e nero. La volontà di sperimentare nuove soluzioni capaci di estendere la gamma delle opzioni tecniche impone all’operatore Piero Portalupi di forzare i limiti imposti dalle insufficienze tecniche dell’emulsione. Per quanto riguarda l’esibizione del colore, il set è organizzato attorno a colori primari e tinte saturate, valorizzati dagli alti livelli di illuminazione. Allo stesso tempo, per evitare uno stile fotografico eccessivamente monotono, l’operatore cerca di proporre un’alternativa, e, invertendo la relazione gerarchica tra colore e luce imposta dal supporto, tenta di recuperare tecniche di low-key lighting tipiche della fotografia in bianco e nero. In Aida, il primo dei due schemi formali, l’esibizione del colore, accompagna lo svolgimento della prima parte della storia, corrispondente al primo e al secondo atto dell’opera. Un esempio è offerto dalla sequenza della marcia trionfale, con le truppe egizie che marciano di fronte a una folla osannante. Dodici inquadrature (circa un minuto e mezzo) alternano sei motivi visivi: il campo lunghissimo delle truppe con il tempio sullo sfondo, l’inquadratura frontale del palazzo reale verso cui i soldati stanno marciando, il controcampo con la porta della città e il piano più ravvicinato della stessa, il campo medio dei soldati, la folla giubilante che saluta i vincitori. Nella parte iniziale della sequenza, la relazione tra ambientazione e figura umana è chiaramente a favore del primo elemento. Lo spazio che contiene l’azione è esplorato nelle prime tre inquadrature, senza alcuna particolare motivazione narrativa. La seconda parte della sequenza mostra invece il principale elemento dell’azione: la parata delle truppe. Essa è aperta dall’unico campo medio esclusivamente dedicato ai soldati e riserva grande importanza alle truppe e alla folla; solo nell’ultima inquadratura, che anticipa la transizione alla successiva sequenza di danza, il palazzo reale torna sullo schermo. L ‘intera sequenza è caratterizzata dalla funzione unificante delle tonalità fredde nello spettro dell’azzurro e le tonalità calde in quello del giallo (come l’oro e l’arancio). L’azzurro appare nel cielo, nelle basi dei capitelli delle colonne e in altri elementi periferici; una ristretta gamma di tonalità tra l’oro, l’arancio e il rosa è usata per le colonne del tempio, gli obelischi e il palazzo reale. In aggiunta, macchie di rosso e di verde sono introdotte dalla folla che saluta i vincitori con palme e fiori. Una ricerca di equilibrio tra spazio e colori si può dunque cogliere nell’intera sequenza, pur sempre all’interno di una manifesta logica di attrazione. La sequenza successiva (circa 4 minuti e mezzo) mostra il balletto che precede l’entrata trionfale di Radamès davanti al re. L’episodio è marcato da un’analoga organizzazione formale, con il movimento dei danzatori che ora sostituisce quello dei soldati. Come nei musical hollywoodiani, una luce brillante assolve la funzione fondamentale di enfatizzare costumi, arredi e numeri di danza. Le forze attrazionali sono ugualmente ripartite tra questi elementi della messa in scena, che producono sincronismi coreografici e simmetrie visive. La sequenza alterna campi lunghi, motivati dal punto di vista del re, e inquadrature più ravvicinate, che hanno la funzione di indirizzare l’attenzione verso le singole figure del balletto. Anche in questa parte l’organizzazione spaziale del colore appare calibrata. Le tinte delle scenografie e dei costumi si armonizzano alle tonalità delle sequenze precedenti. L’azzurro del cielo artificiale al di là delle colonne si accorda con le vesti delle danzatrici, con gli ornamenti dell’abito regale e con le decorazioni sul pavimento, generando una fusione cromatica tra personaggio e ambiente. La funzione attrazionale del colore è affermata con evidenza nel momento culminante del balletto, quando un gruppo di danzatrici introduce un enorme velo blu. Un analogo processo di armonizzazione è tentato con l’oro, l’arancio e il rosa, che sono distribuiti prevalentemente sugli elementi architettonici. Queste due sequenze permettono di notare un principio formale di organizzazione basato sulla presenza di una chiave cromatica, il blu e l’azzurro e una triade di colori caldi (oro, arancio e rosa) ad essa armonizzata. 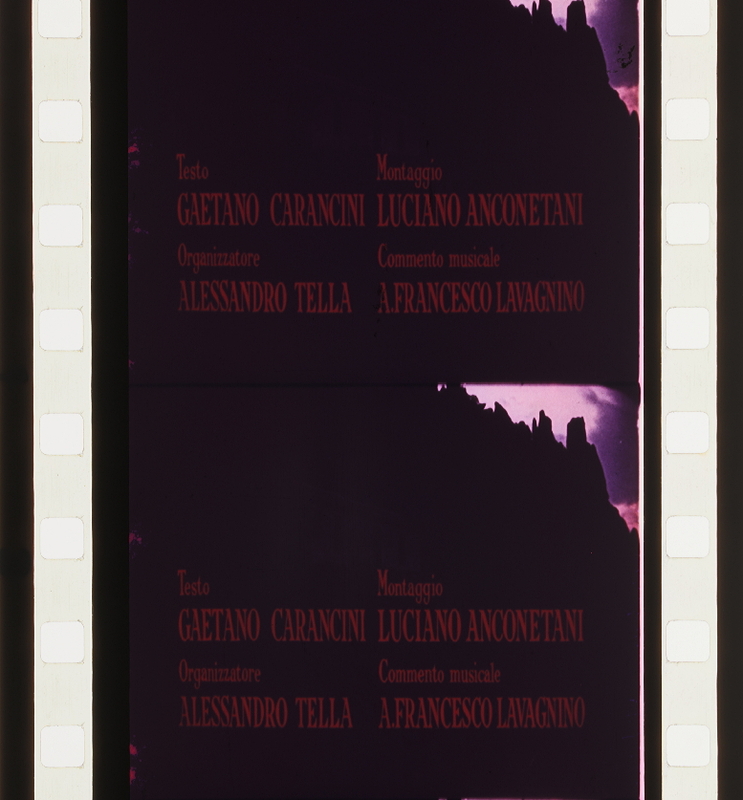 Nel corso del film, questi due gruppi di colori alternano il loro ruolo e si presentano sotto forma di differenti configurazioni cromatiche. Per quanto riguarda la fotografia, Portalupi illumina le sequenze in maniera omogenea: nella maggior parte dei casi, l’intero spazio del set è illuminato e le aree scure sono sistematicamente evitate. Le funzioni solitamente attribuite alle modulazioni tonali nella fotografia in bianco e nero sono ora assolte interamente dal rapporto tra le diverse tinte. Il loro posizionamento sul set aiuta a distinguere figura e sfondo e a definire i piani di profondità, nell’intento di minimizzare il rischio di appiattimento spaziale dato dall’assenza di chiaroscuro. Se la luce bianca definisce lo standard luministico del film30, la luce colorata è concepita come un’eccezione che richiede una particolare motivazione narrativa. In una delle prime sequenze del film, ad esempio, assistiamo all’arrivo di un messaggero che informa il re dell’invasione delle truppe di Amonasro. Le parole del messaggero sono visualizzate in un rapido flashback di 14 inquadrature (circa 20 secondi) che mostra le devastazioni causate dall’esercito etiope sul suolo egiziano. Rispetto ai casi esaminati sopra, la tecnica di illuminazione è opposta. Invece di una luce bianca e omogenea, viene infatti utilizzata una luce rossa, violentemente espressionistica. In questa breve parentesi narrativa, funzione attrazionale e narrativa si rinforzano reciprocamente. L’adozione della luce rossa è motivata dalla momentanea deviazione dalla linea del plot, ma non appena questa viene ripresa anche la relazione tra luce e colore torna allo schema canonico codificato dal film stesso nelle sequenze precedenti. In questo modo, il rosso è ancorato a una sfera semantica culturalmente determinata31 (la violenza distruttiva) e a una chiara funzione narrativa (le forze che minacciano il mantenimento dell’ordine iniziale). Quando lo stesso colore si ripresenta sulla scena, esso tende così a generare un effetto di ridondanza espressiva ed emozionale, seguendo una procedura tipica dello stile classico32. Durante la sequenza successiva, in cui Aida canta l’aria celeberrima “Ritorna vincitori”, in corrispondenza dei due versi “I sacri nomi di padre… di amante | né profferir poss’io né ricordar”, la protagonista passa attraverso una stanza interamente invasa da una luce rossa. Lungo la linea che unisce da un lato Amonasro e Aida (il legame di sangue) e dall’altro Aida e Radamès (l’amore passionale) il rosso è usato come il principale marcatore emozionale del film, che rinforza tutte le volte che appare la dimensione sentimentale del melodramma. Come anticipato, nella seconda parte del film, corrispondente agli ultimi due atti dell’opera, lo stile è piuttosto differente. Con il progredire degli eventi verso la tragedia finale, l’operatore cerca di conformare le tecniche di illuminazione alle modulazioni tonali della fotografia in bianco e nero. In particolare, alcuni passaggi narrativi danno a Portalupi l’occasione di testare tecniche di low-key lighting. L’intera sezione corrispondente al terzo atto, ambientata di notte lungo le rive del Nilo, viene ovviamente girata in studio. Ricreare un’ambientazione notturna diviene un’operazione tecnica tutt’altro che semplice33. Le luci radenti e le ombre che attraversano la scena, come il blu intenso del cielo artificiale fatto di stoffa, rimandano assai più alla tecnica teatrale che a quella cinematografica. Queste sequenze testimoniano della difficoltà che ancora esiste nell’integrare interni ed esterni in una continuity uniforme. Il film in effetti si limita a un ridotto numero di esterni reali, tutti limitati a brevi transizioni narrative, come nella sequenza della cattura di Amonasro, risolta con una serie di campi lunghi. Simili soluzioni palesemente teatrali saranno evitate in seguito, poiché si preferirà sostituirle con le tecniche di low-key lighting che nel giro di pochi anni saranno perfezionate anche nella ripresa a colori. Una possibilità simile è esplorata durante l’ultimo duetto tra Radamès, già avviato verso la morte, e Amneris: un’illuminazione drammatica, motivata diegeticamente dalla presenza di torce, illumina il lungo e scuro andito in cui la scena si svolge. Quando Amneris passa attraverso una delle aree non illuminate, il suo volto è interamente coperto dall’oscurità per alcuni secondi, creando un nuovo effetto di ridondanza espressiva. Tali effetti diventano frequenti nell’epilogo. Mentre Ramfis e gli altri sacerdoti chiedono a Radamès di dichiarare la sua innocenza, un’inquadratura mostra la reazione di Amneris, sul cui volto l’oscurità piomba per la seconda volta. Nel finale, quando Radamès e Aida sono sul punto di morire, un’illuminazione laterale enfatizza il portato emozionale della sequenza. In questi esempi, il ruolo del colore sembra relativizzarsi per lasciare il posto al contrasto tra luci e ombre. La funzione attrazionale, emozionale e narrativa del colore, di primaria importanza nelle sequenze precedentemente analizzate, è momentaneamente messa in sordina dagli effetti di drammatizzazione della luce. Lo stile del film presenta così diverse strategie per mediare tra due poli complementari: da un lato creare effetti di ridondanza narrativa ed emozionale attraverso la luce e il colore e, dall’altro, sfruttare la pura seduzione sensoriale degli effetti visivi e musicali. 27 Cfr. “Luci per 11.000 ampère per il film Aida“, in Cinemundus. Araldo dello Spettacolo, 1953, 1, p. 2. 28 “Dalle fotografie finora diffuse, siamo dinanzi a un Egitto elegante e agghindato, i cui personaggi parrebbero muoversi e atteggiarsi secondo una tradizione che non risente più direttamente del melodramma, ma deriva ormai, più o meno inconsciamente, da un “nuovo” cliché, quello di De Mille, per intendersi […], a sua volta derivato da Griffith, le cui origini risalgono di nuovo allo spettacolo “all’italiana” […] e naturalmente al melodramma” (F.M., “Il cinema italiano in gara con De Mille”, in Cinema, 1953, 105, p. 136). 29 Cfr. 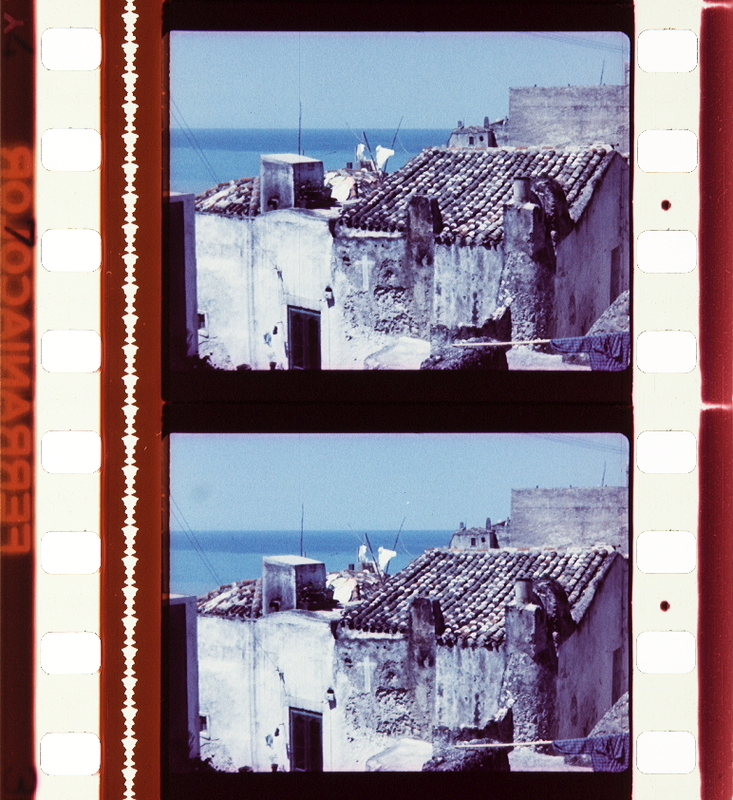 V . Spinazzola, Cinema e pubblico. 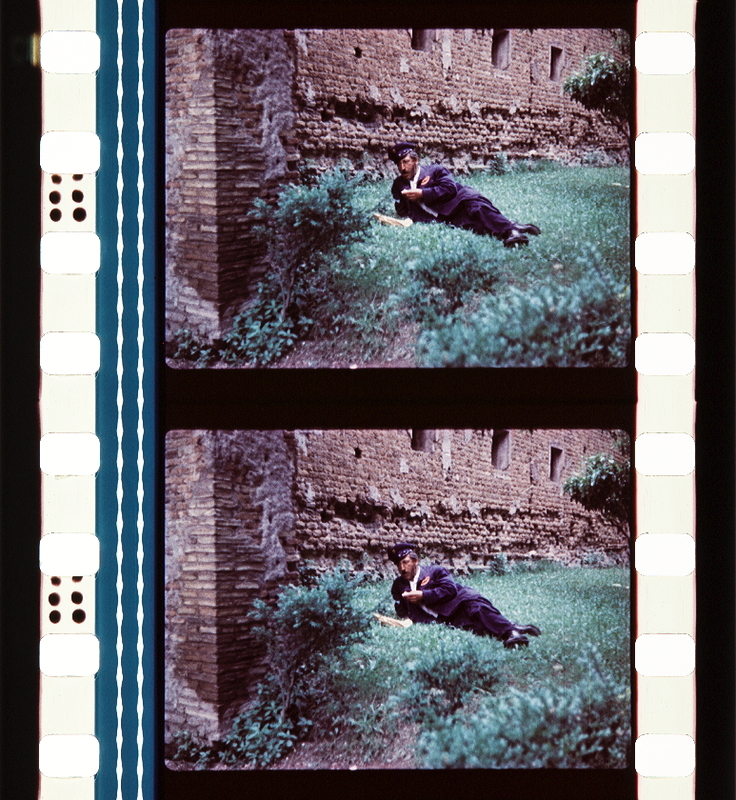 Lo spettacolo filmico in Italia 1945-1965, Roma, Bulzoni, 1985, pp. 55–65; G. Casadio, Opera e cinema. 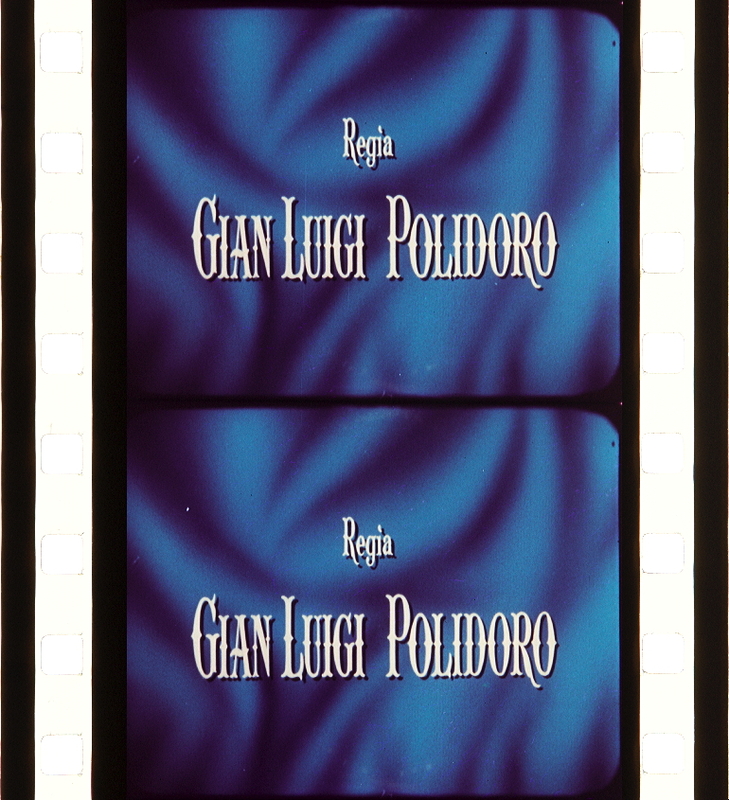 La musica lirica nel cinema italiano dall’avvento del sonoro ad oggi, Ravenna, Longo, 1995; G. Pescatore, La voce e il corpo. 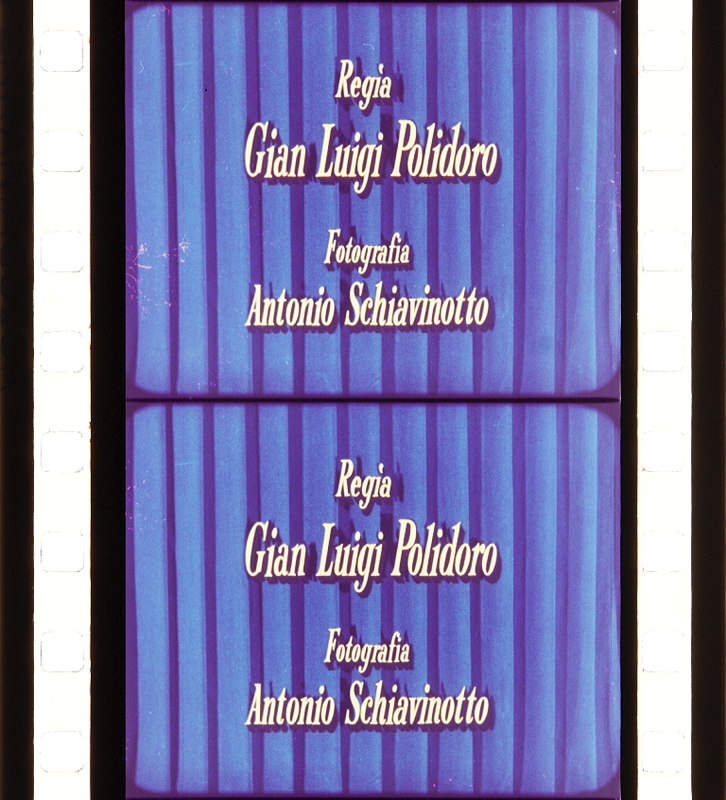 L’opera lirica al cinema, Udine, Campanotto, 2001. 30 Sulle implicazioni ideologiche e socioculturali della luce bianca, cfr. R. Dyer, White, New York-London, Routledge, 1997, pp. 82–144. 31 Sul simbolismo dei colori, cfr., tra i molti titoli dello stesso autore, M. Pastoureau, Une histoire symbolique du Moyen Age occidental, Paris, Seuil, 2008 [trad. it. Medioevo simbolico, Roma-Bari, Laterza, 2005, pp. 101–120]. 32 Sulla ridondanza emozionale del cinema classico, cfr. G.M. Smith, “Local emotions, global moods, and film structure”, in C. Plantinga, G.M. Smith (a cura di), Passionate views: film, cognition, and emotion, Baltimore, Johns Hopkins University Press, 1999, pp. 103–126. 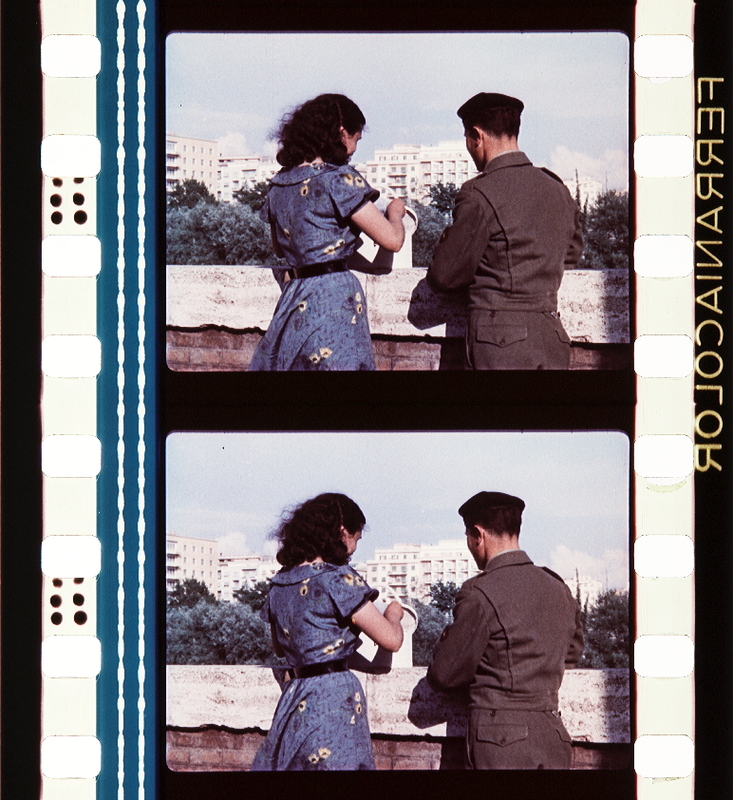 It is not widely known that Ferrania SpA was selling a 35mm colour reversal film in Italy before the end of World War II. 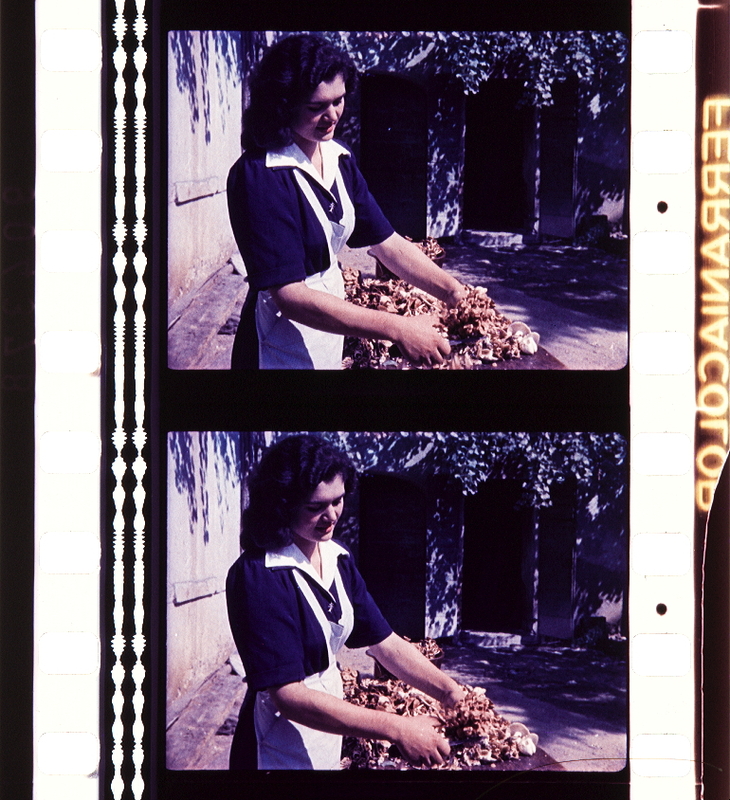 Although that film seems to have been similar to Agfacolor, there is no evidence that the Italian company had any help from Germany before the Intelligence Reports were published in 1946.